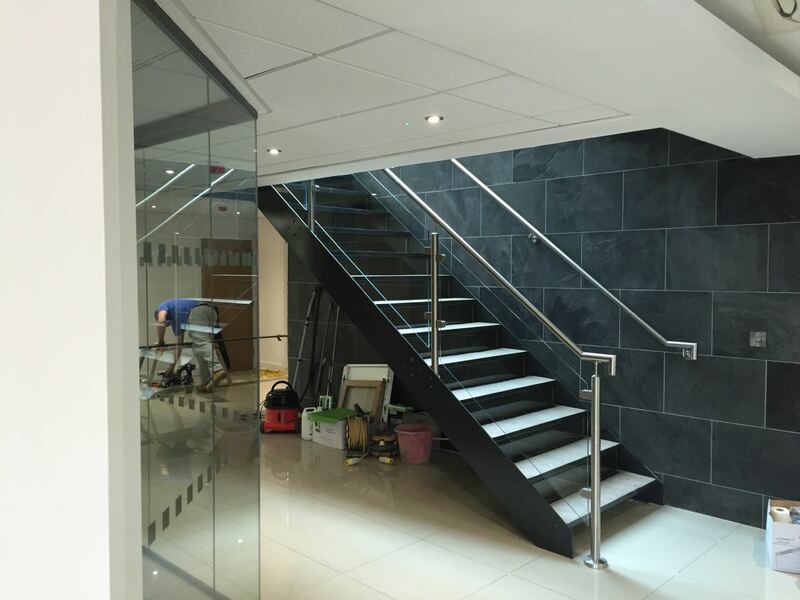 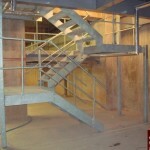 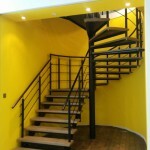 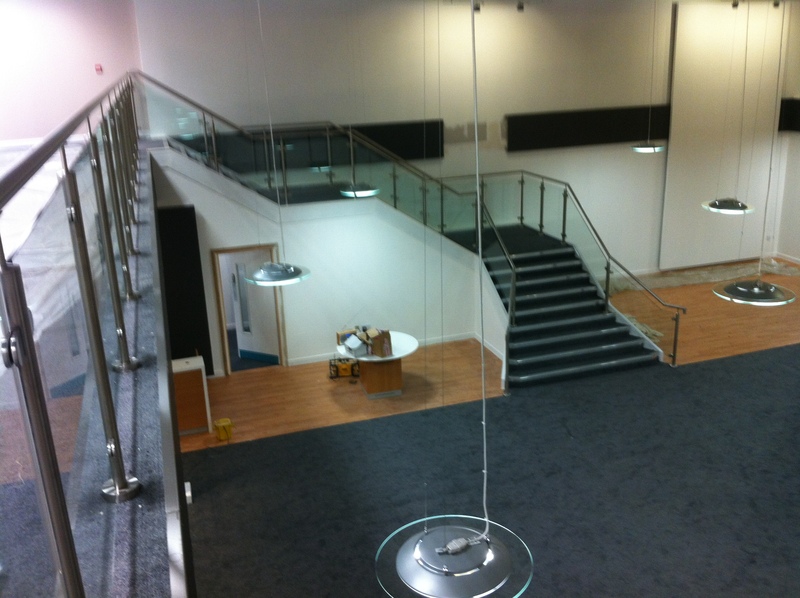 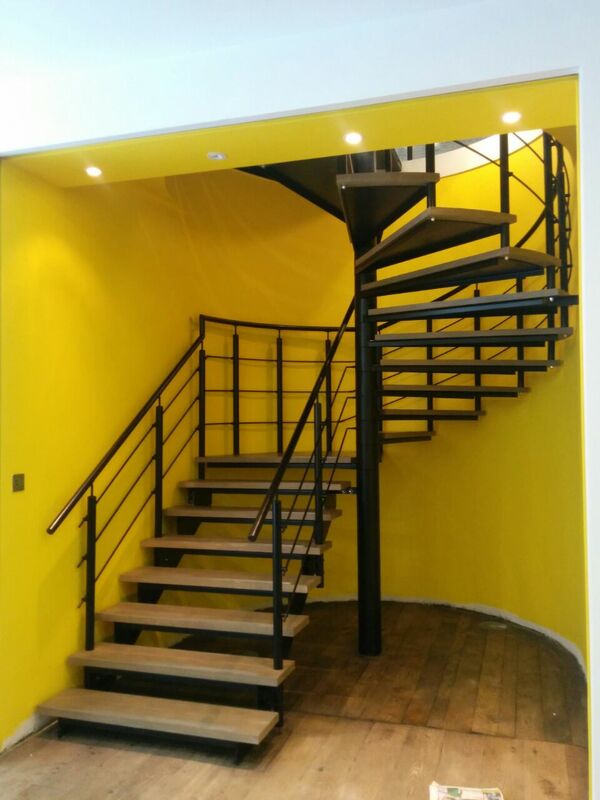 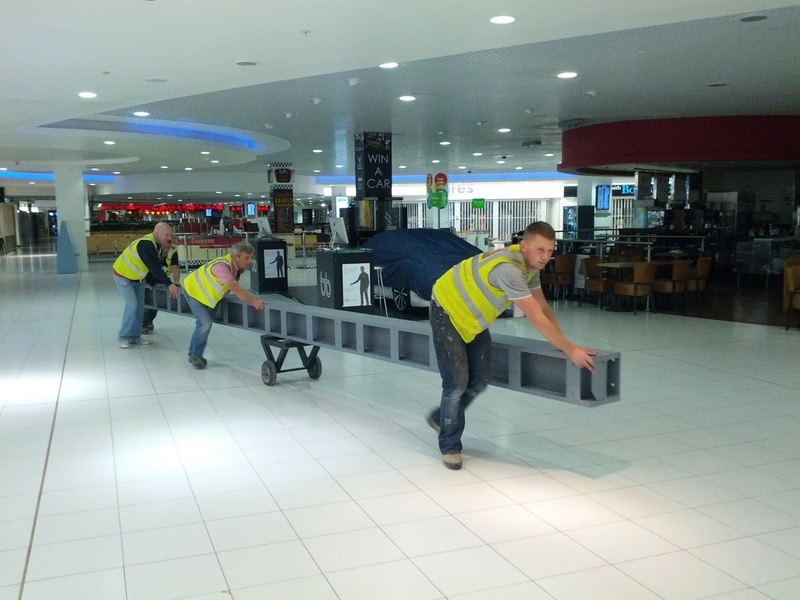 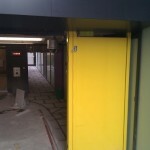 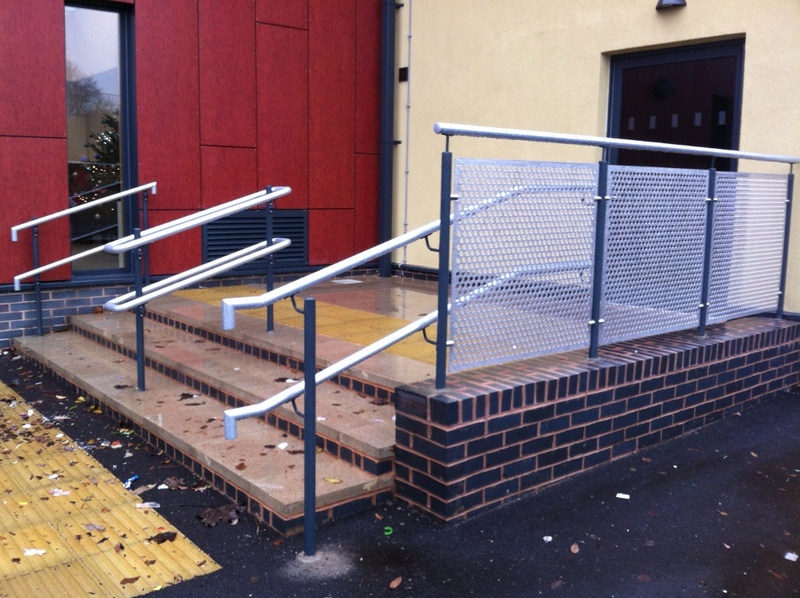 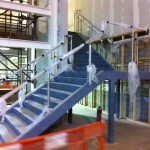 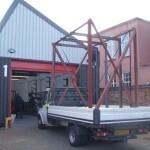 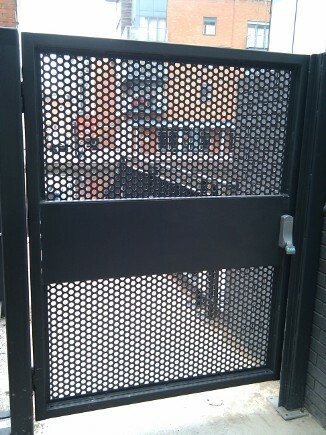 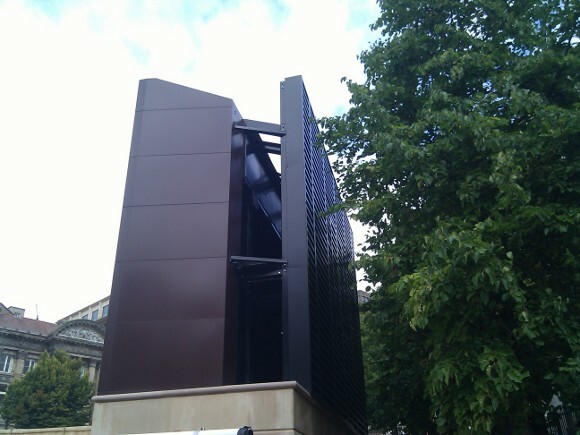 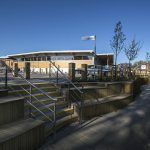 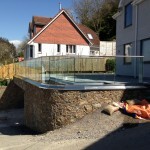 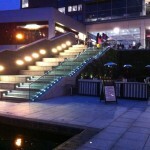 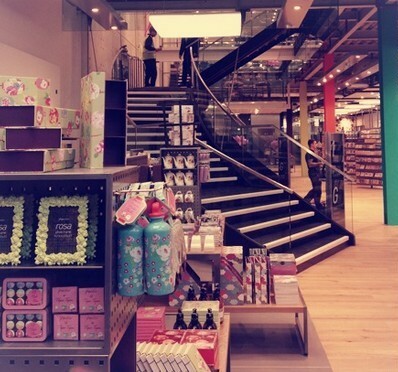 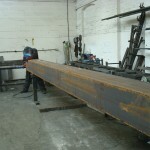 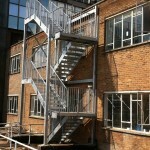 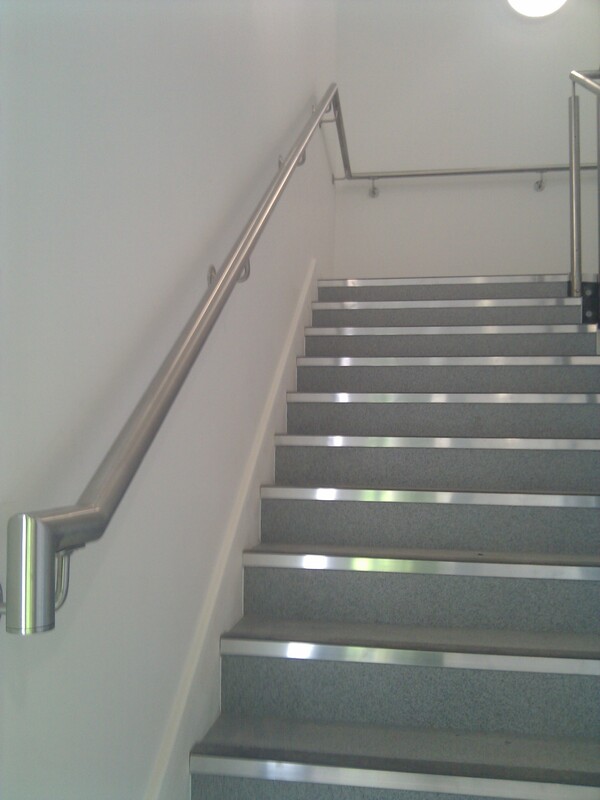 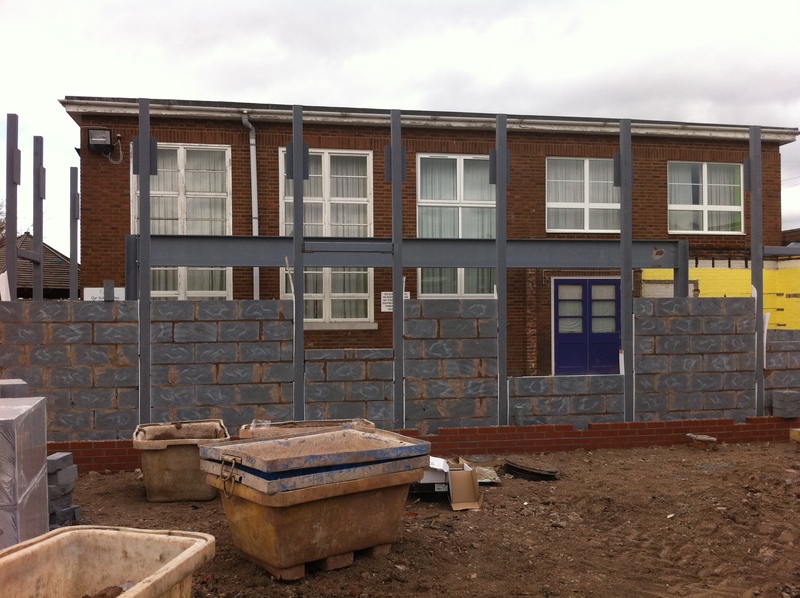 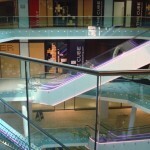 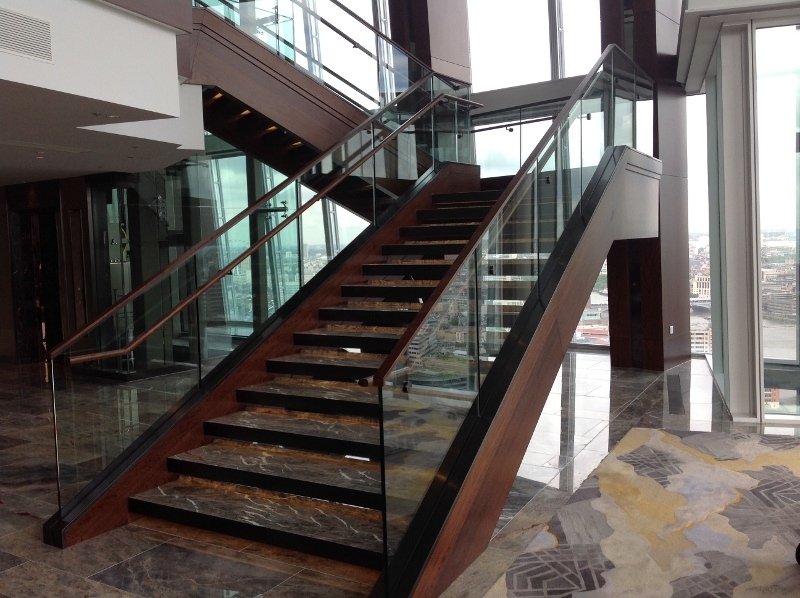 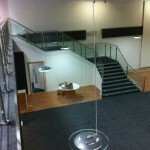 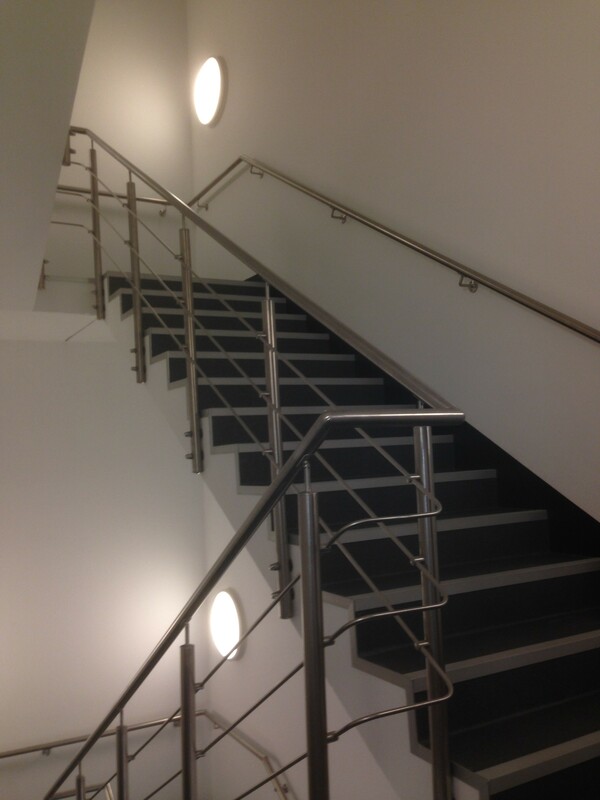 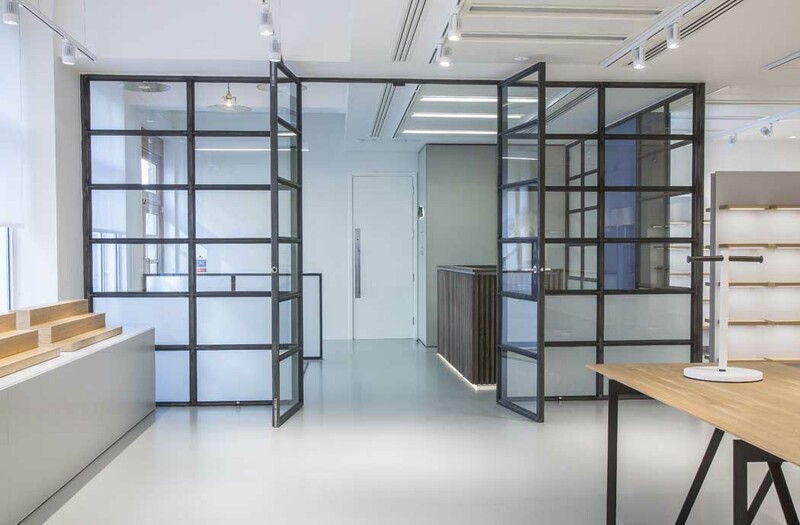 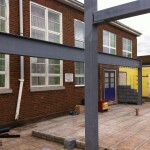 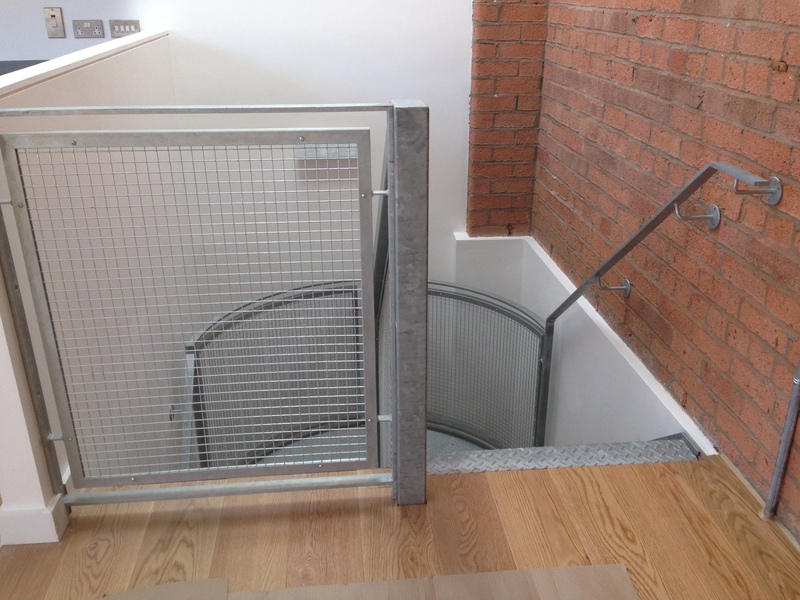 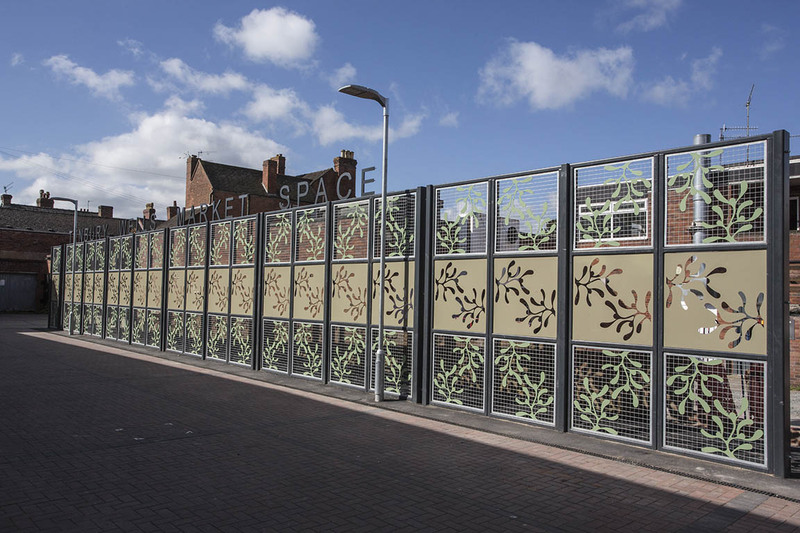 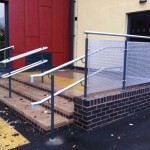 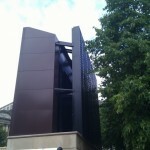 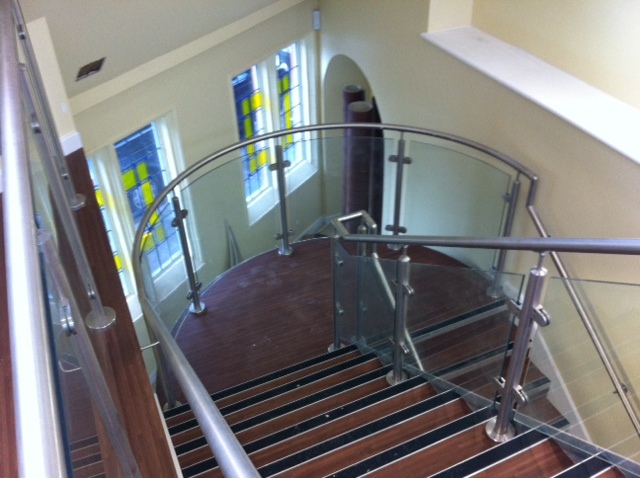 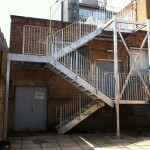 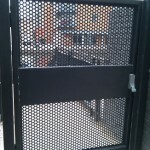 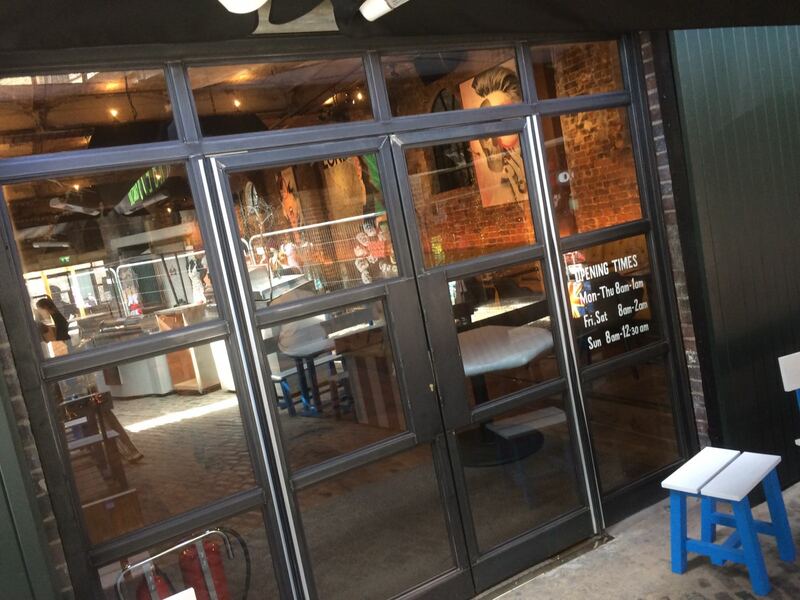 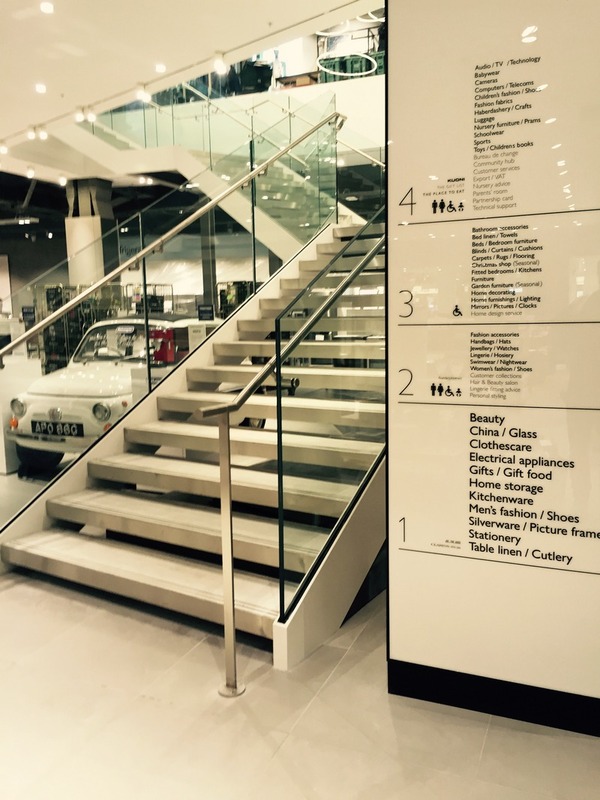 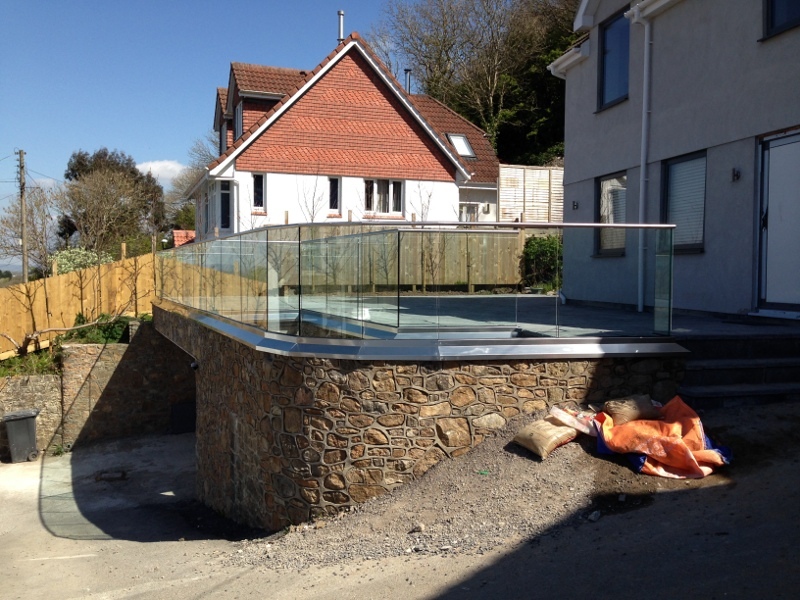 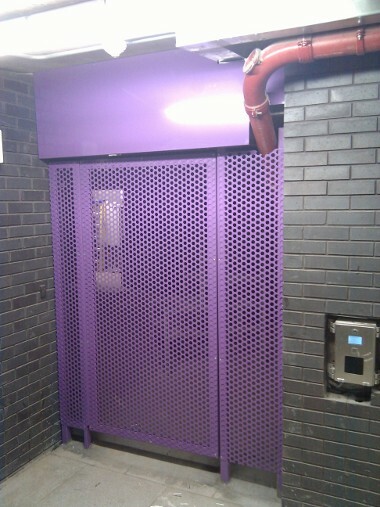 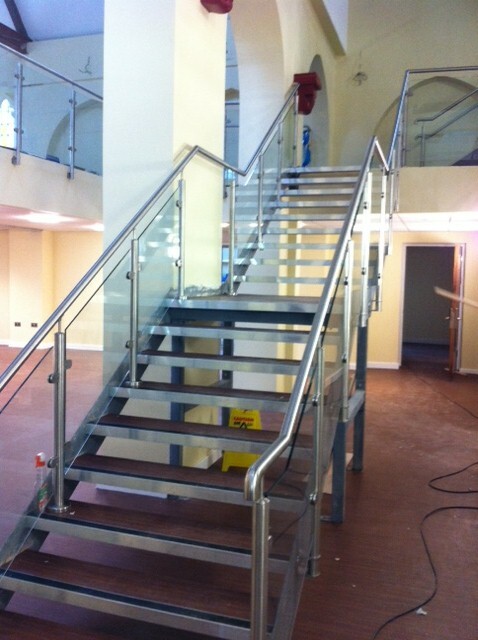 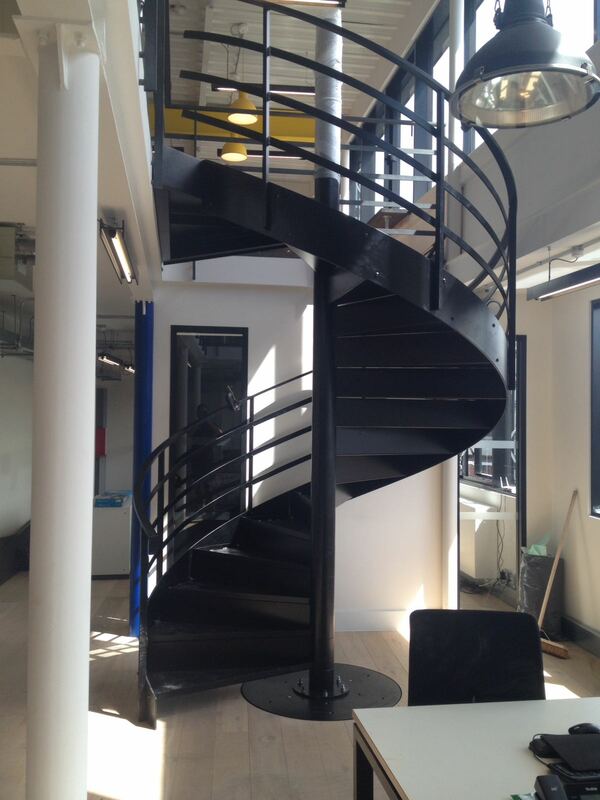 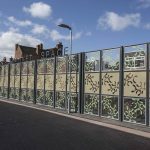 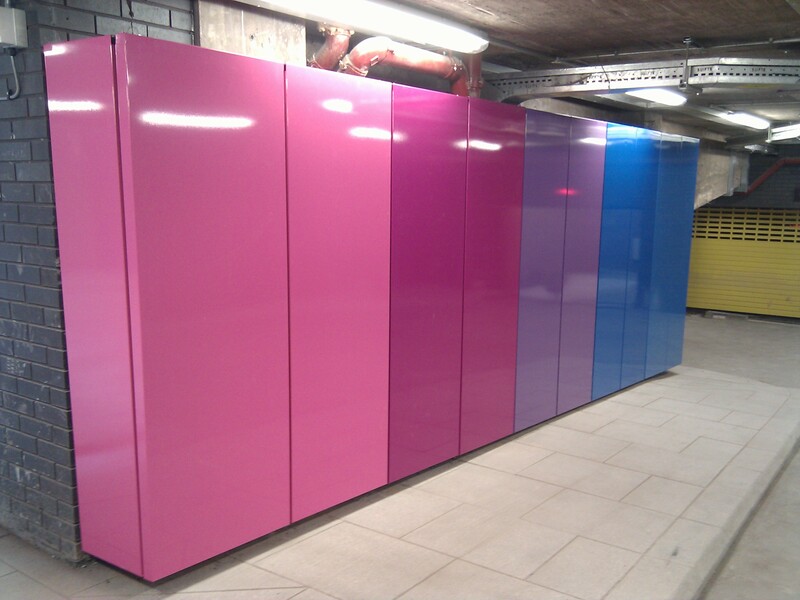 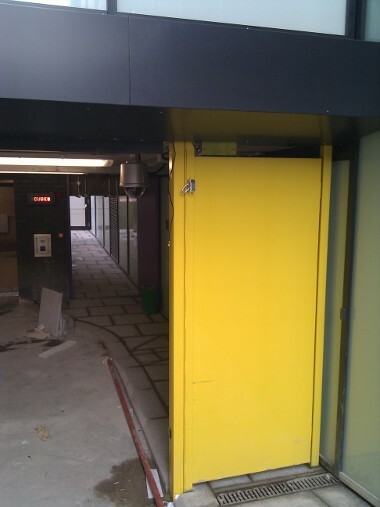 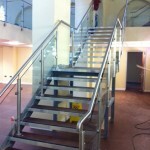 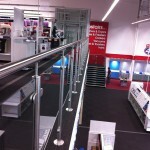 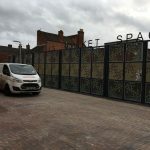 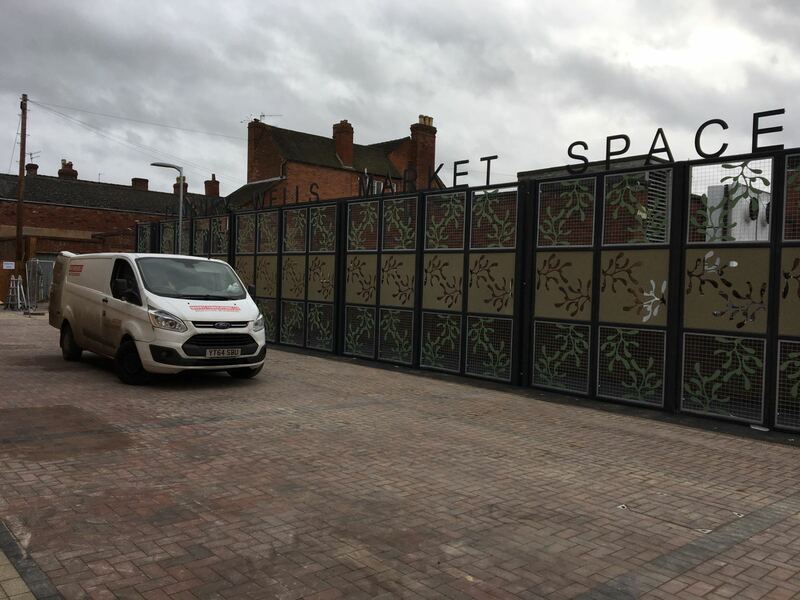 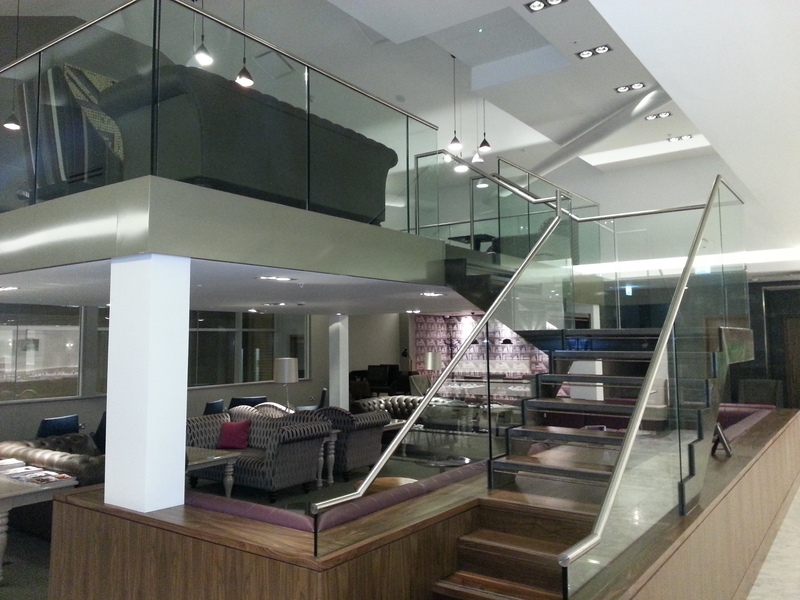 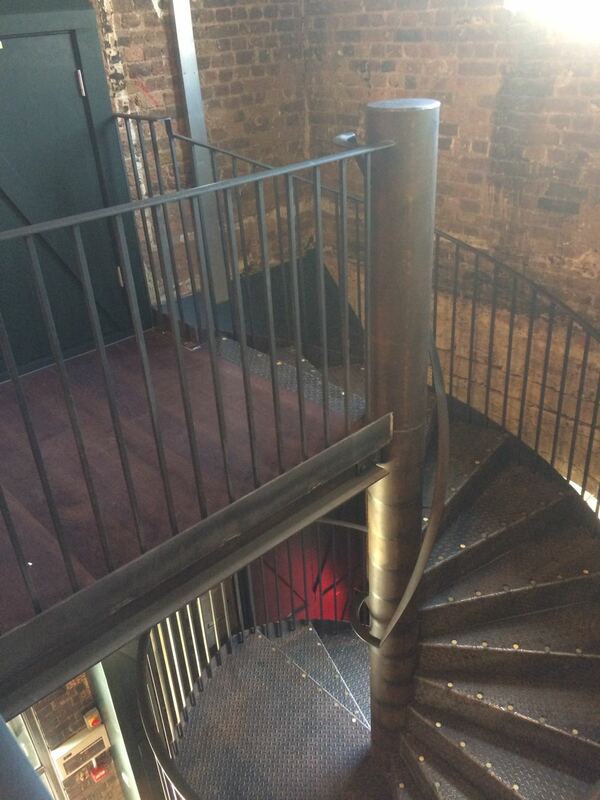 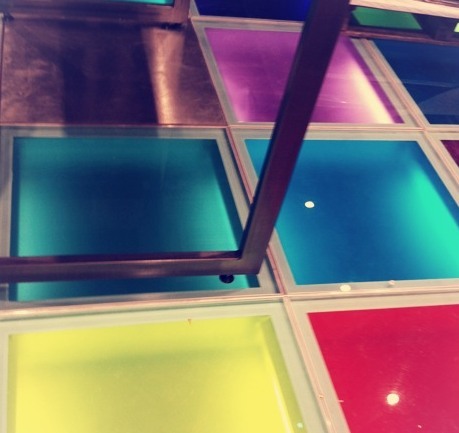 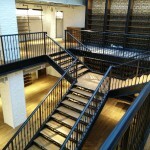 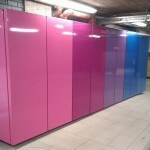 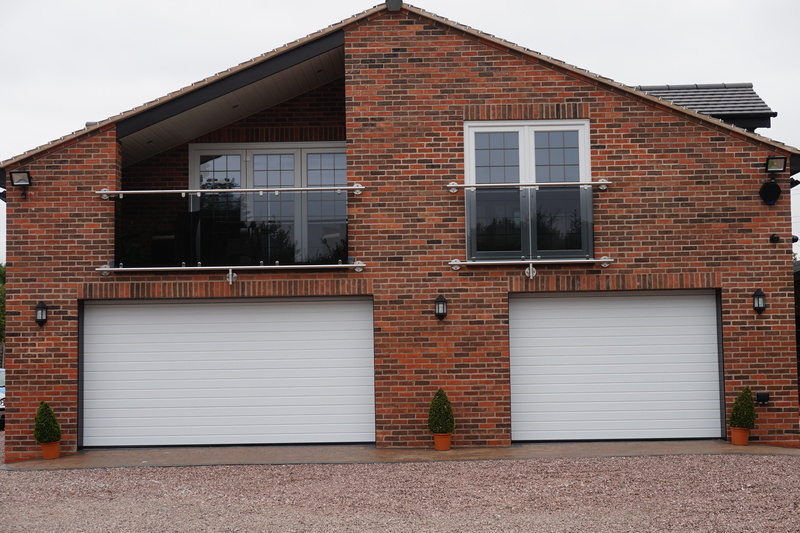 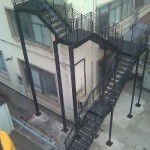 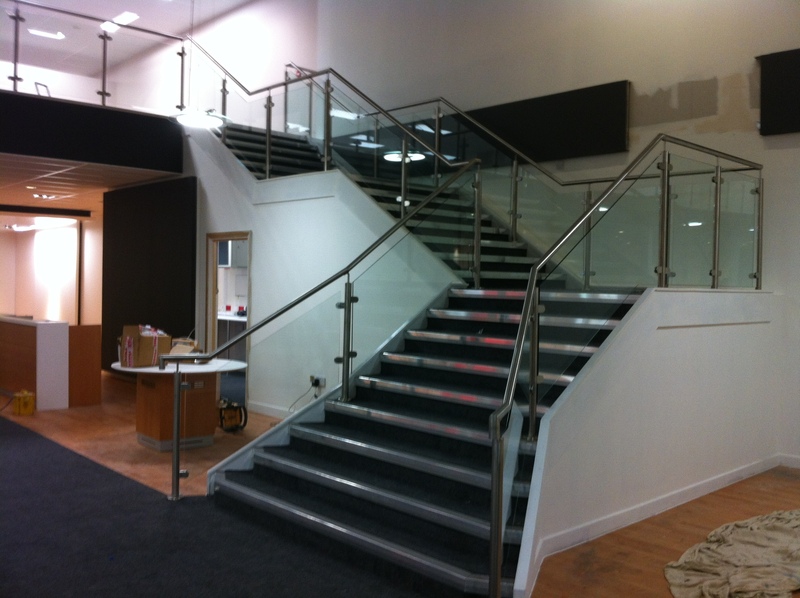 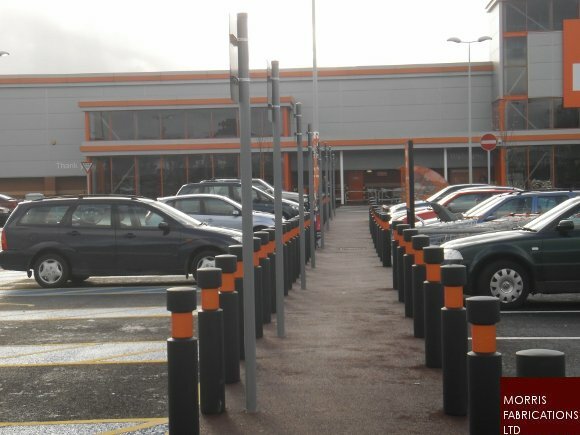 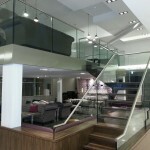 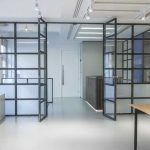 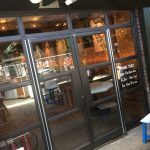 At Morris Fabrications Ltd, we specialise in the manufacture and installation of architectural metalwork. 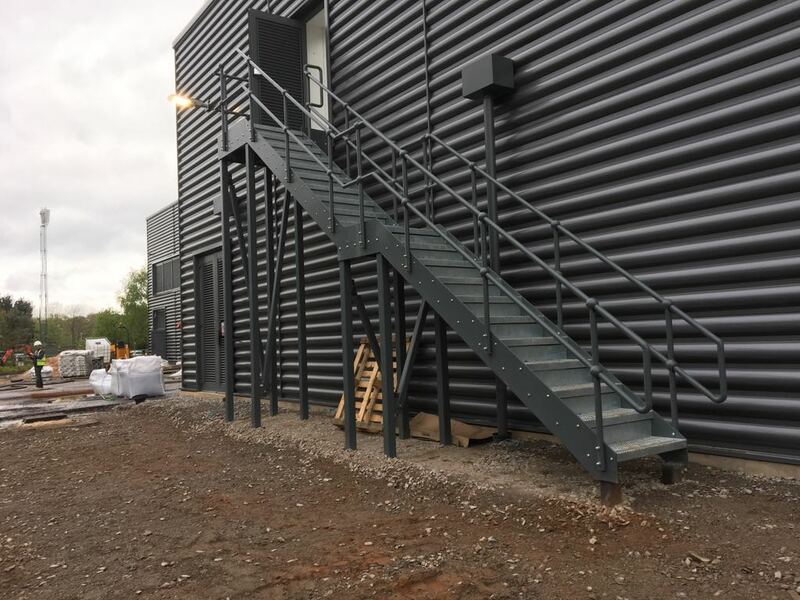 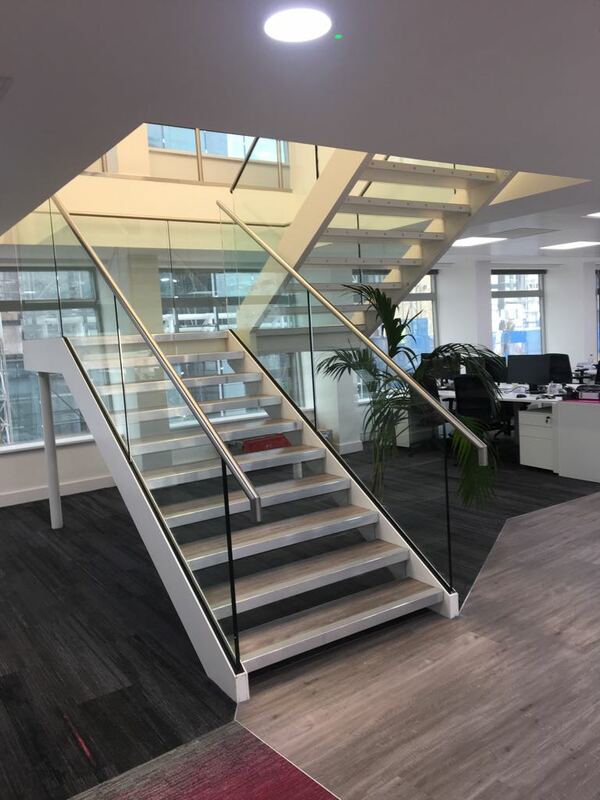 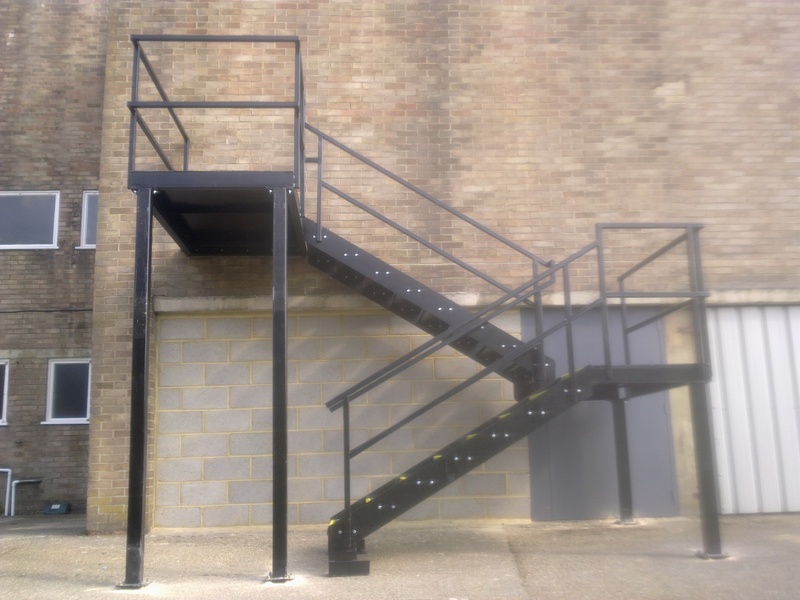 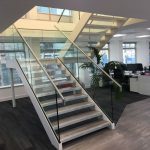 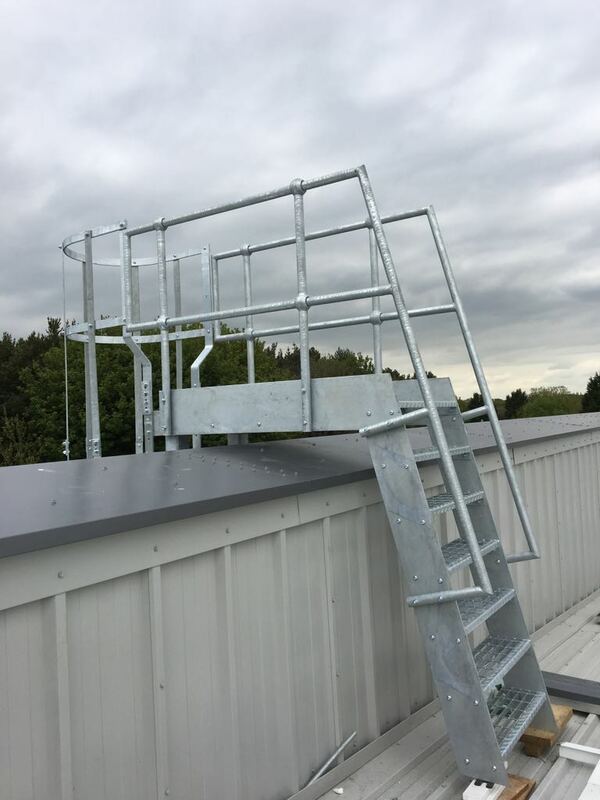 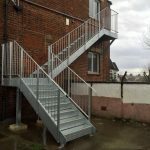 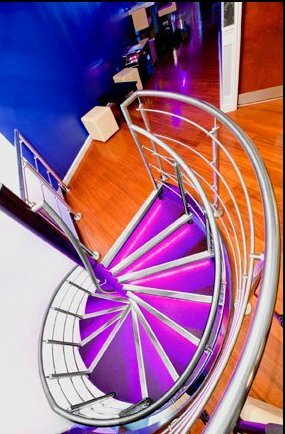 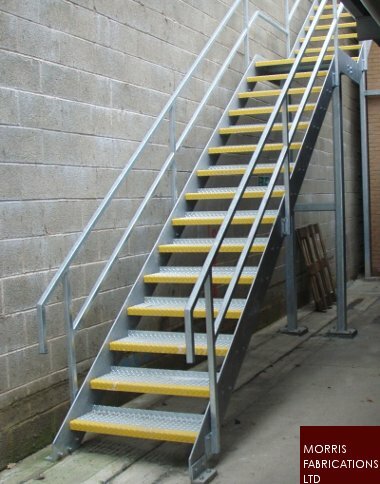 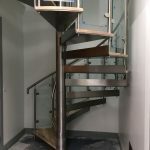 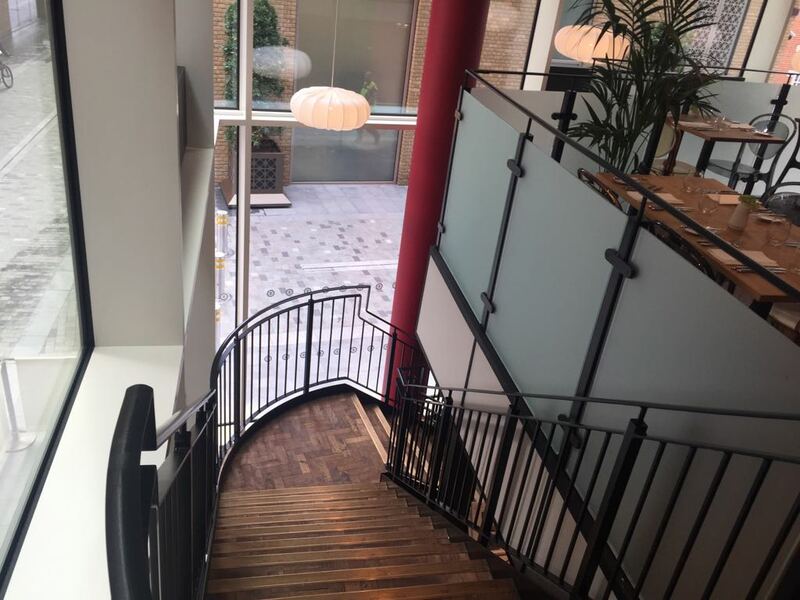 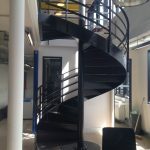 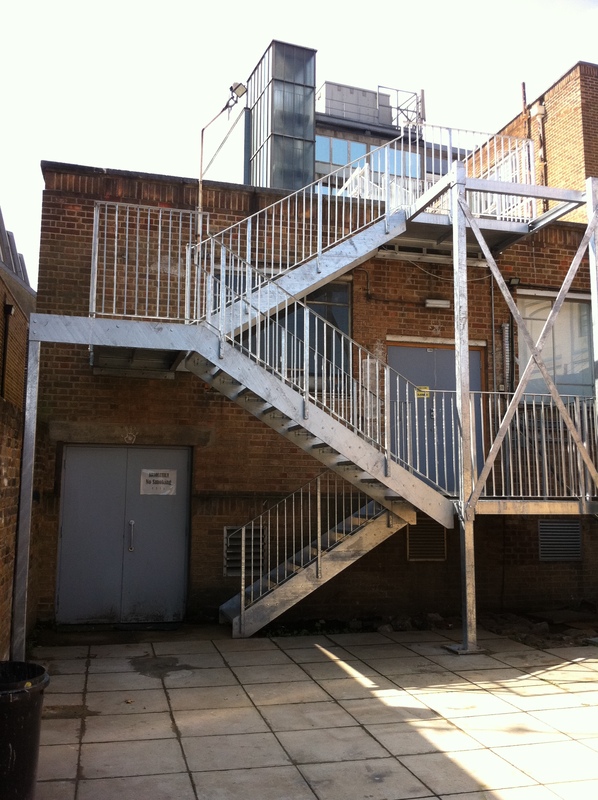 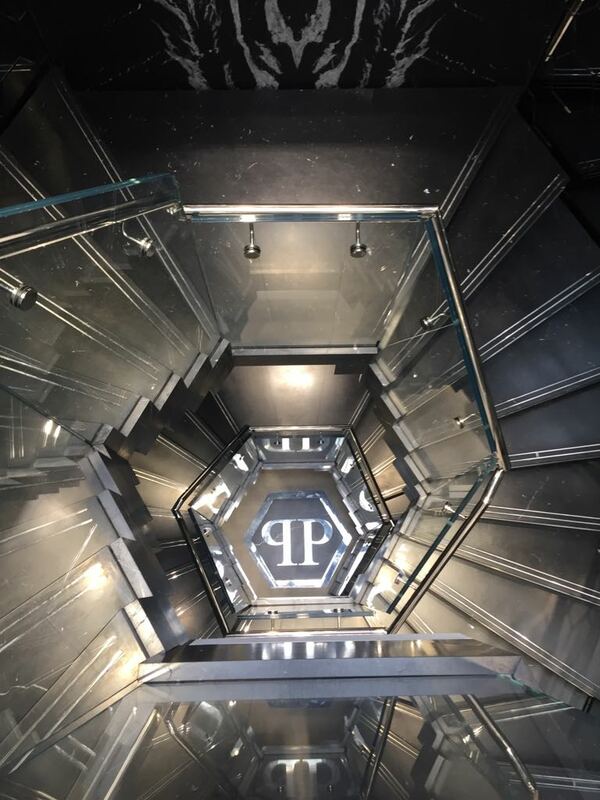 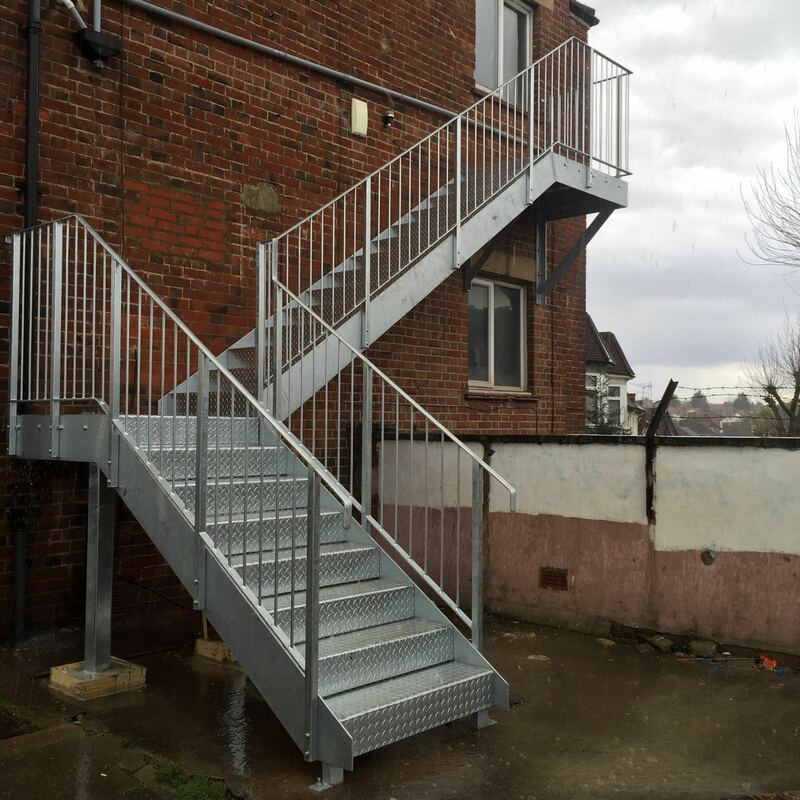 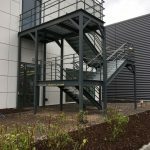 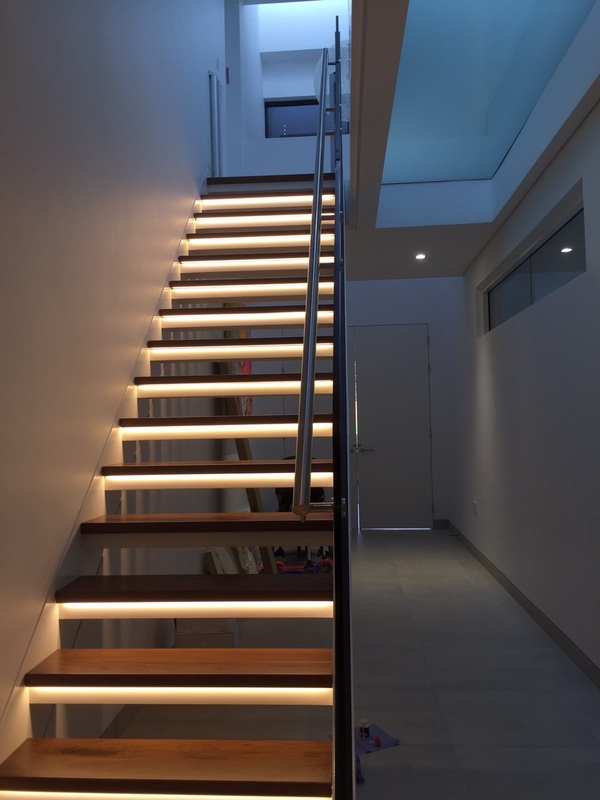 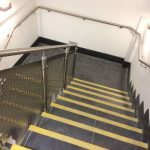 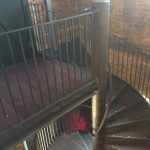 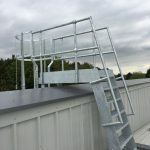 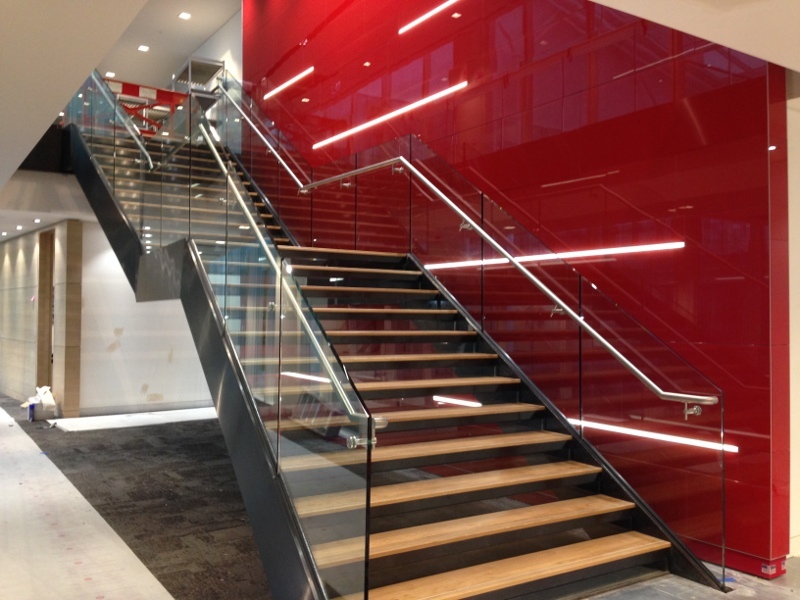 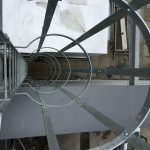 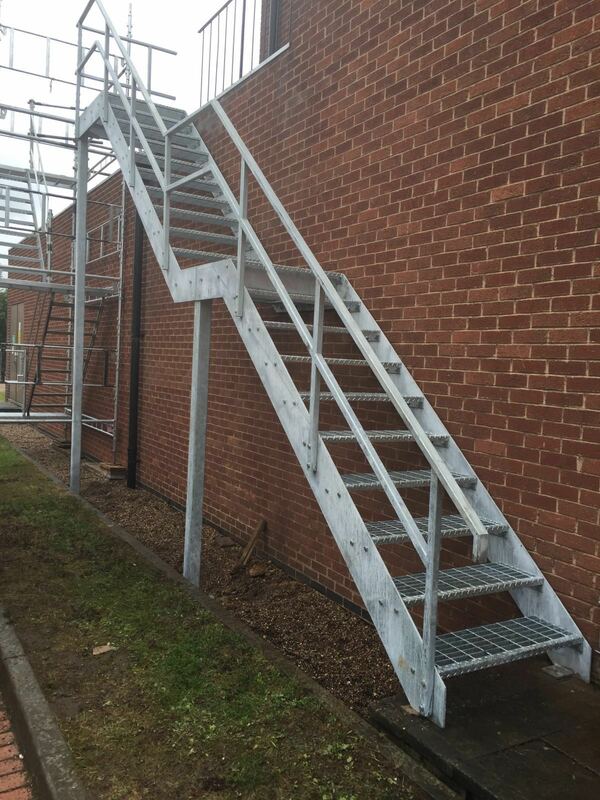 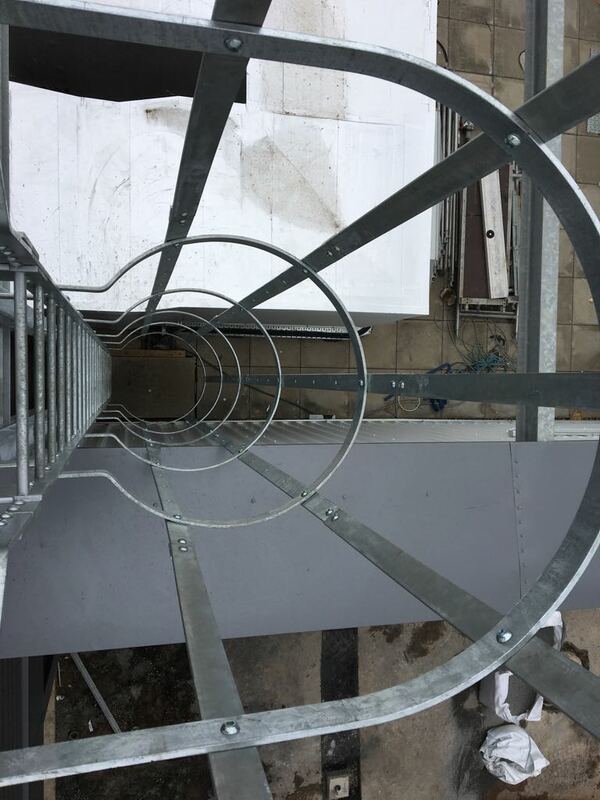 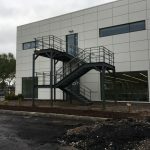 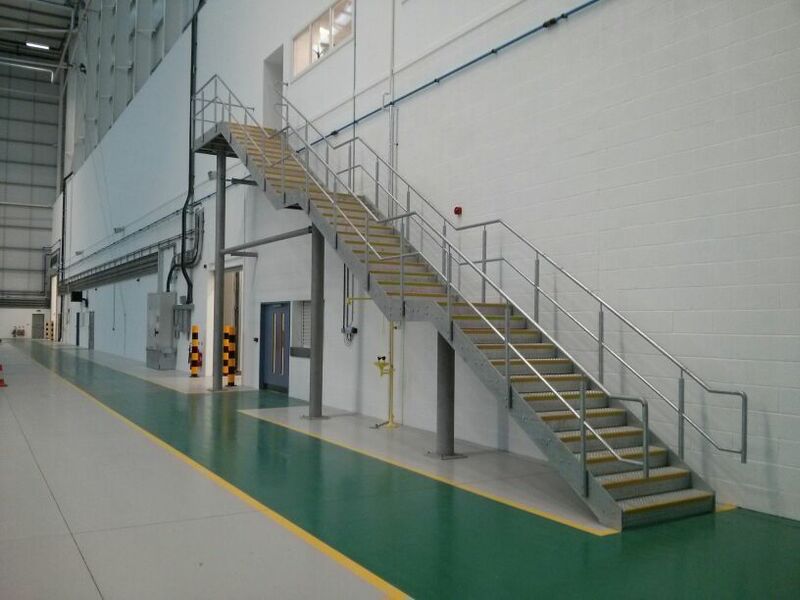 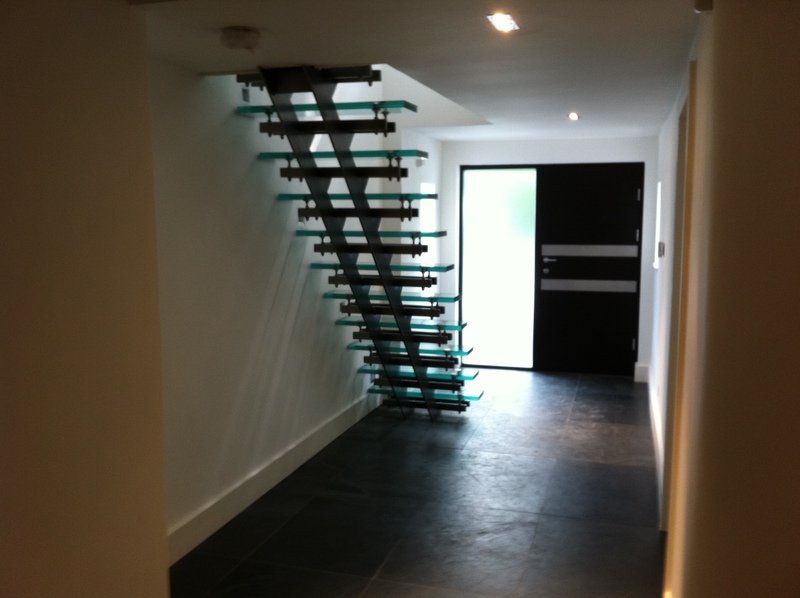 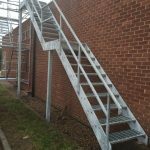 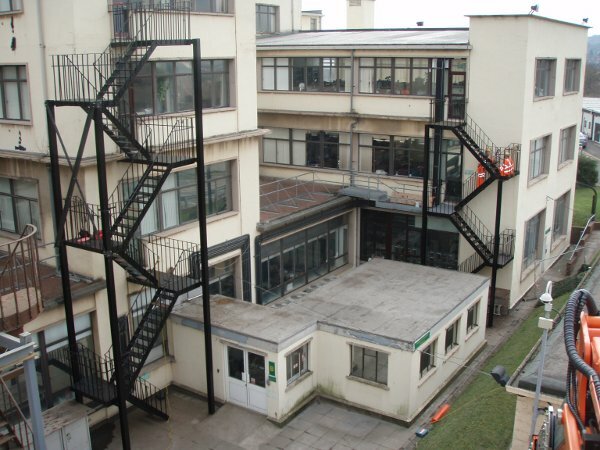 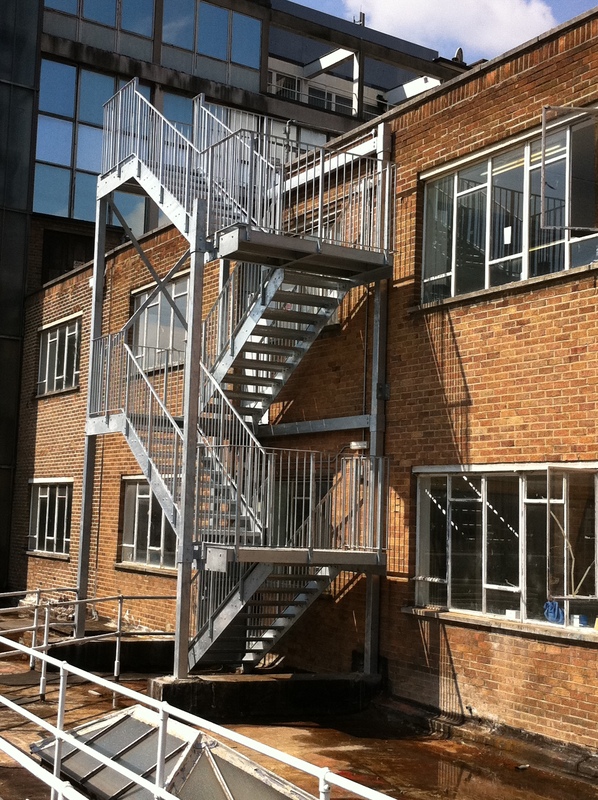 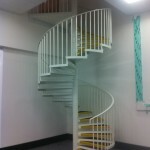 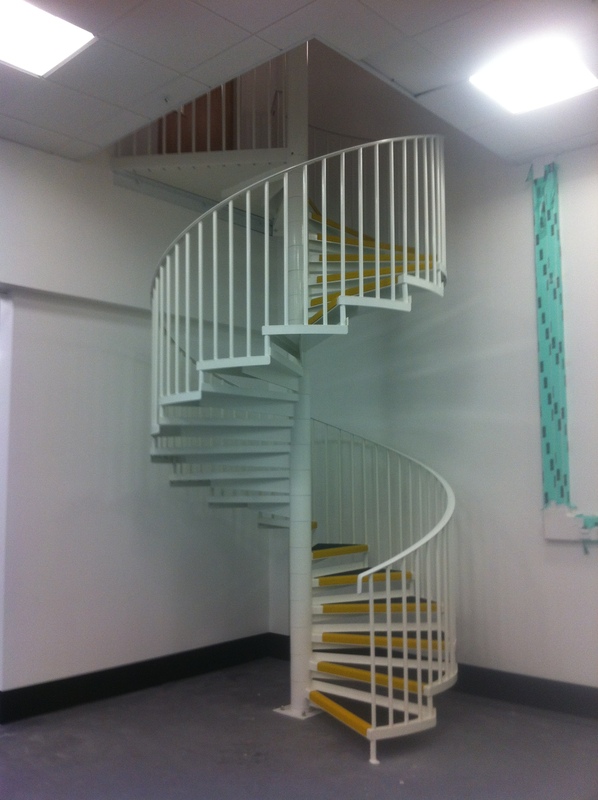 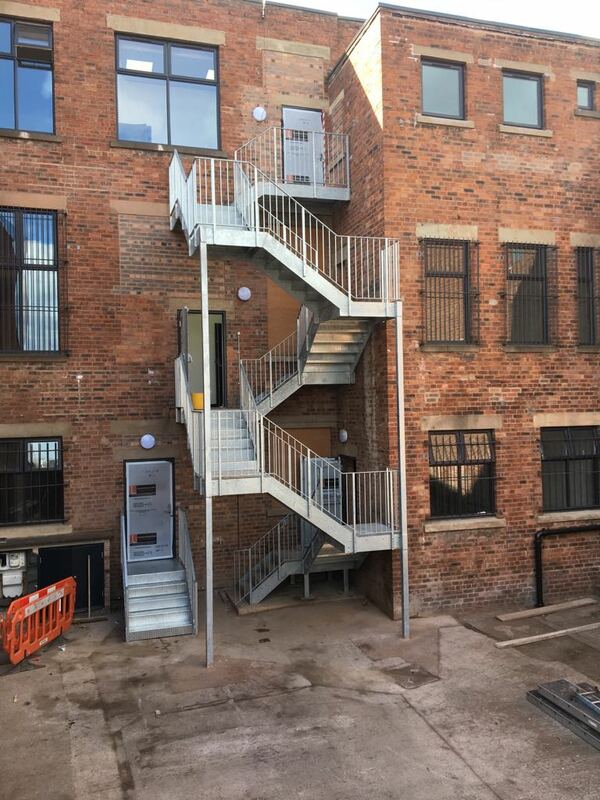 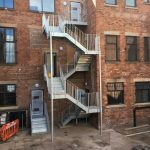 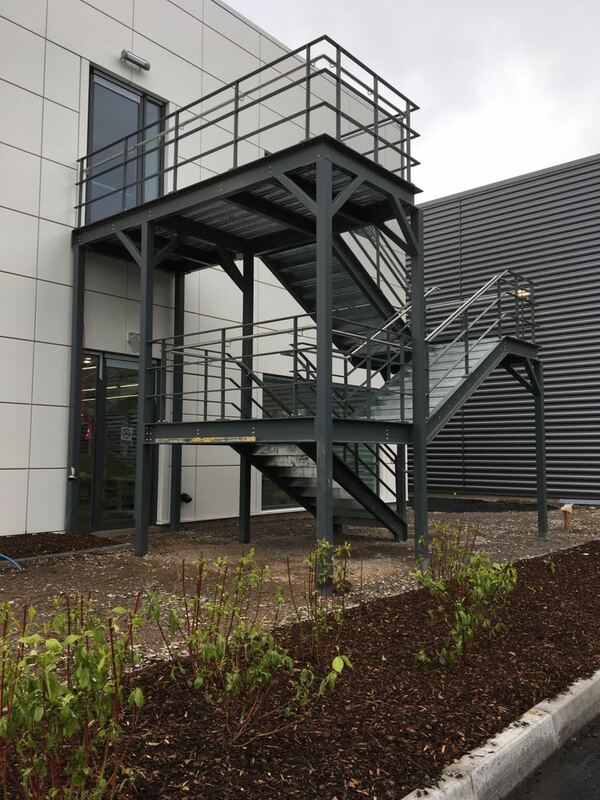 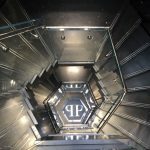 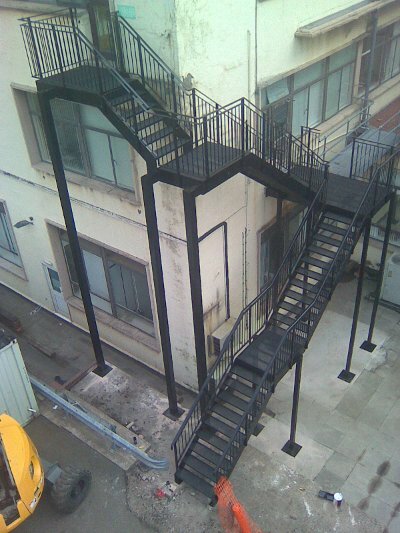 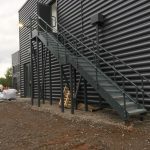 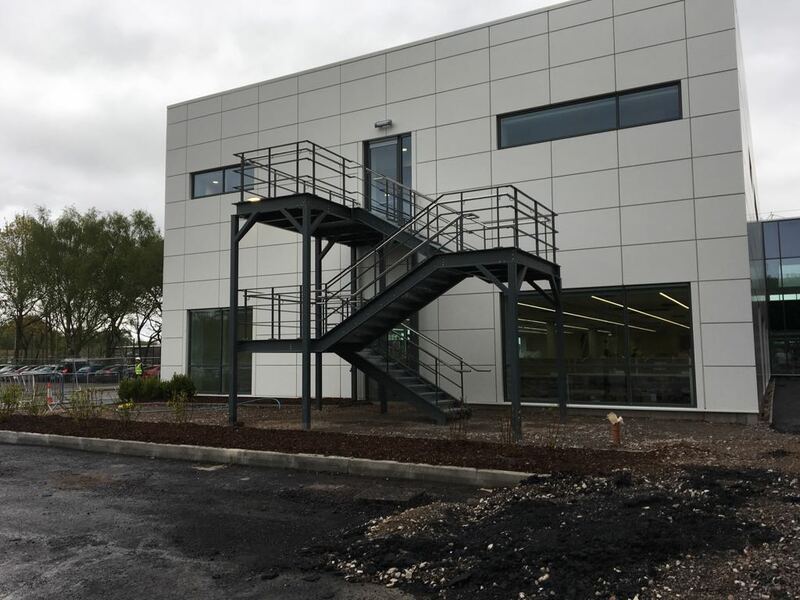 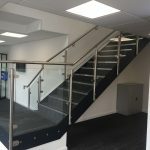 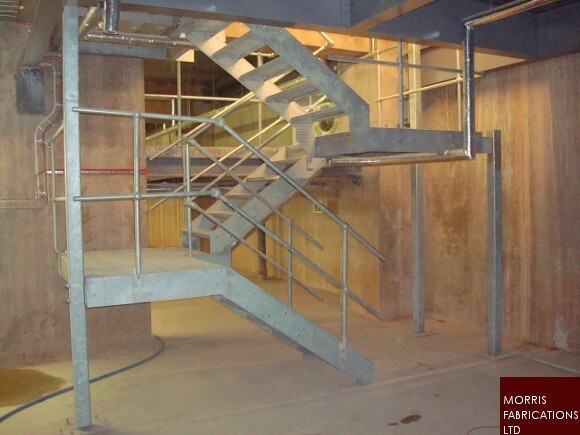 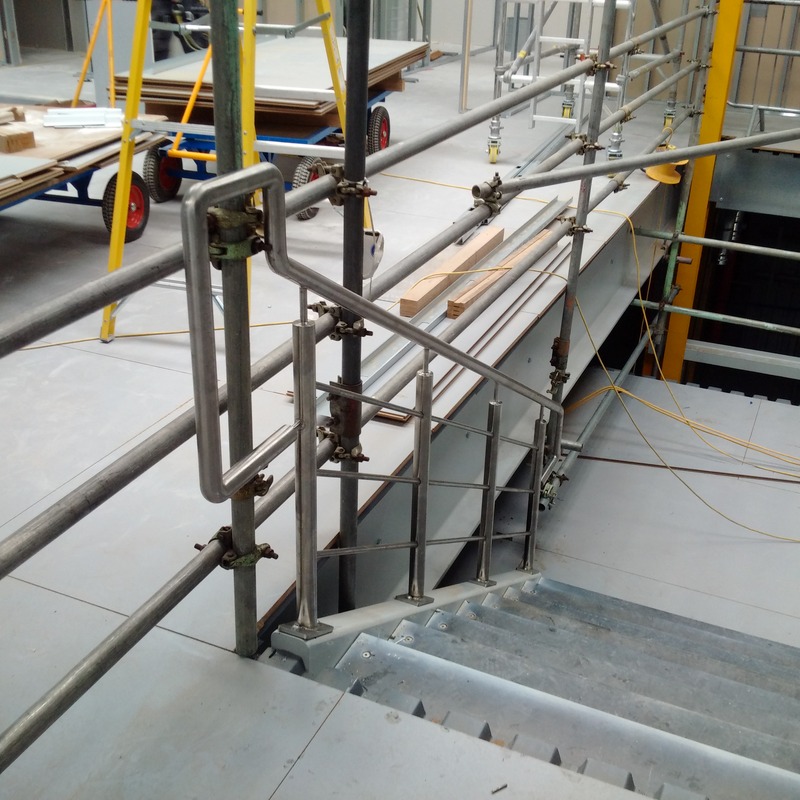 This includes staircases (straight, dog-leg, U-shape, curved, spiral, access etc), fire escapes, balconies and balustrading, cat ladders, angles, bracketry and secondary steelwork, as well as other general fabrications and much more. 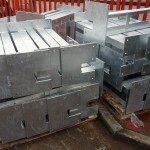 Mild steel and stainless steel are most widely used. 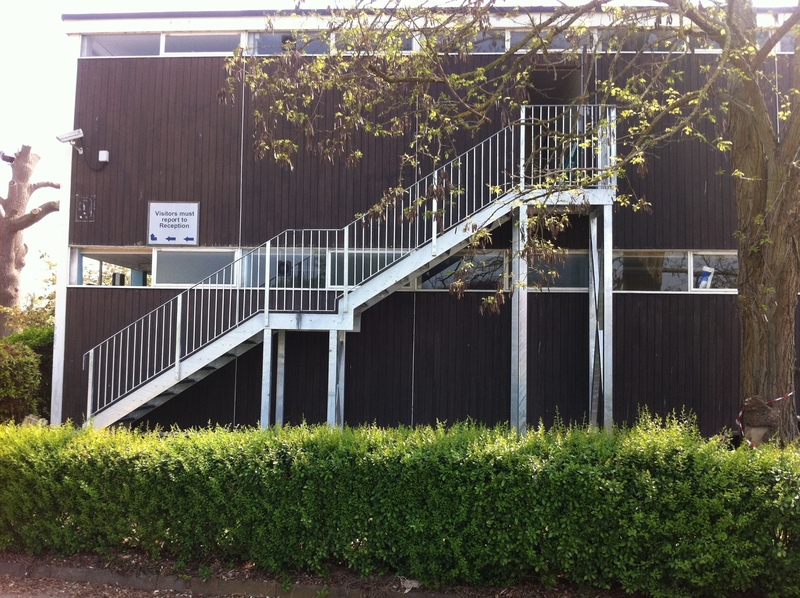 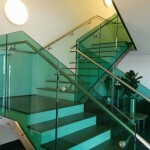 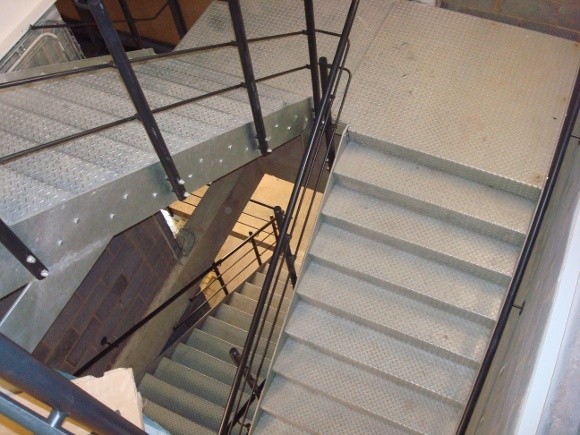 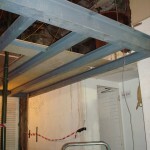 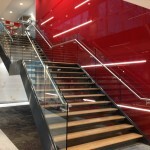 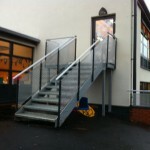 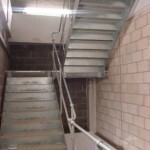 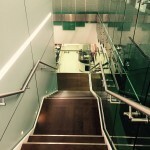 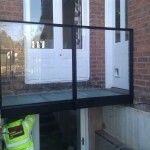 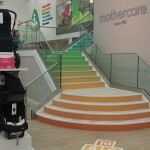 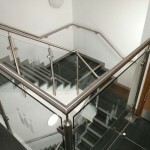 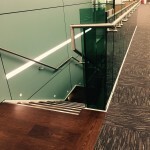 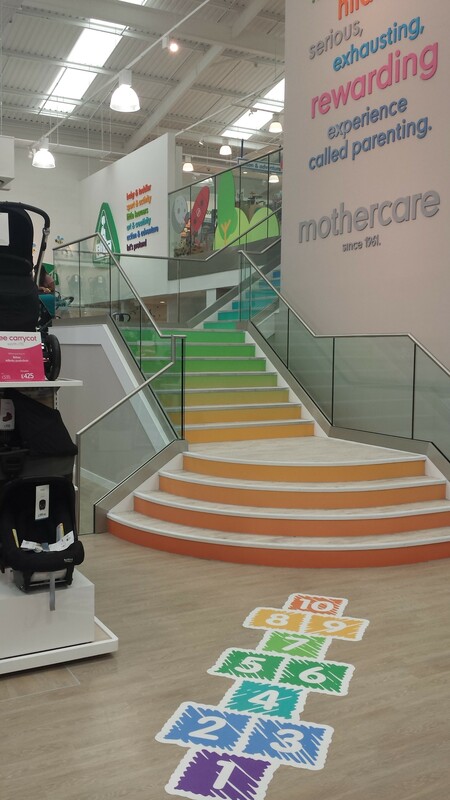 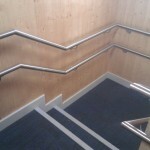 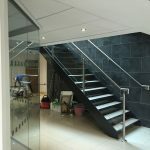 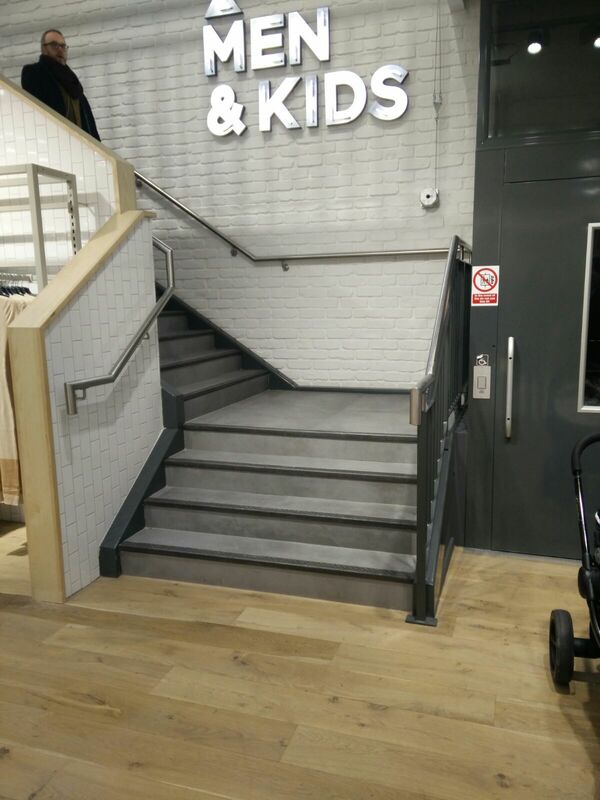 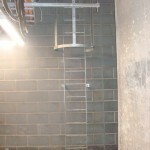 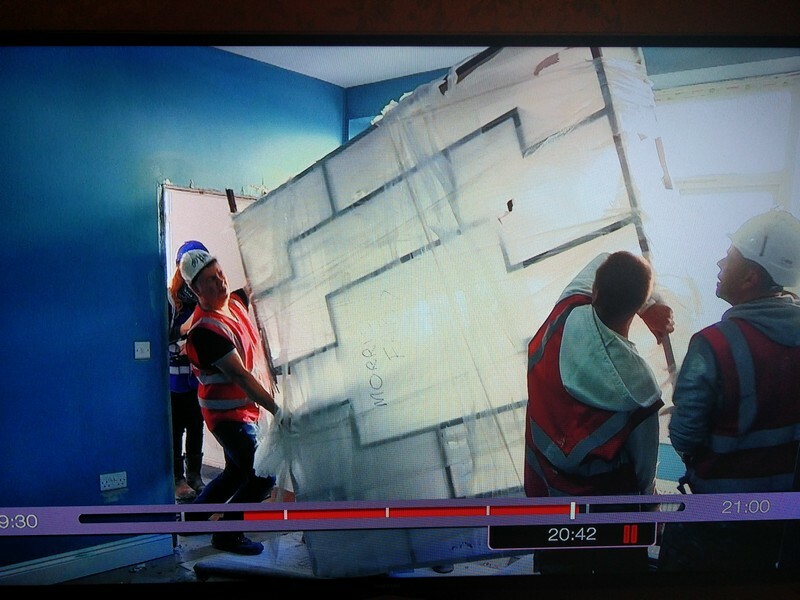 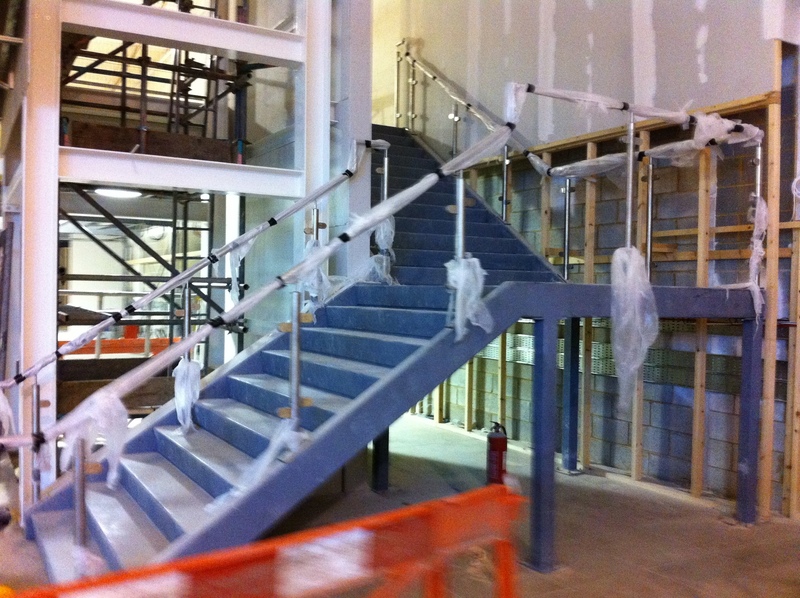 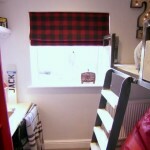 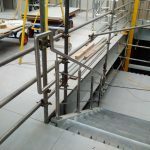 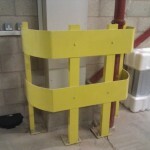 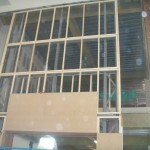 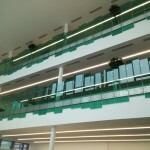 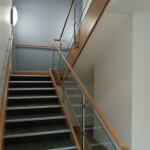 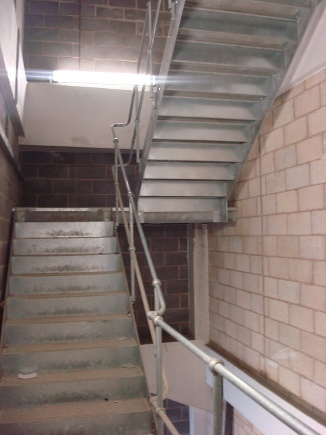 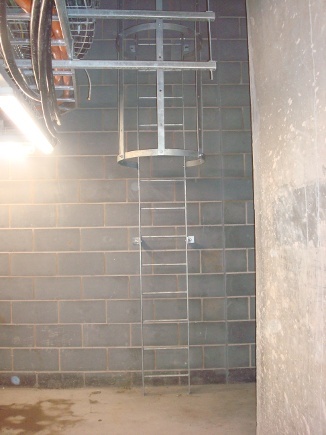 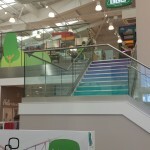 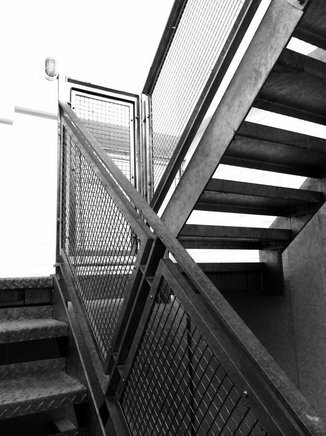 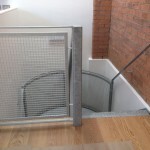 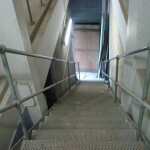 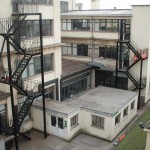 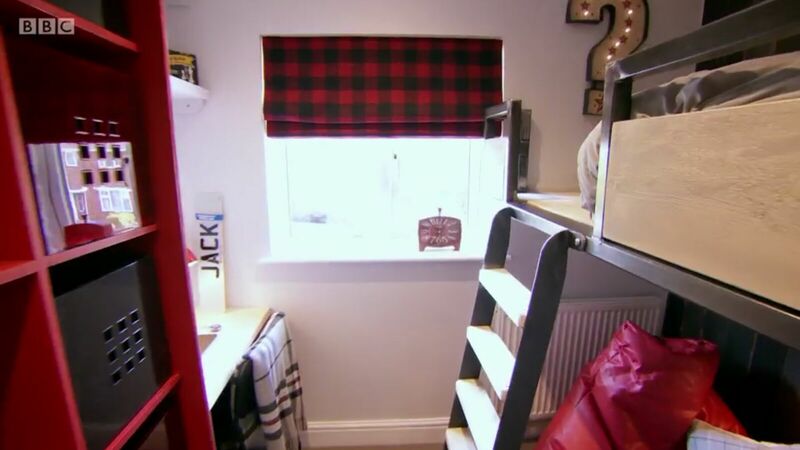 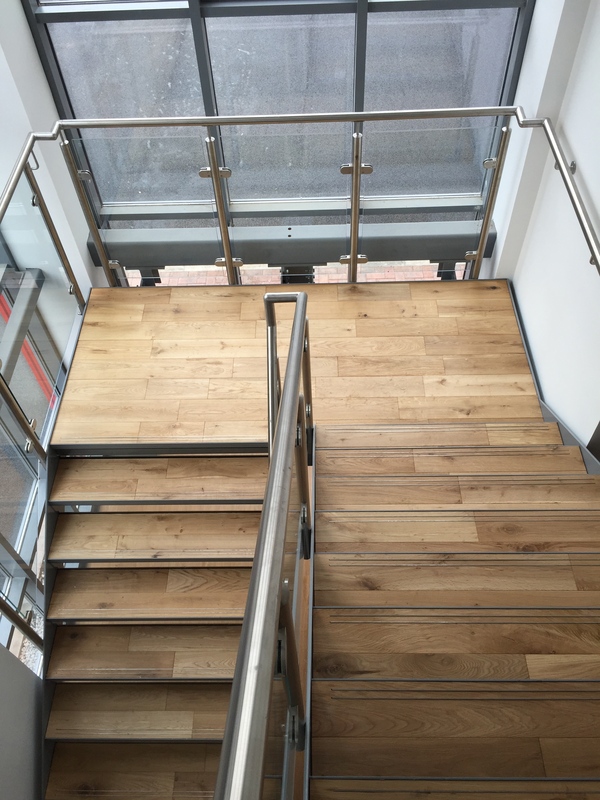 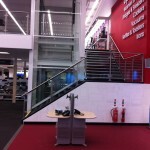 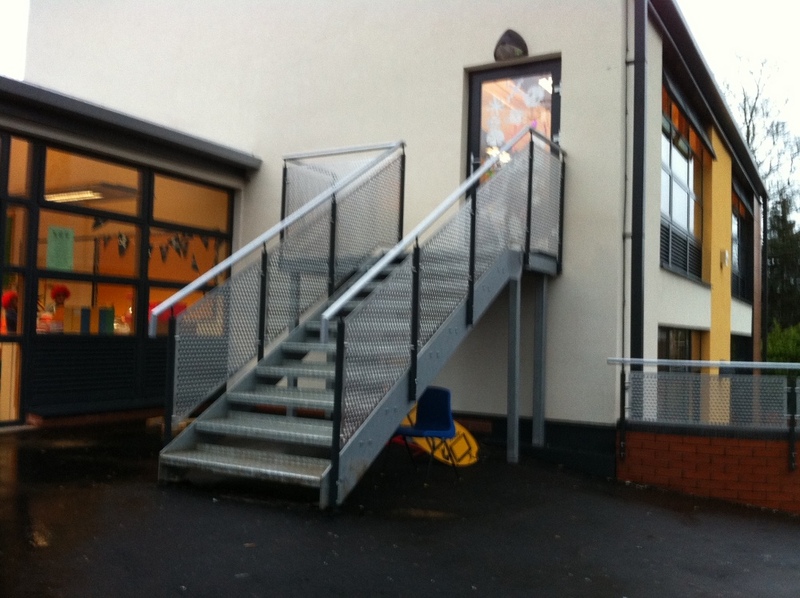 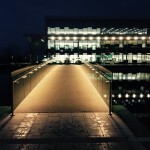 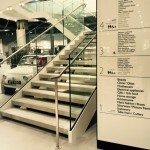 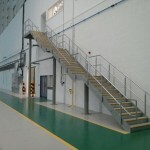 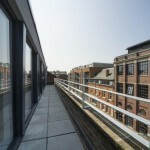 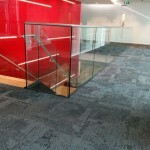 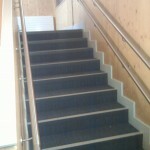 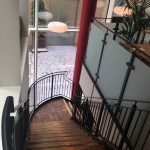 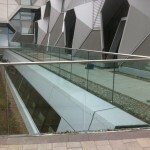 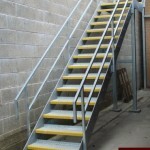 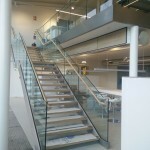 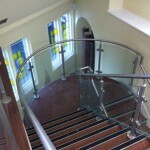 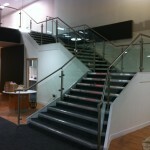 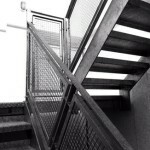 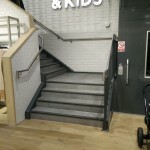 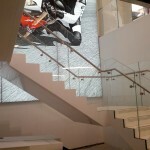 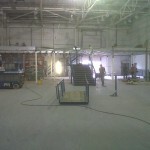 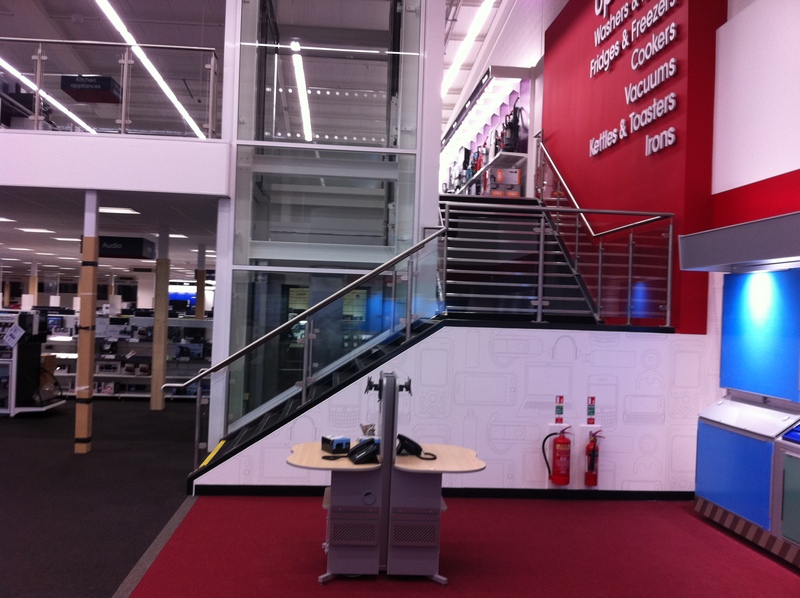 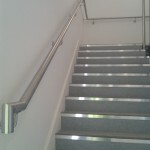 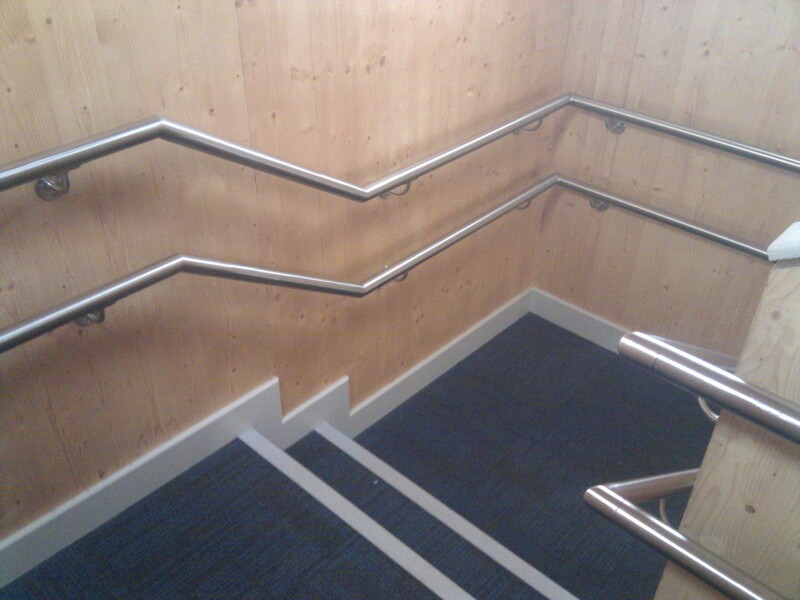 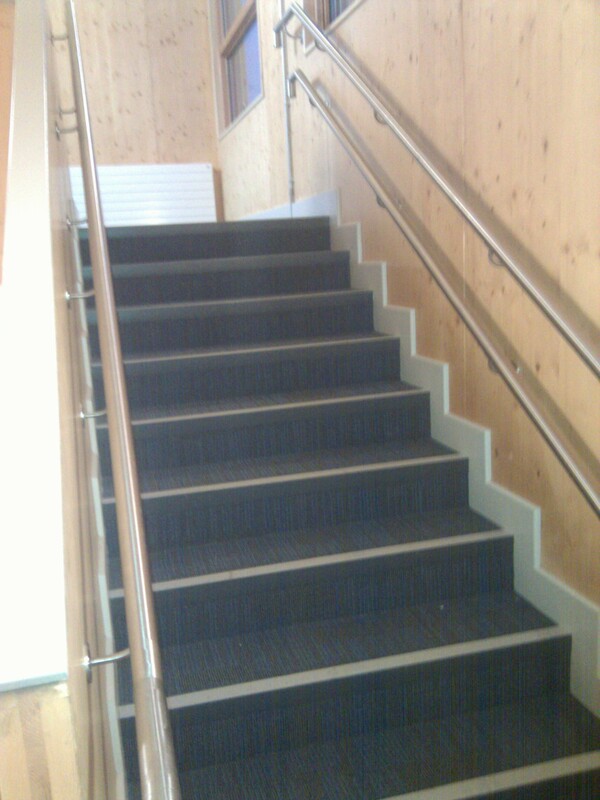 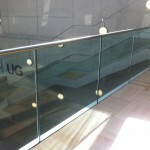 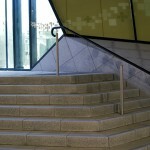 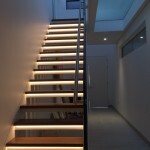 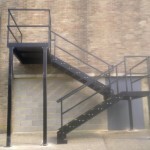 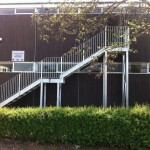 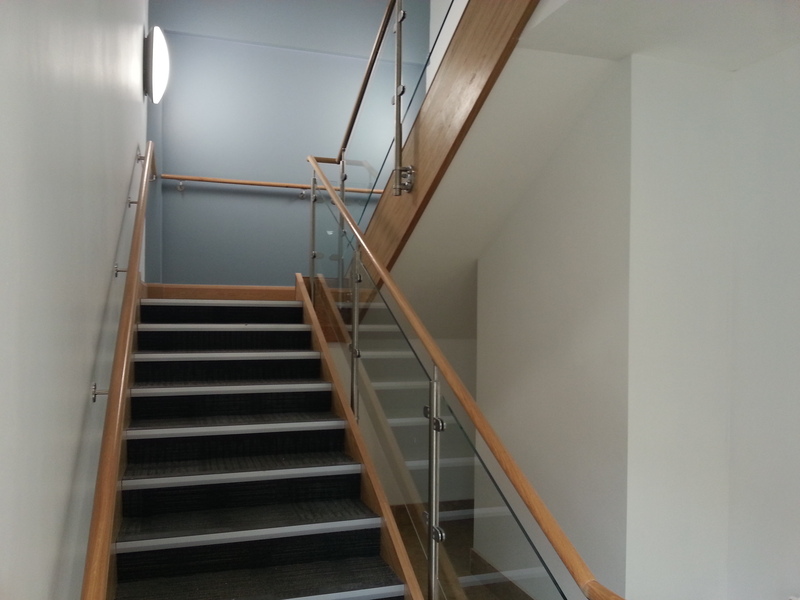 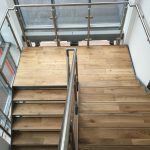 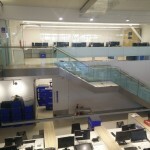 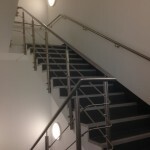 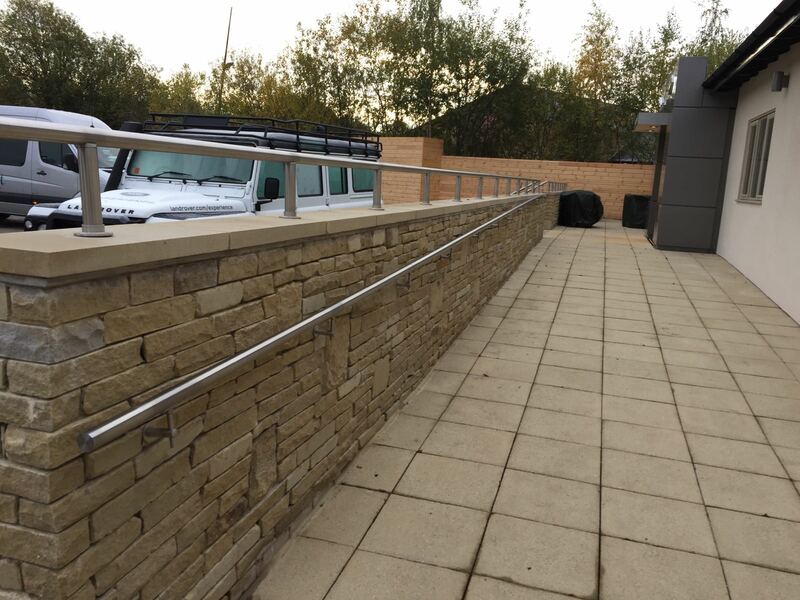 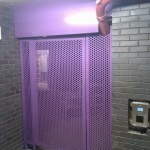 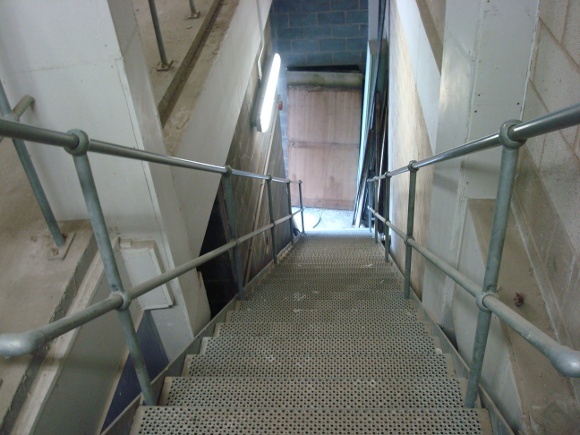 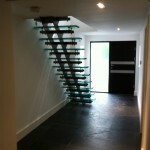 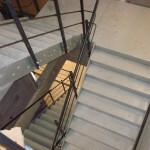 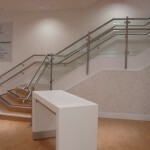 We follow guidelines set down by various organisations including the ODMP and British Standards, including Building Regulations Approved Document Part K, Protection from falling, collision and impact; Building Regulations Approved Document Part M, Access to and use of buildings of the Building Regulations; British Standard BS 5395-1:2010 Stairs. 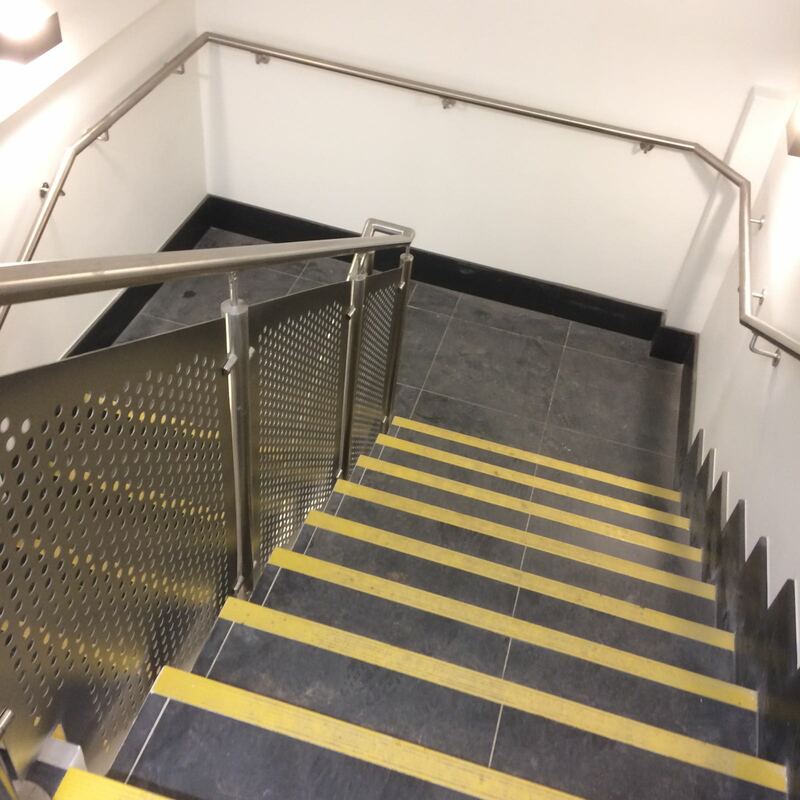 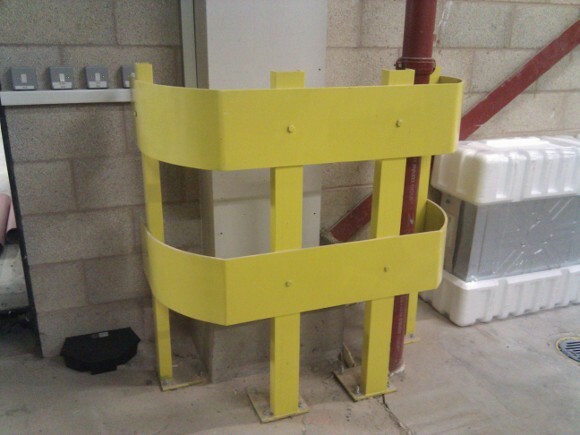 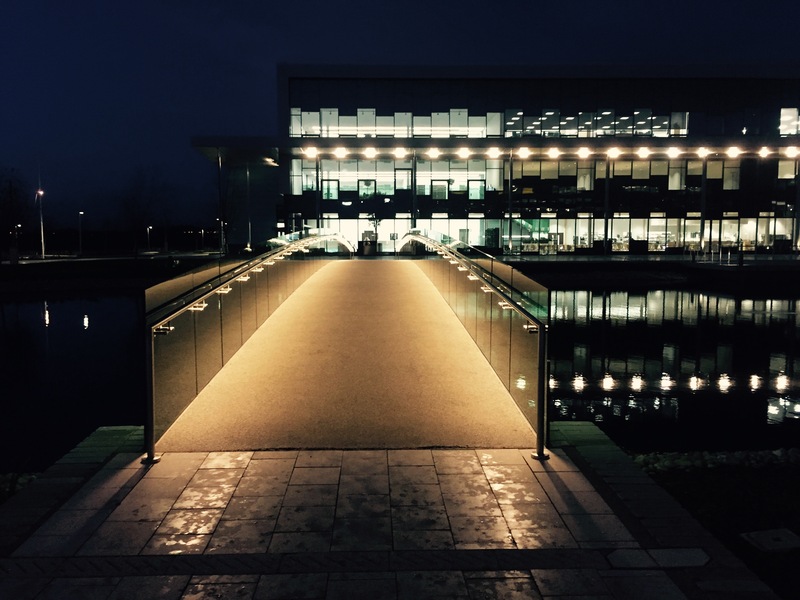 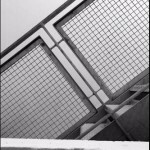 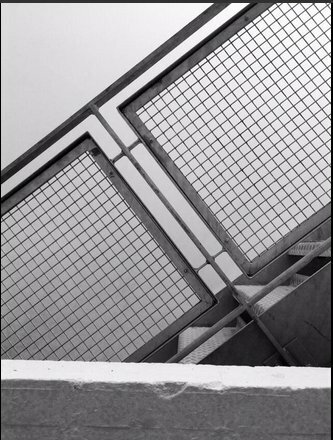 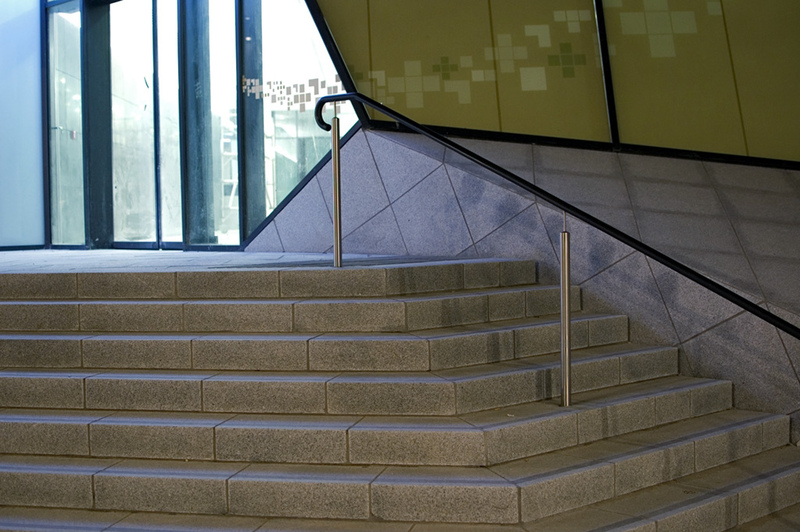 Code of practice for the design of stairs with straight flights and winders and BS 6180:2011 Barriers in and about buildings, Code of practice. 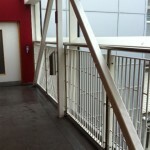 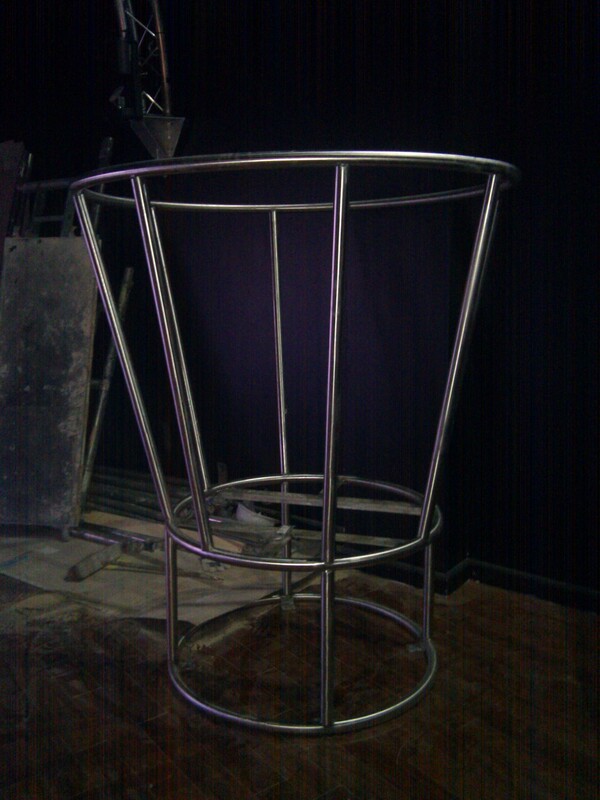 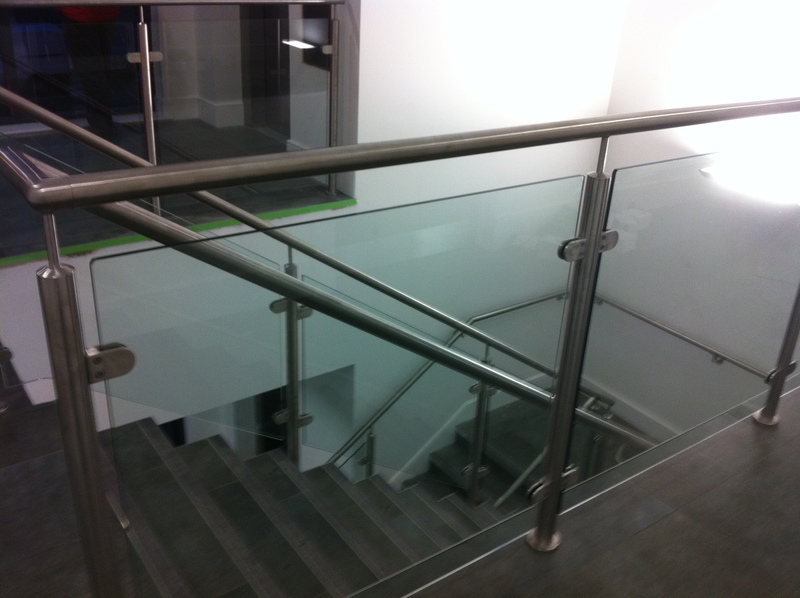 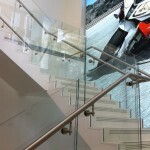 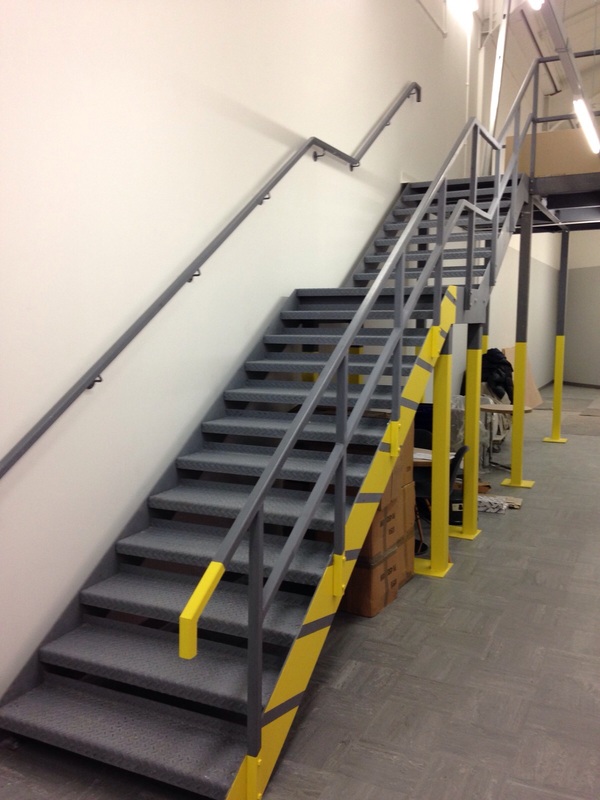 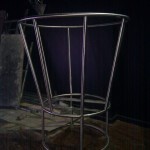 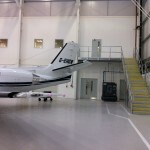 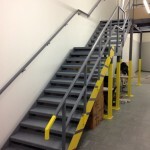 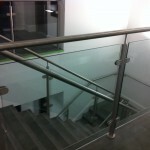 We are able to fabricate and install various metalwork items in stainless steel. 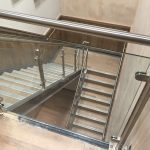 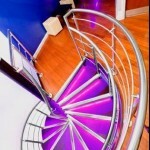 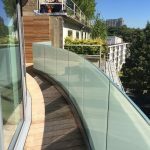 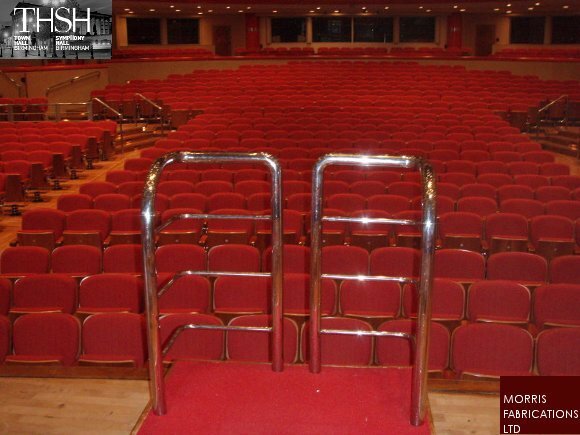 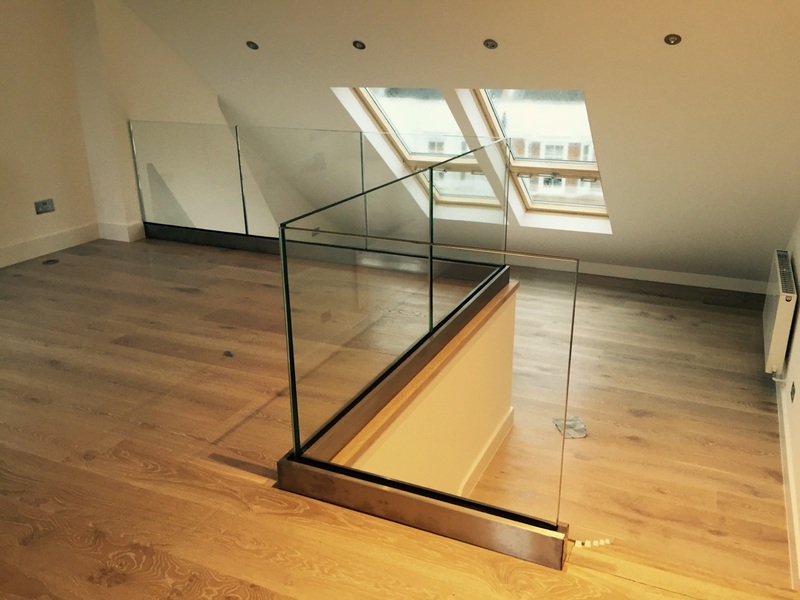 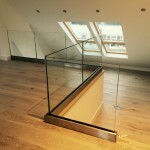 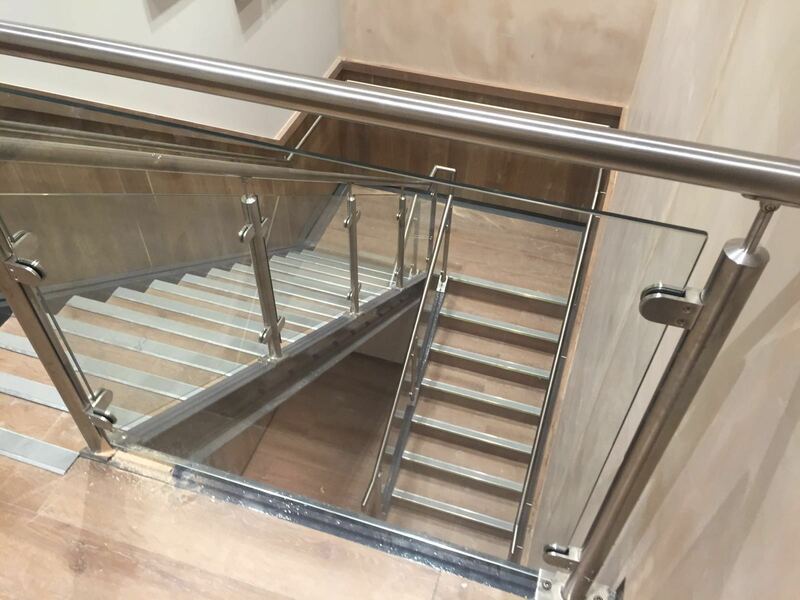 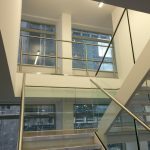 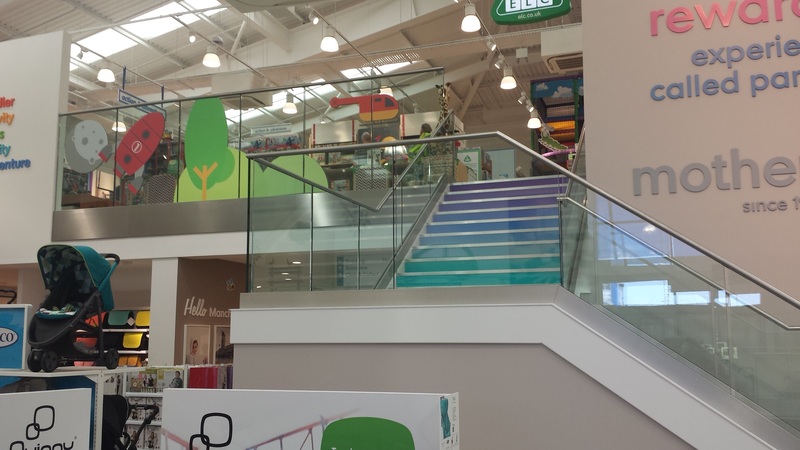 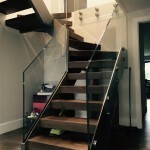 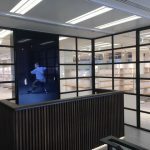 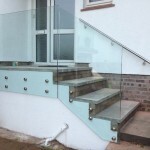 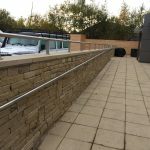 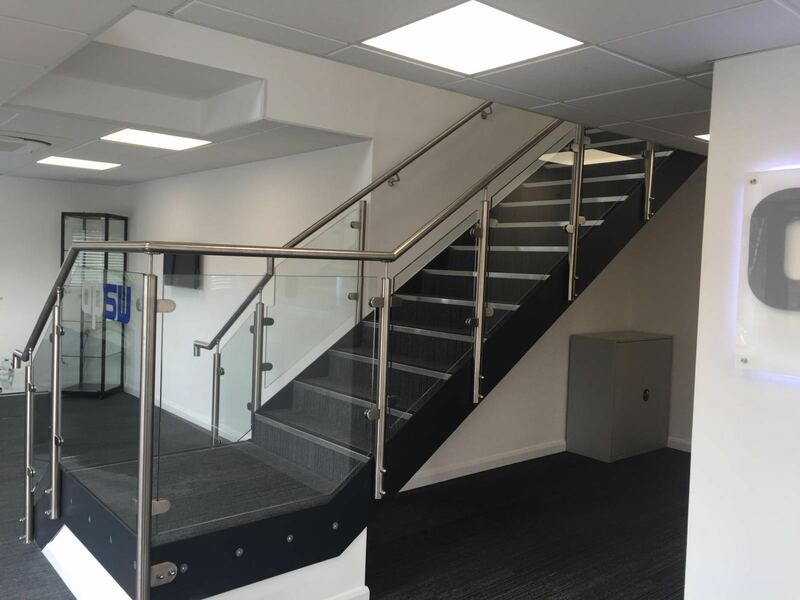 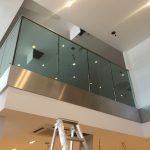 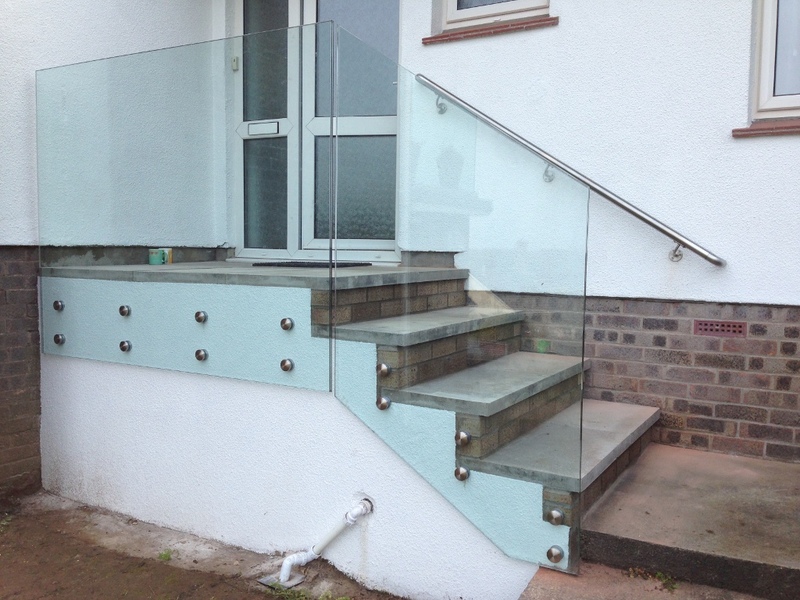 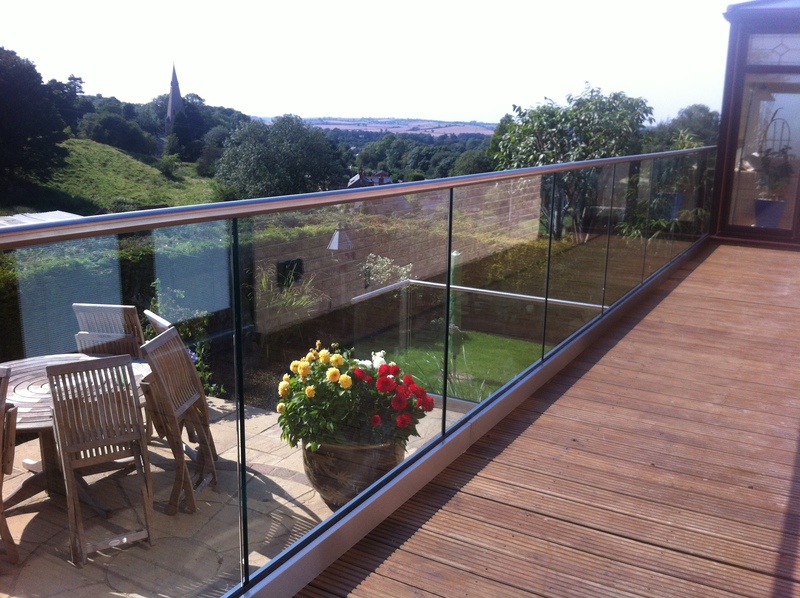 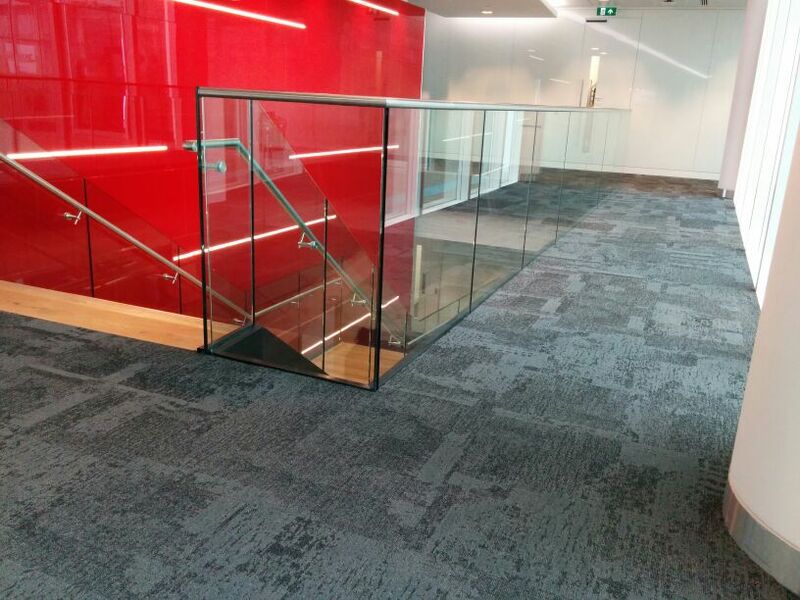 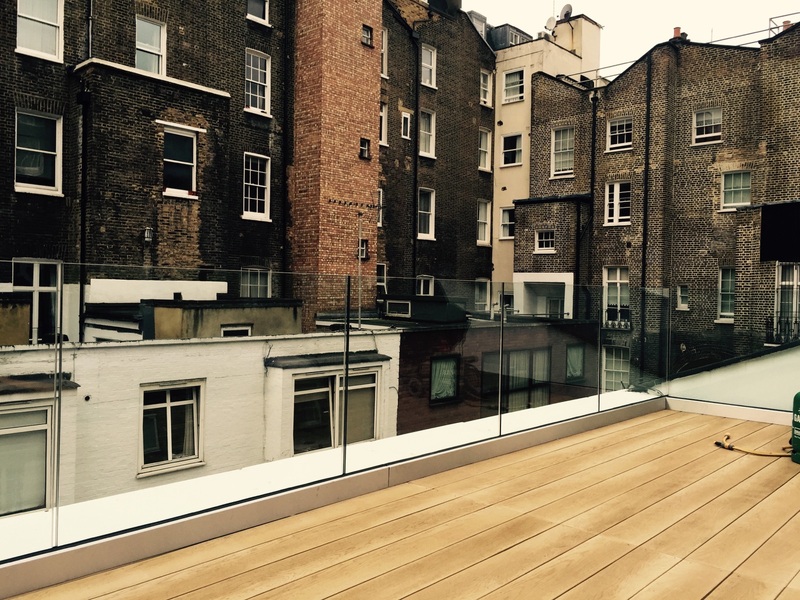 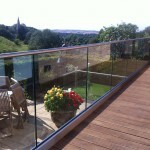 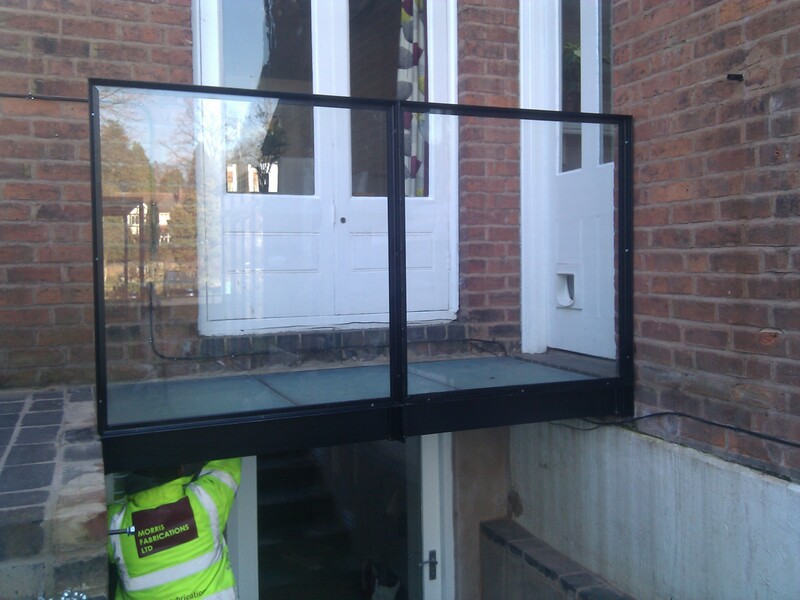 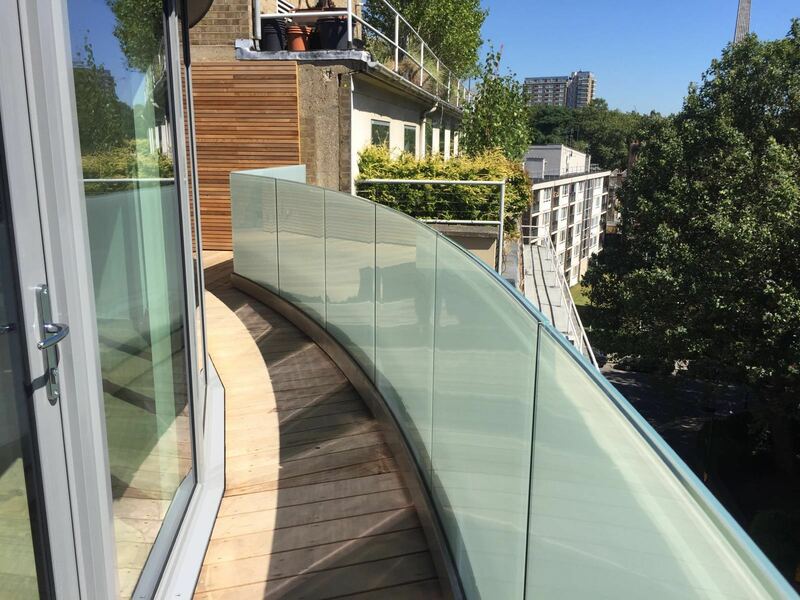 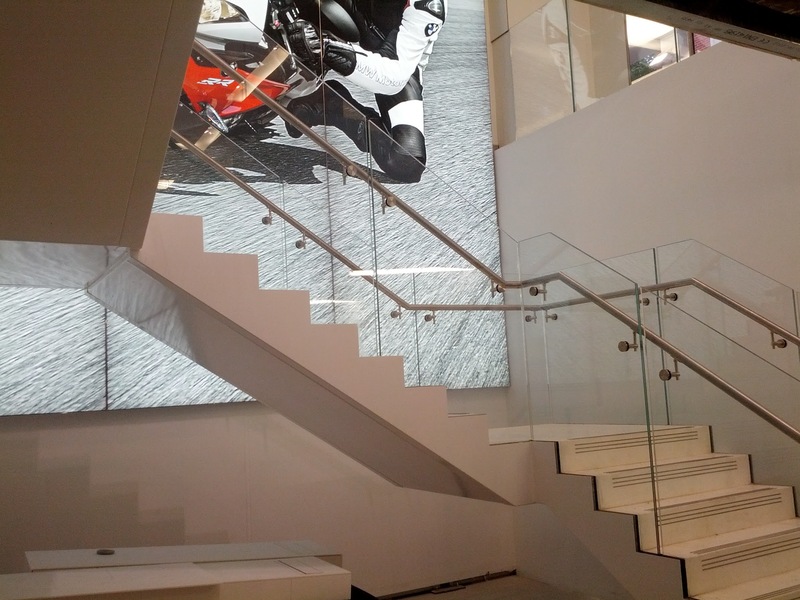 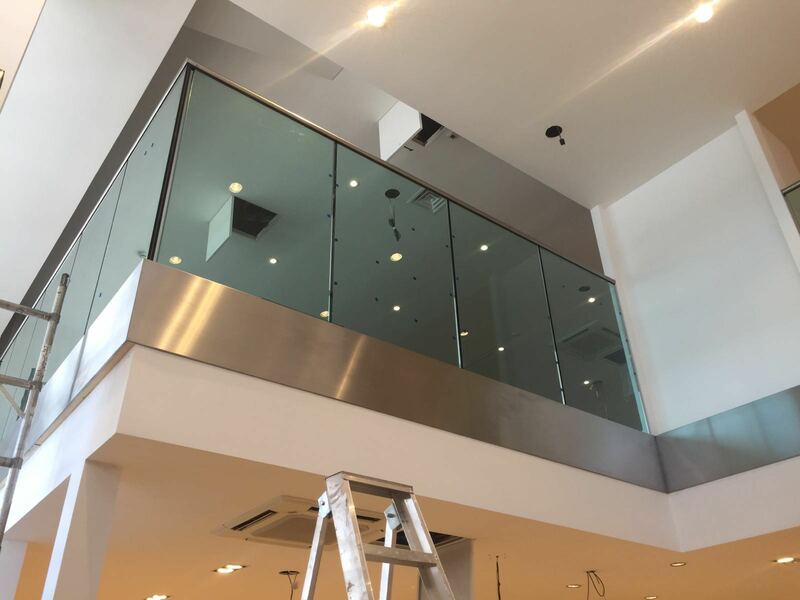 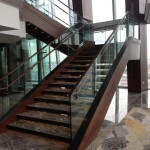 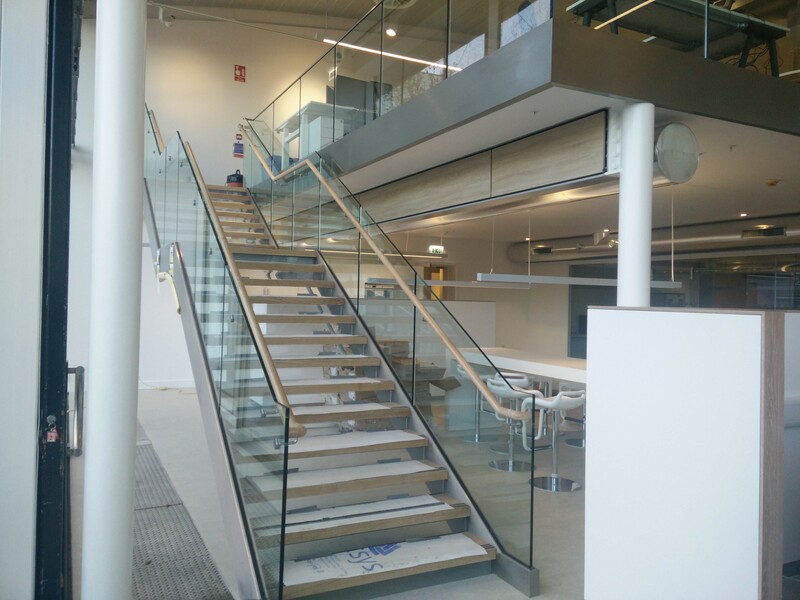 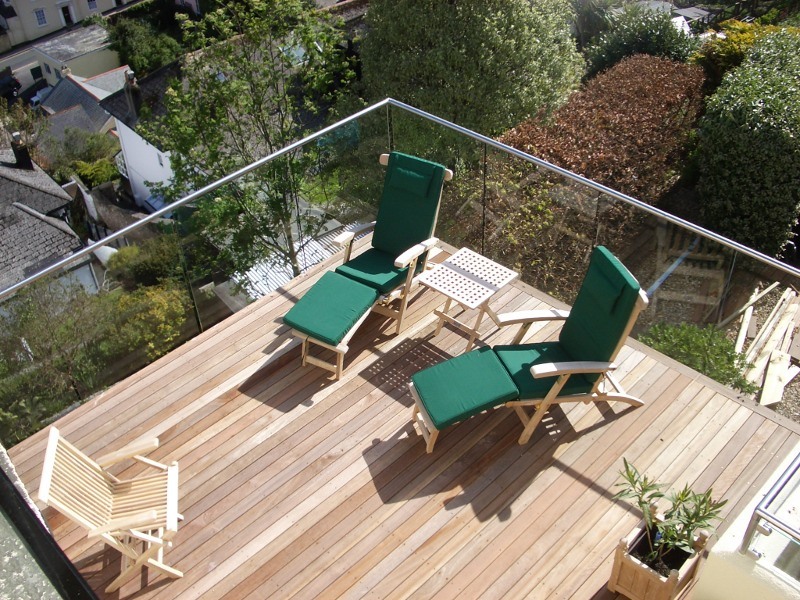 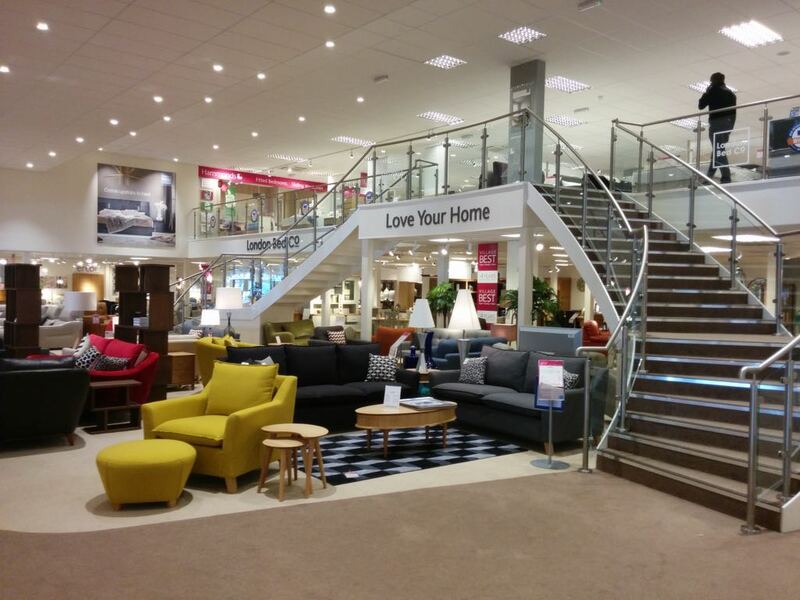 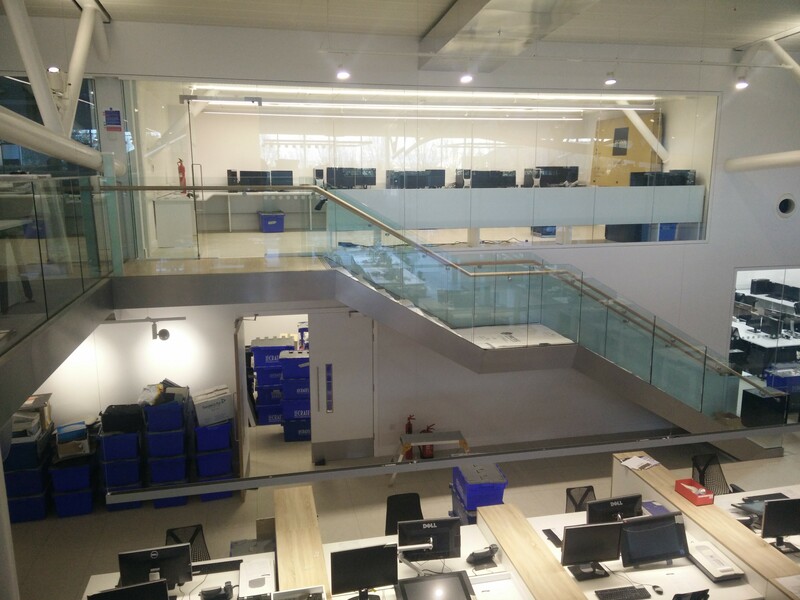 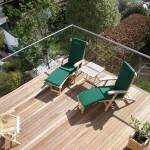 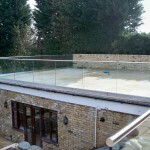 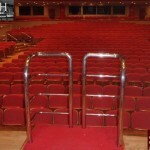 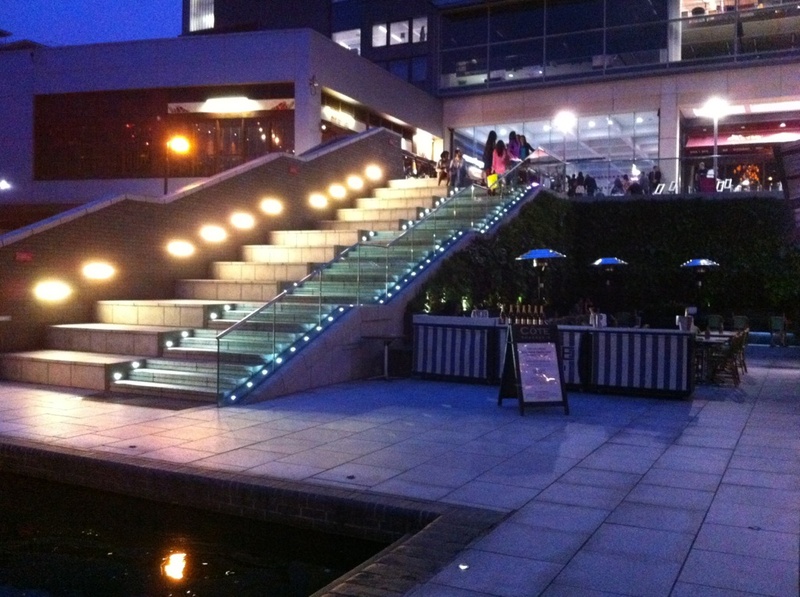 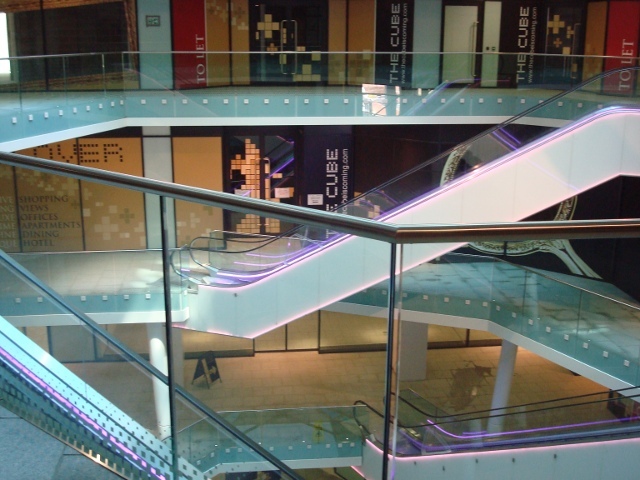 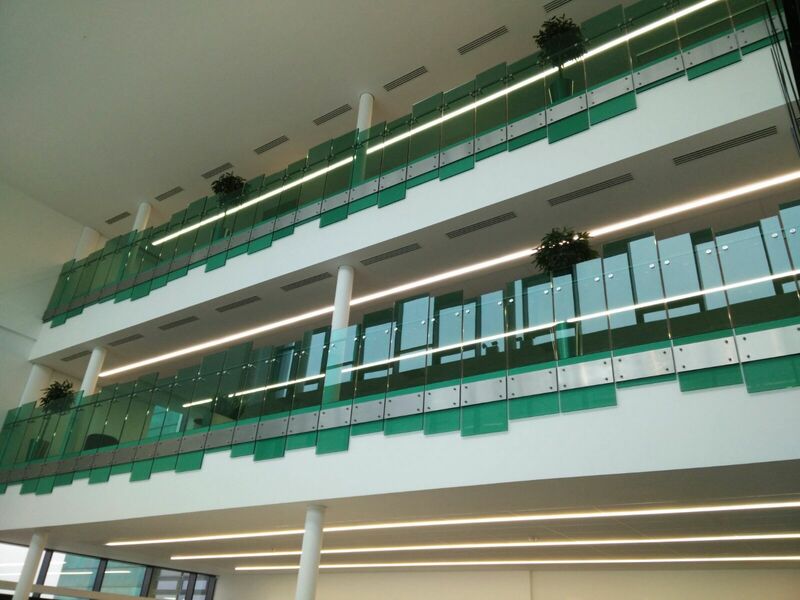 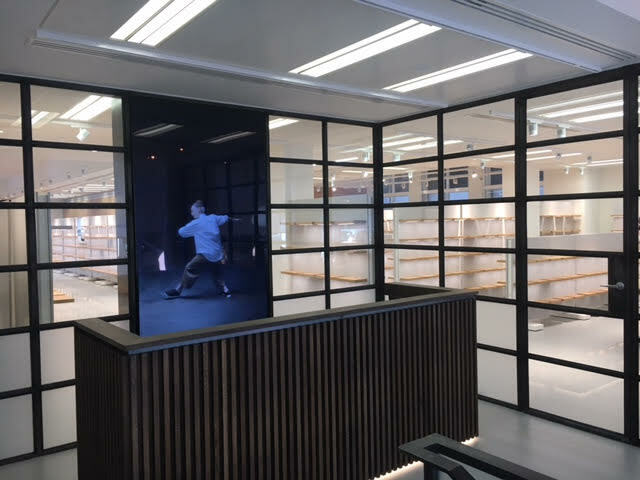 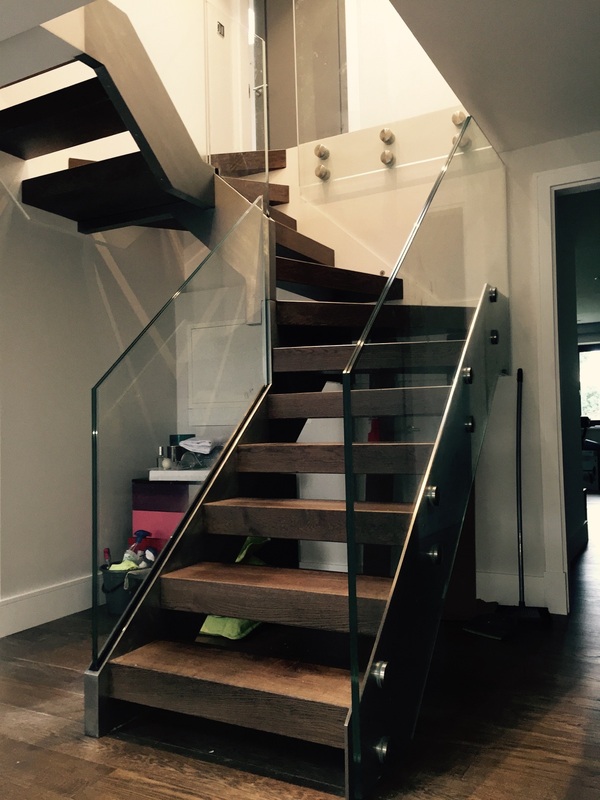 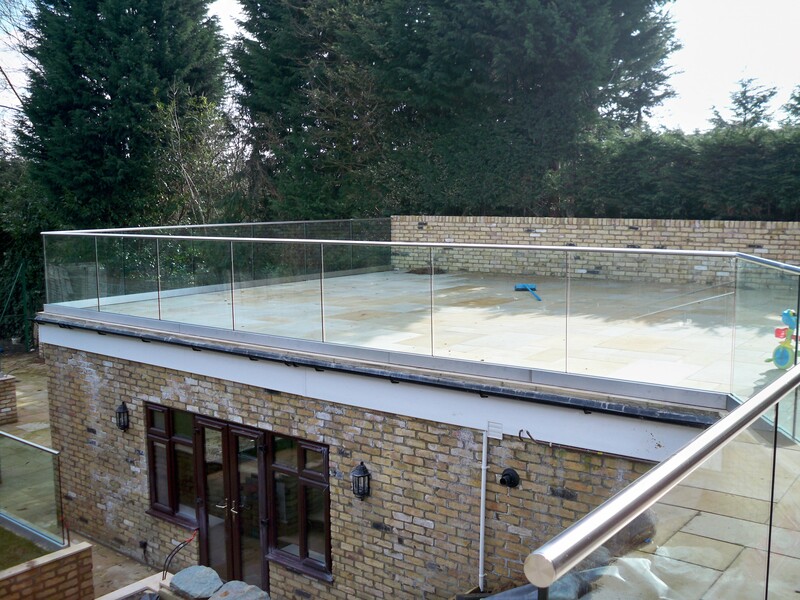 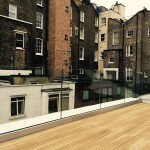 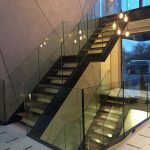 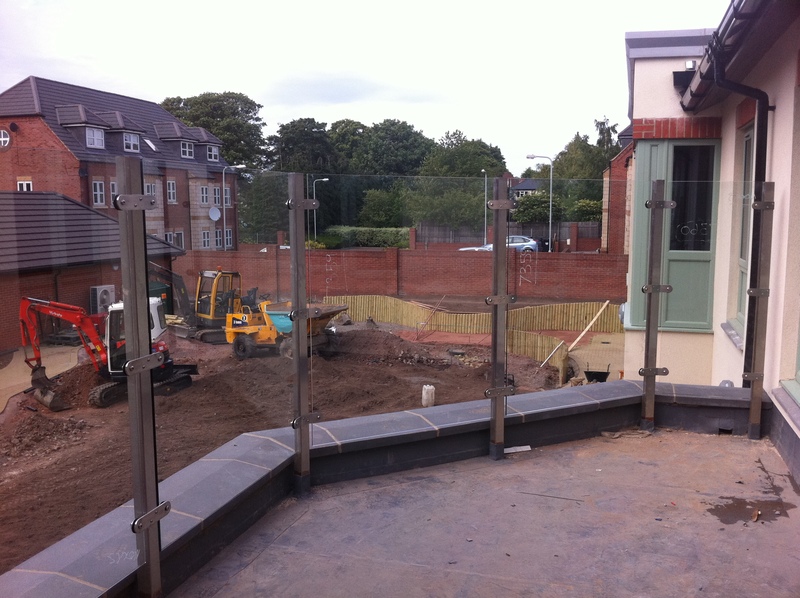 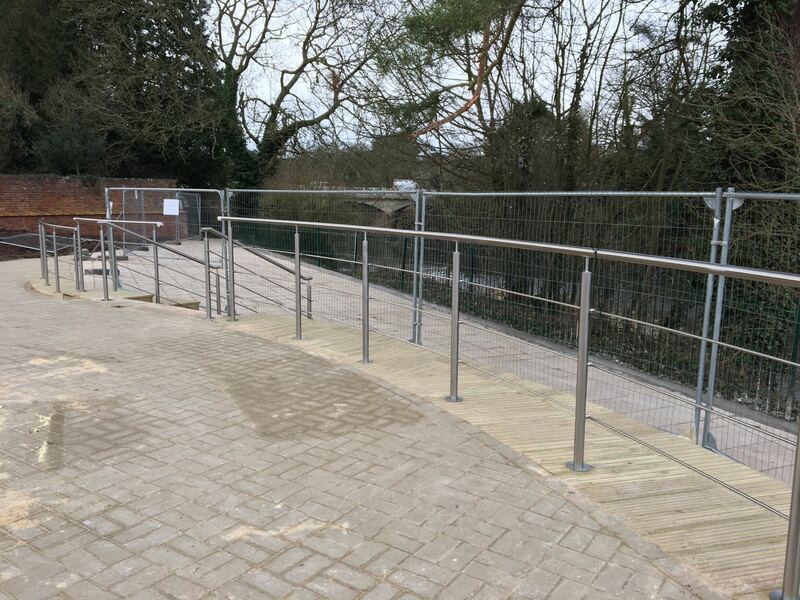 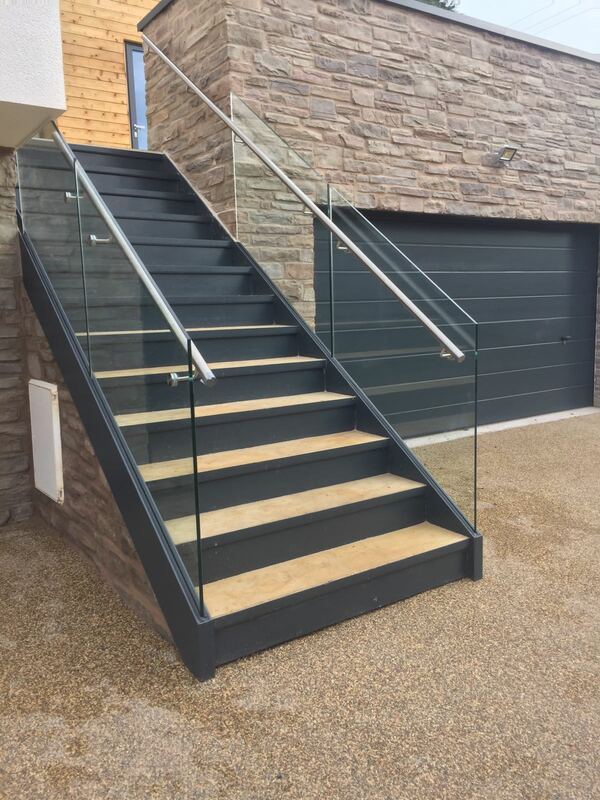 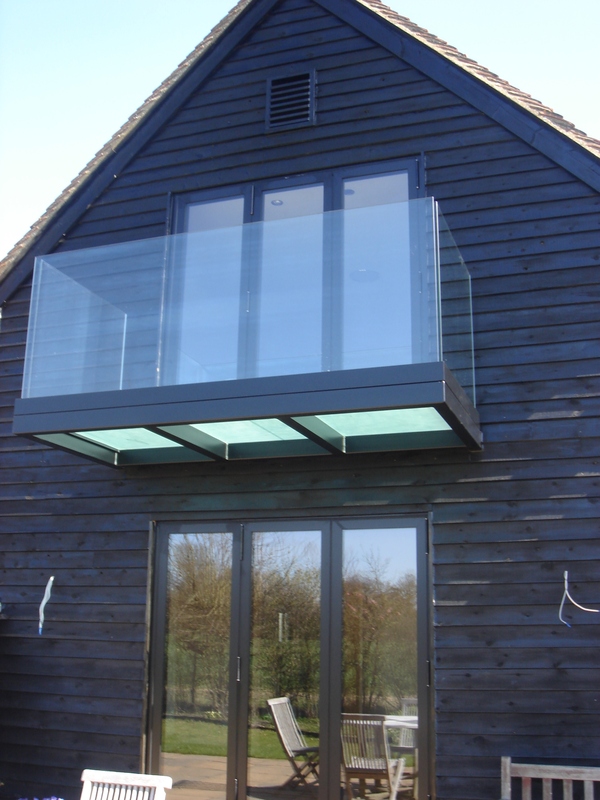 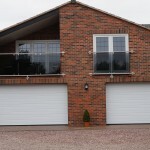 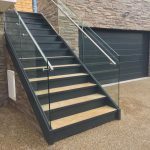 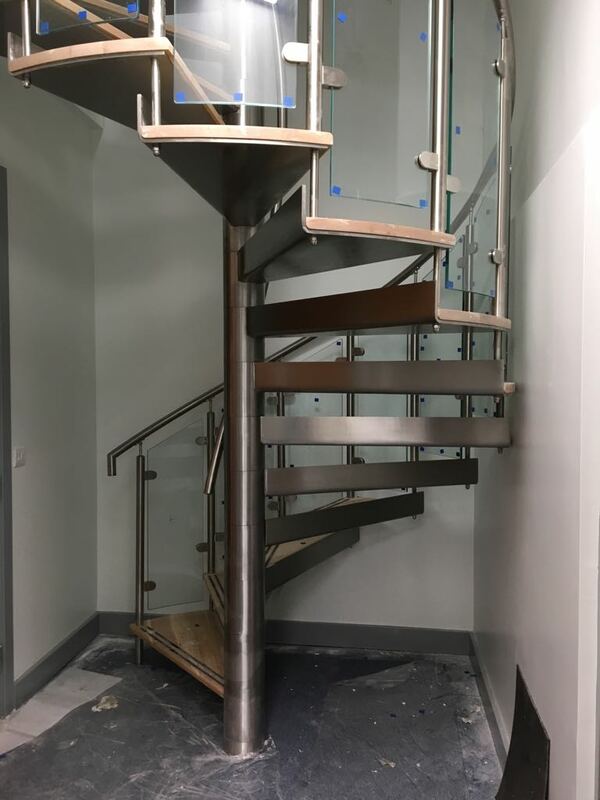 These include stainless steel balustrade, frameless glass balustrade, balcony balustrade, terrace balustrade, stainless steel podiums, stainless steel frames plus much more. 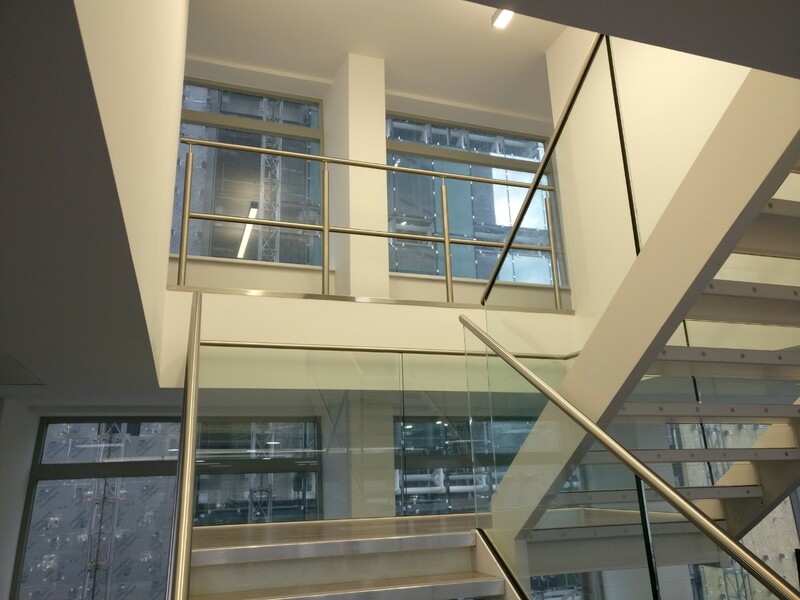 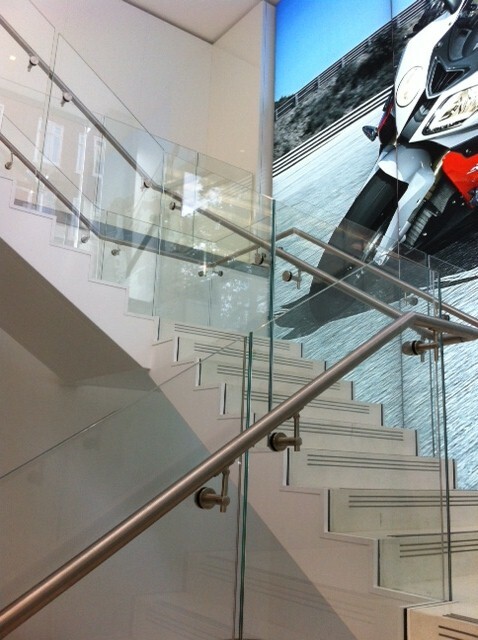 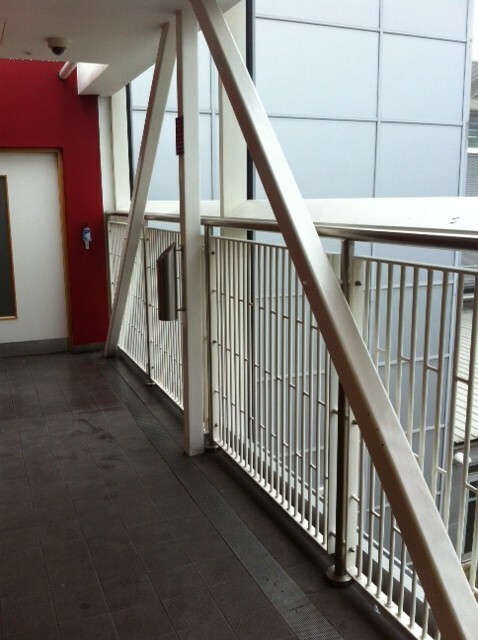 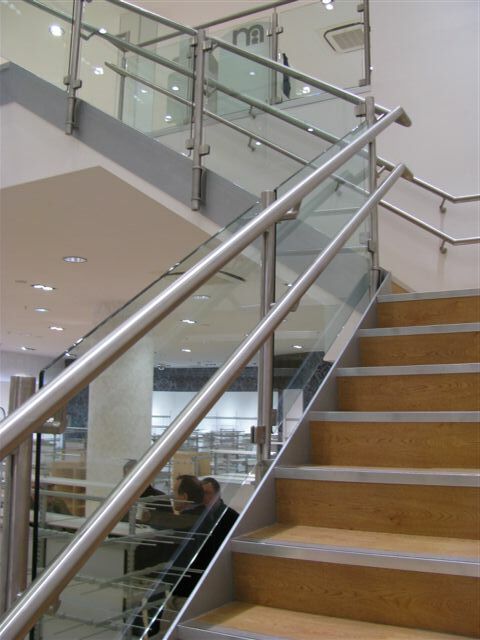 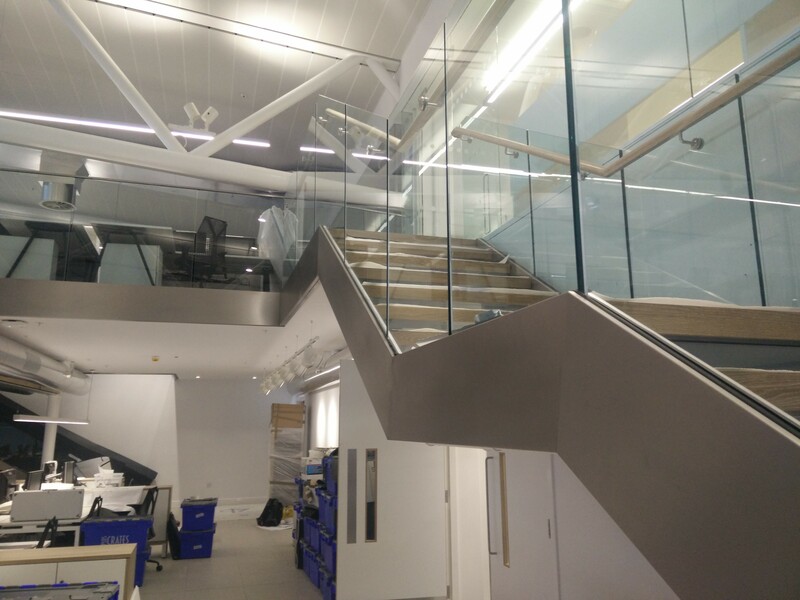 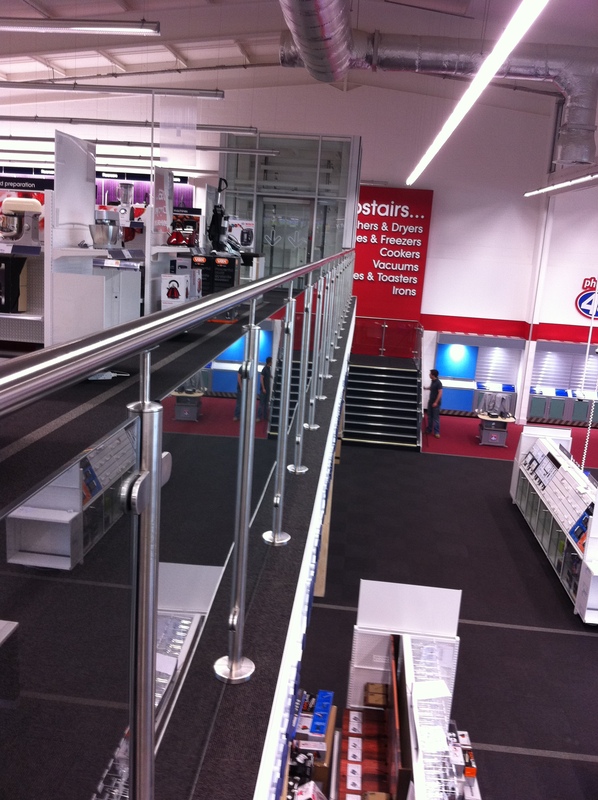 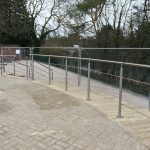 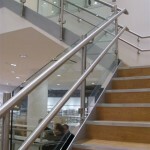 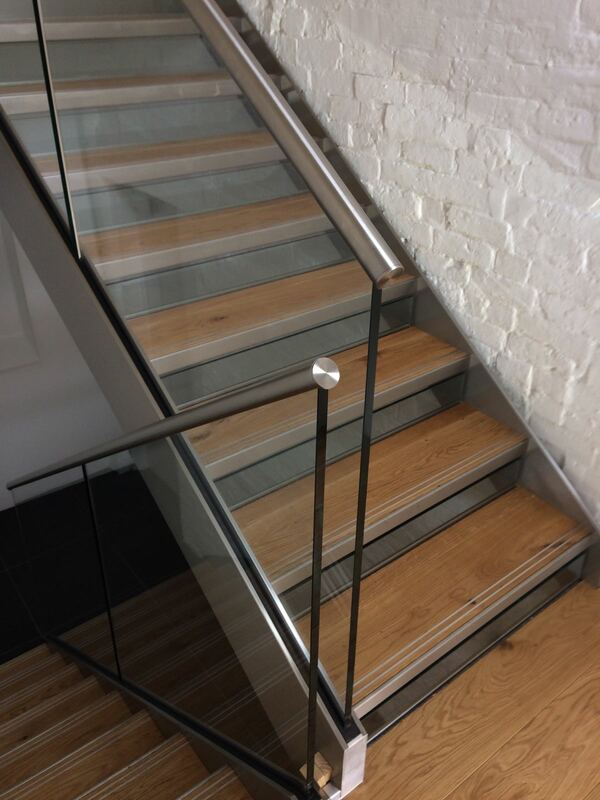 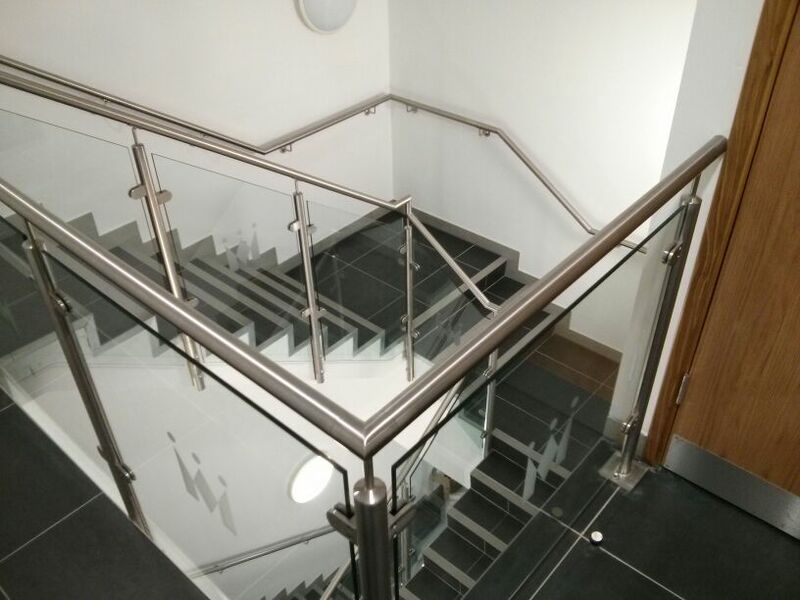 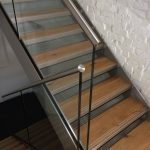 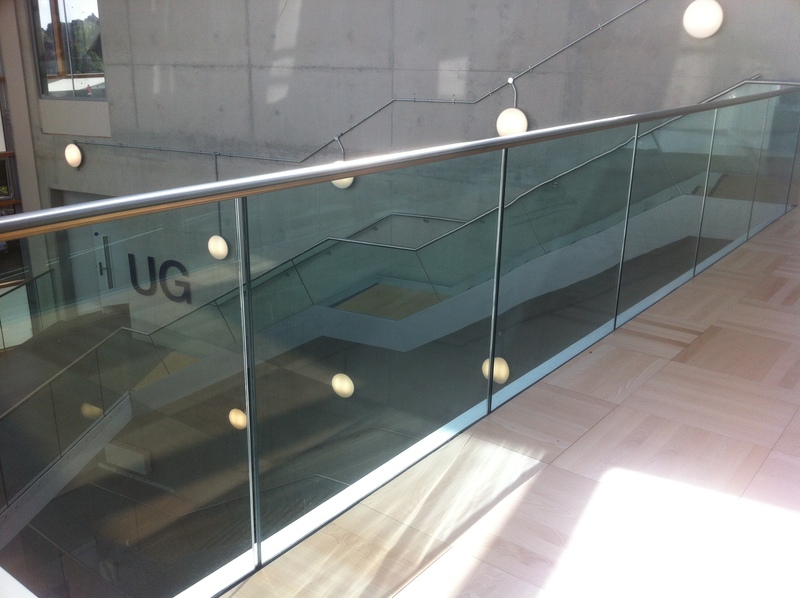 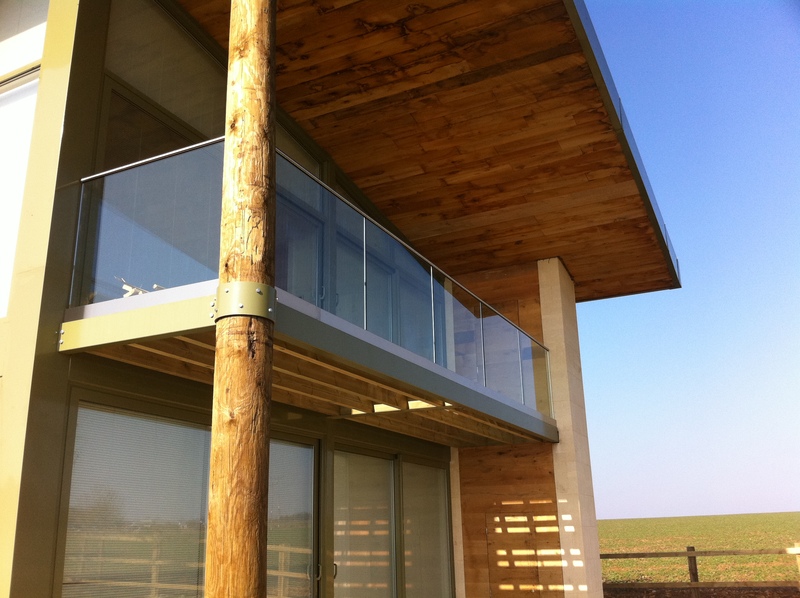 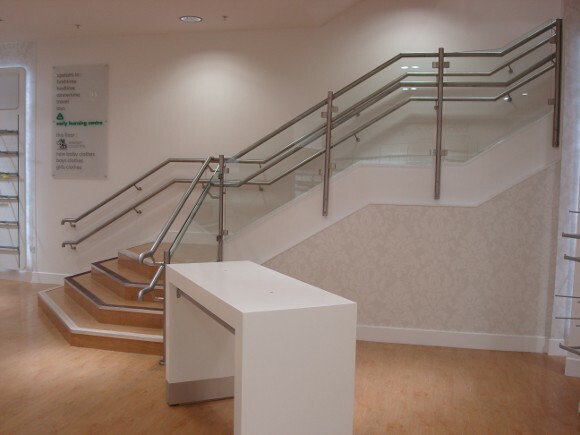 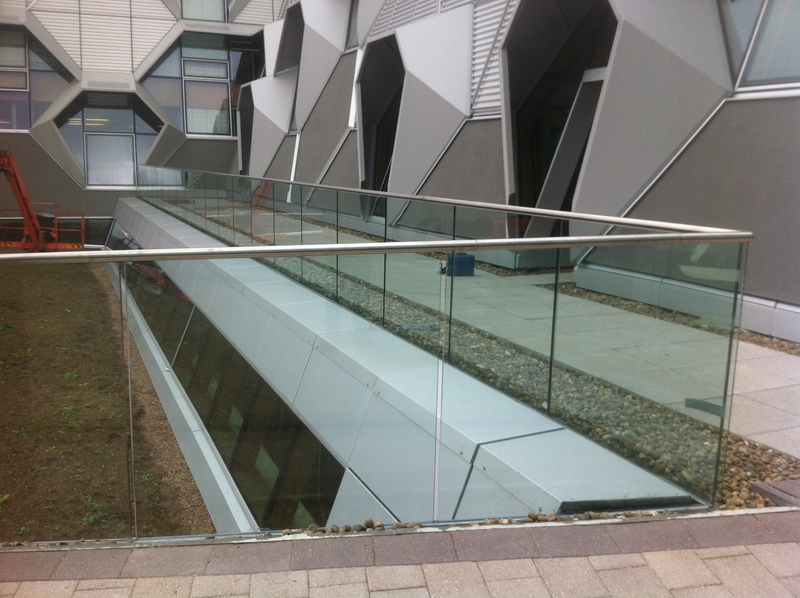 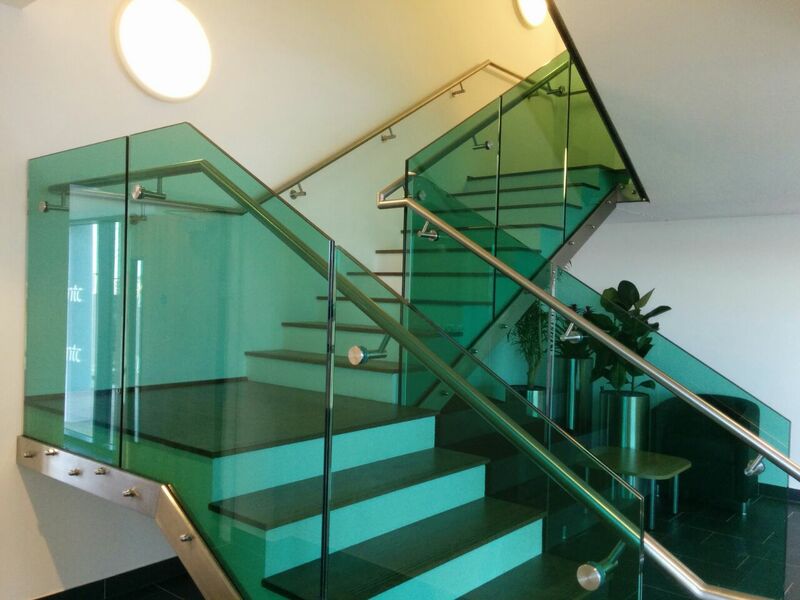 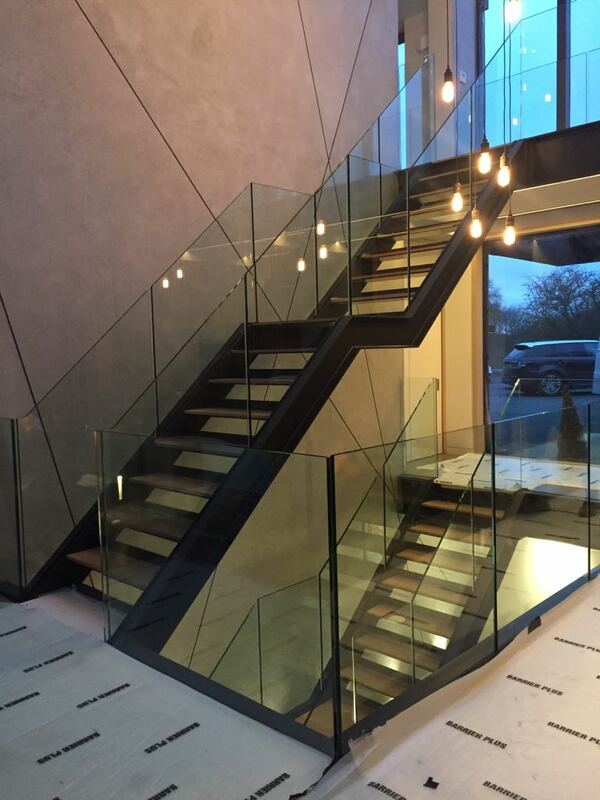 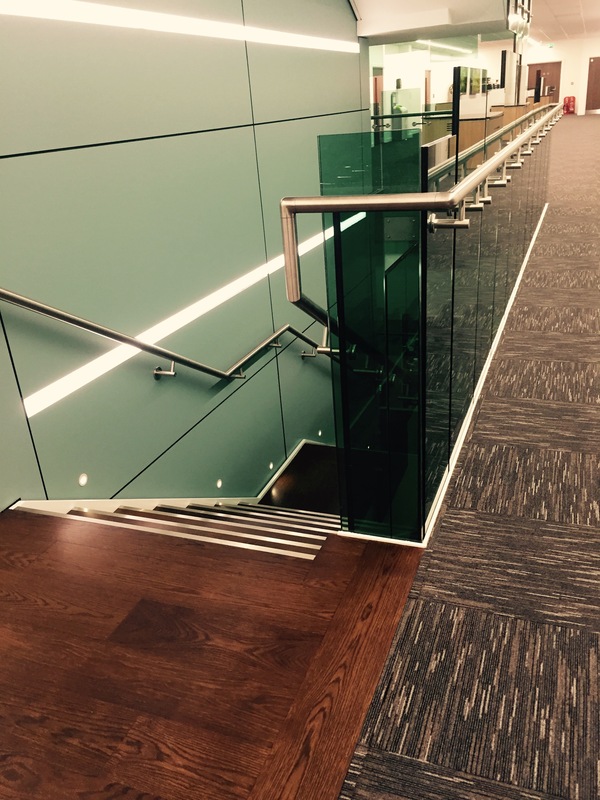 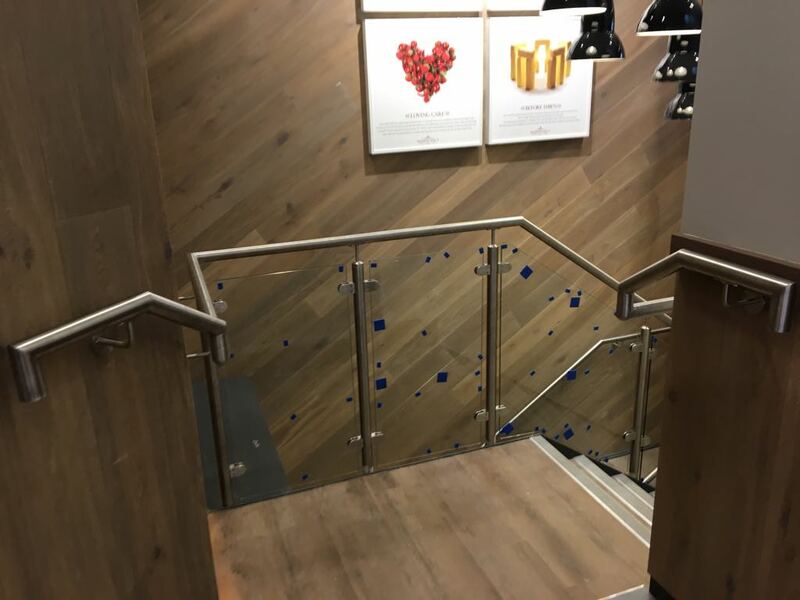 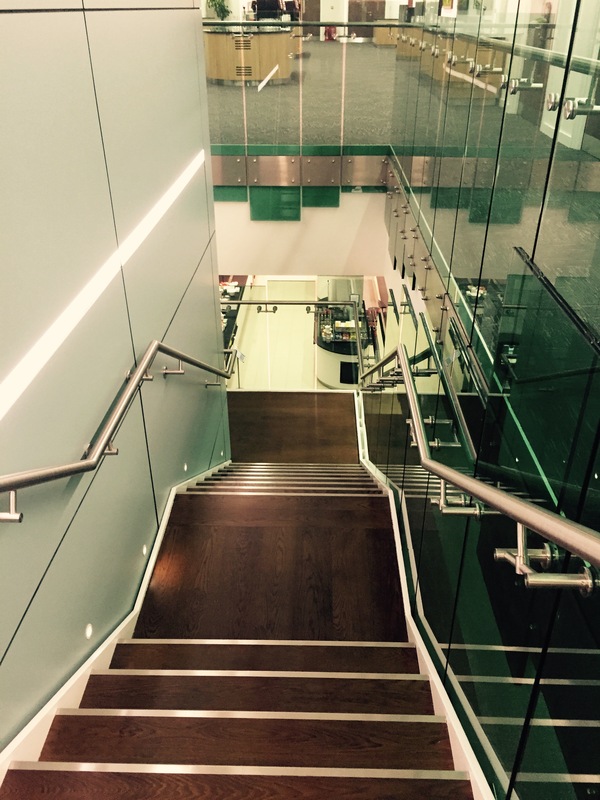 You can purchase our freestanding balustrade stainless steel components from us directly – please visit our glass balustrade webshop at balustradeglass.co.uk for more information. 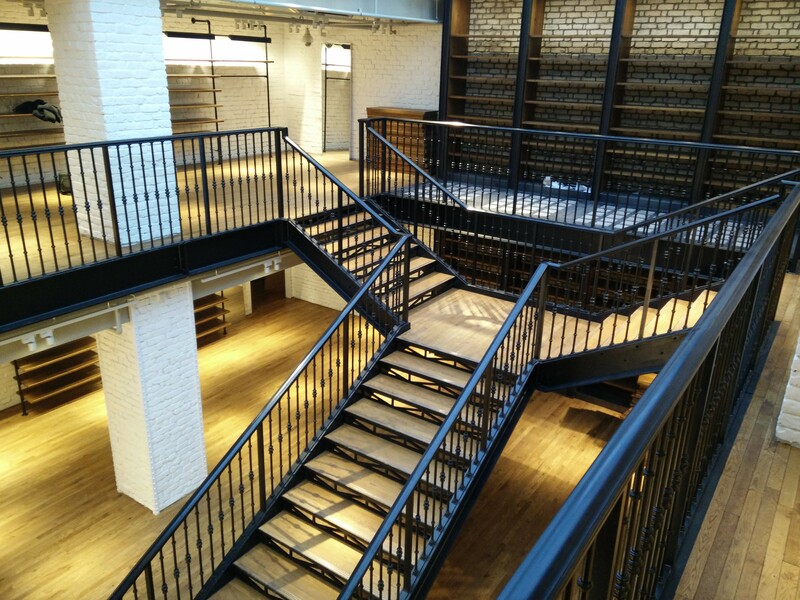 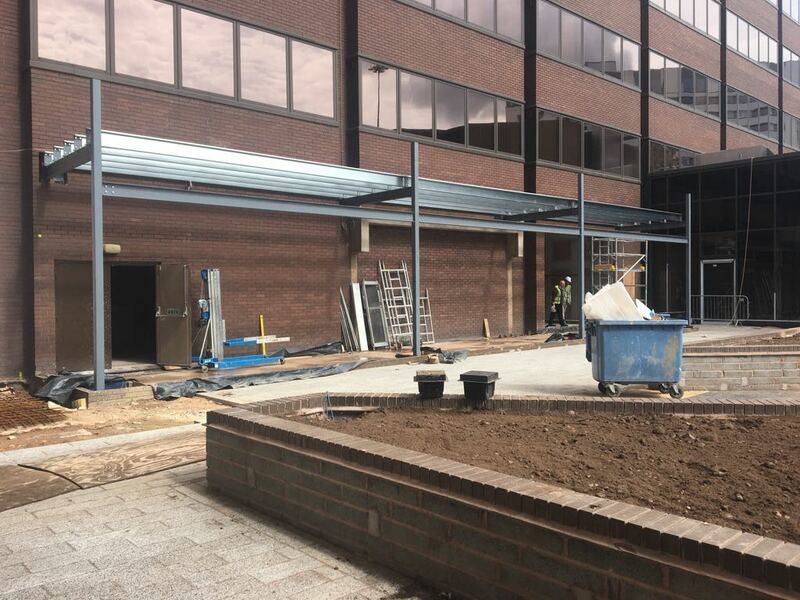 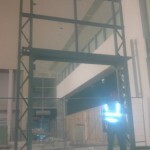 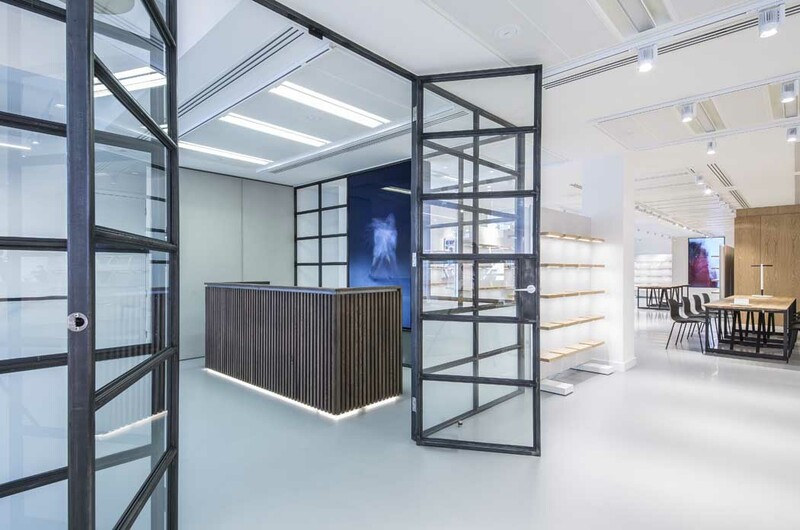 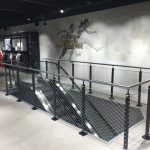 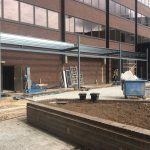 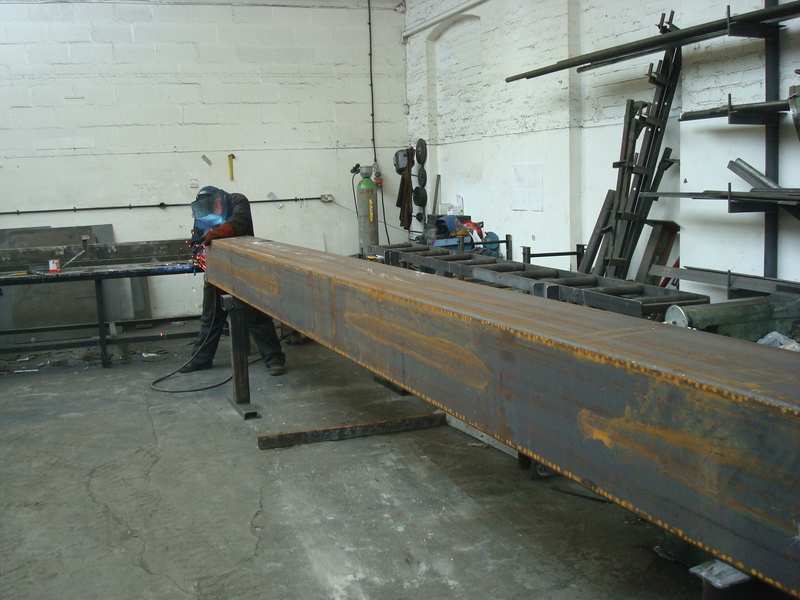 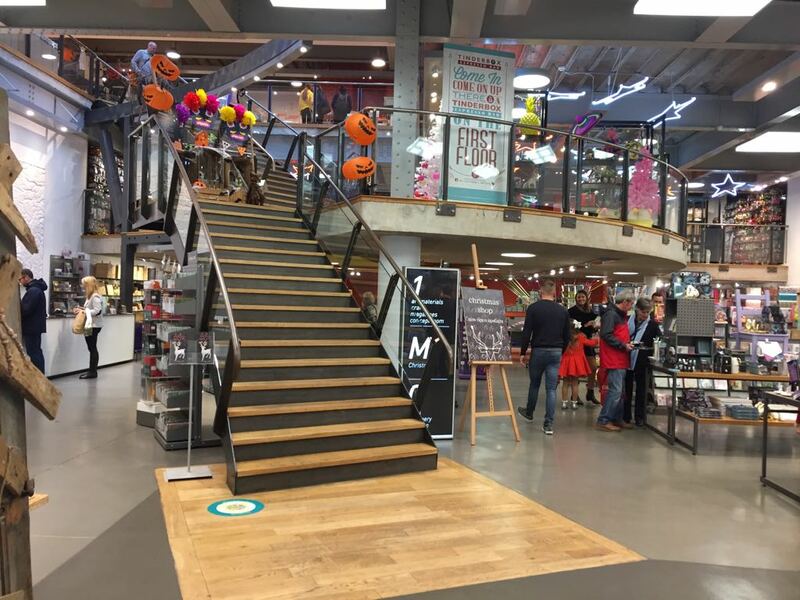 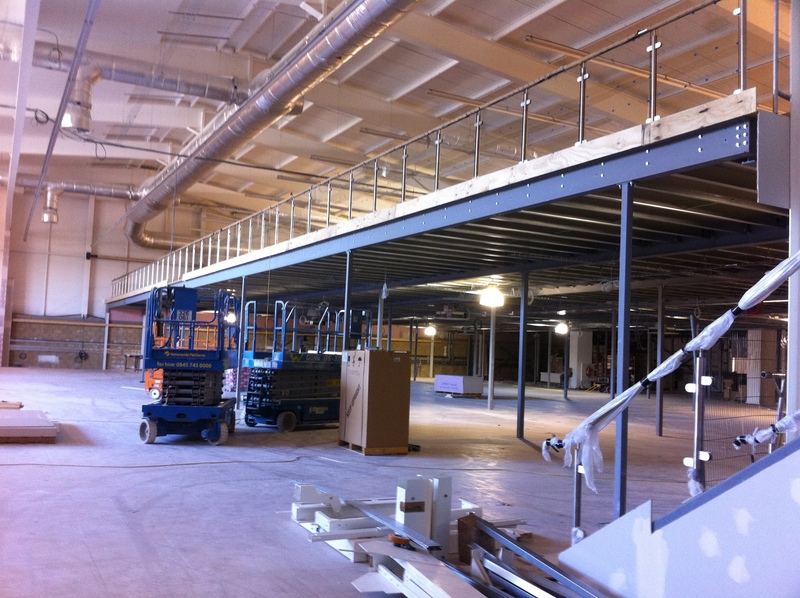 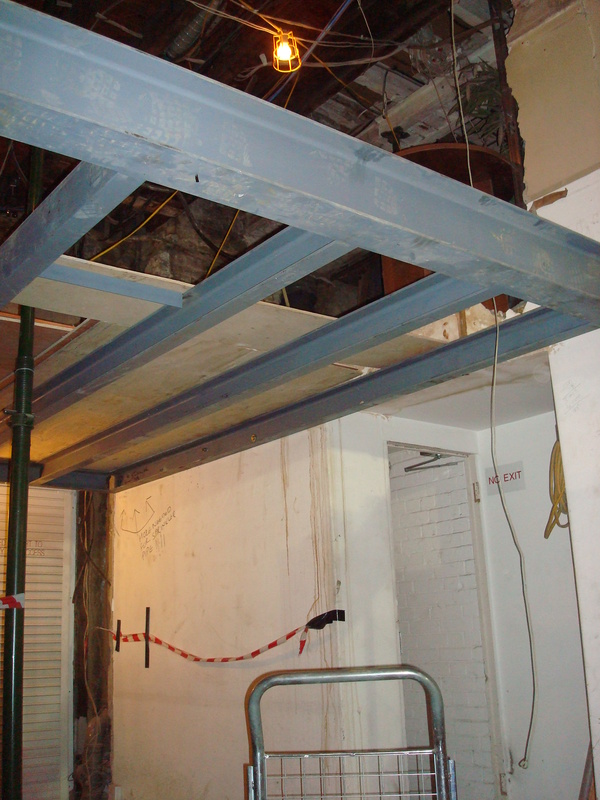 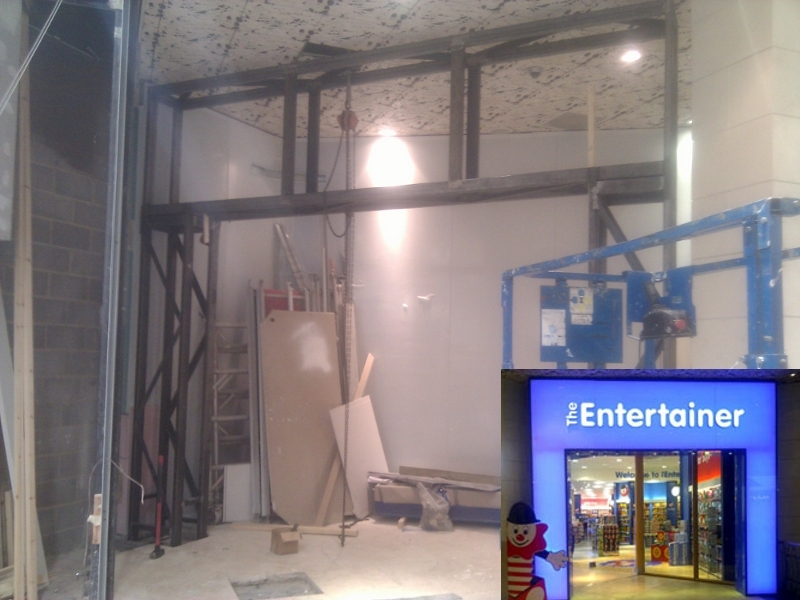 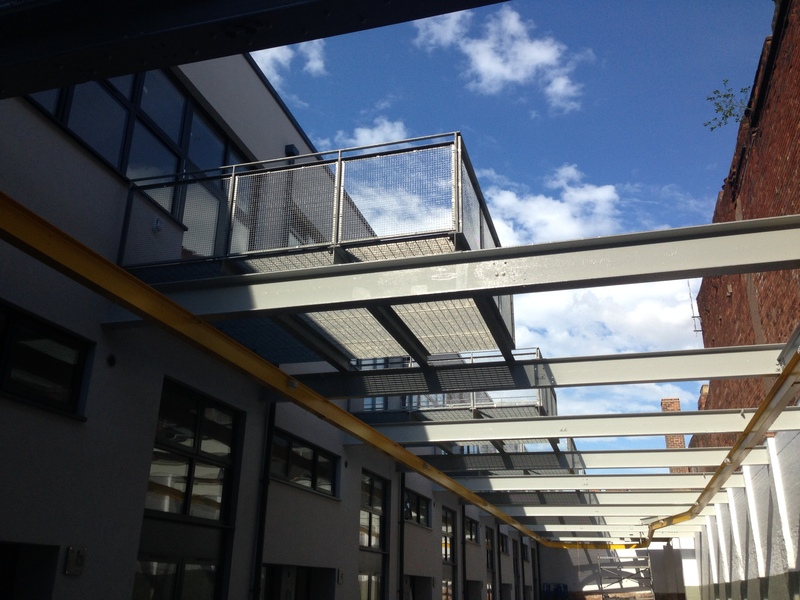 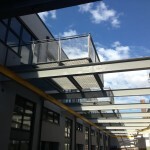 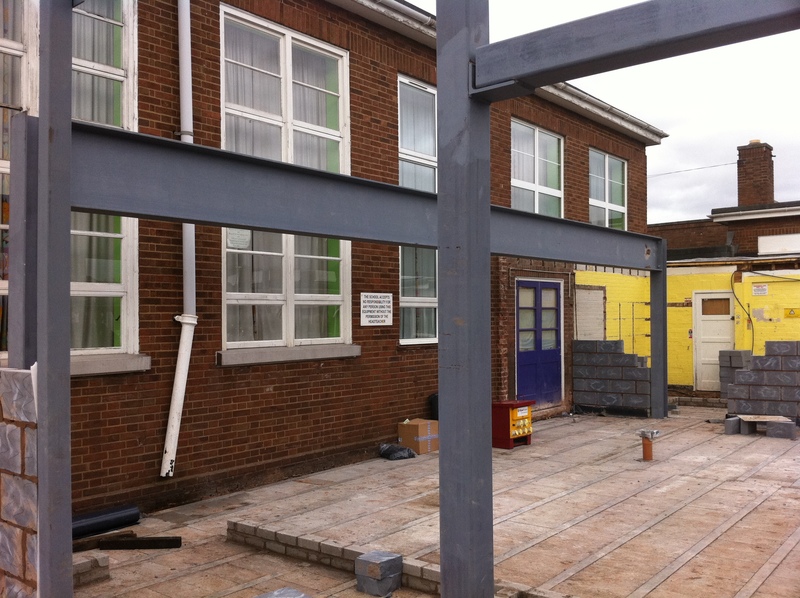 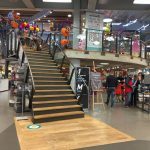 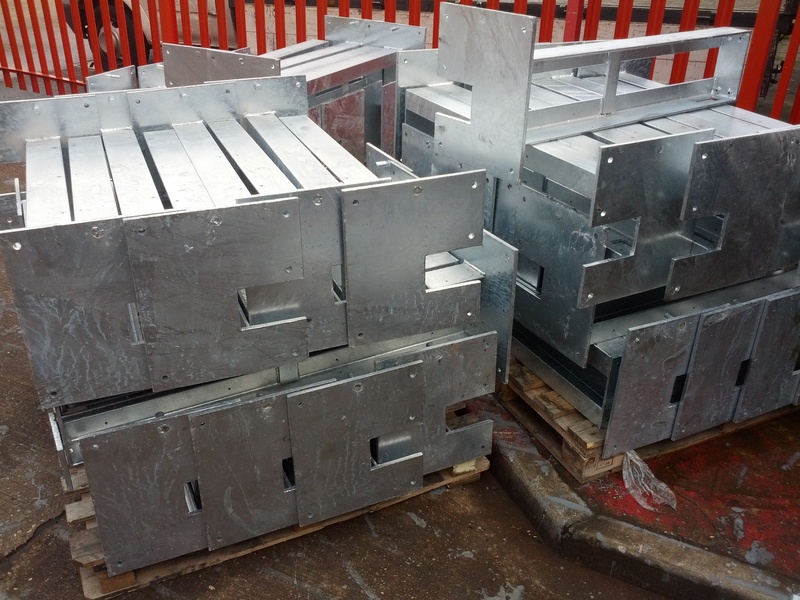 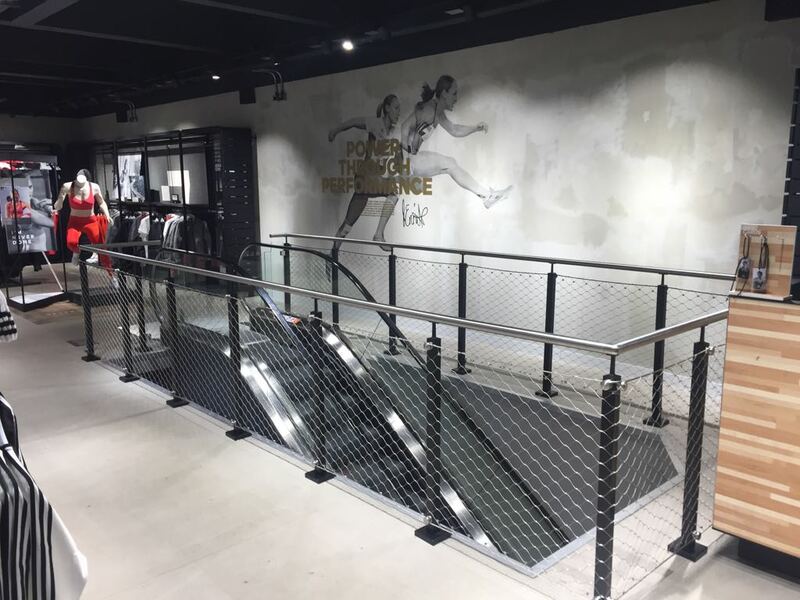 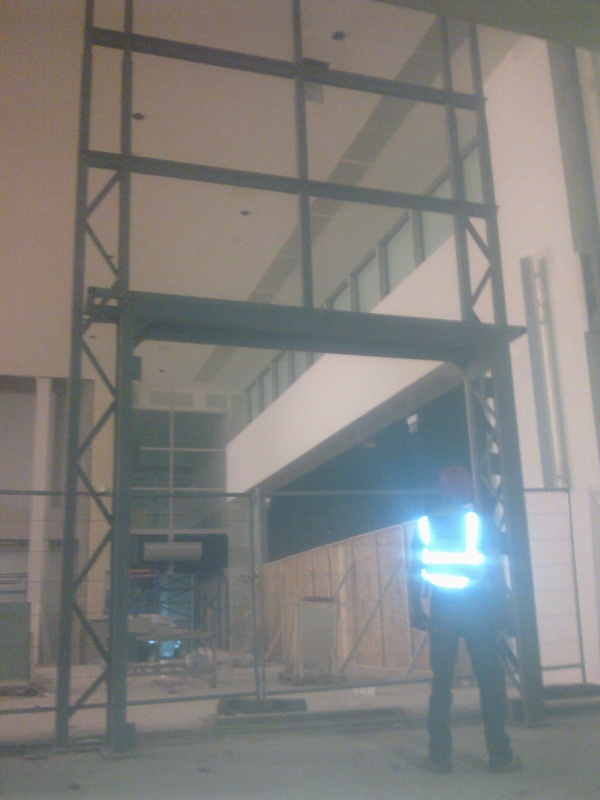 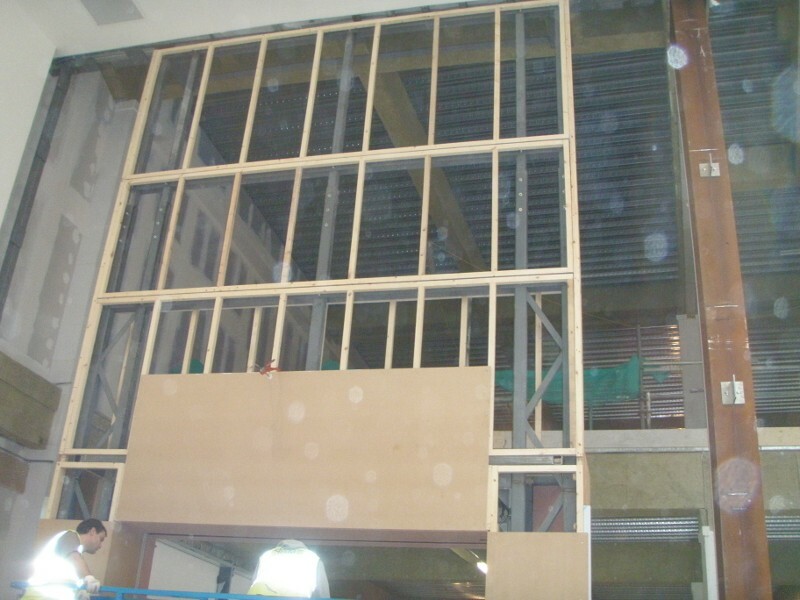 We are able to fabricate and fit various type of steelwork, including secondary steelwork, beams and channels, shop fronts and mezzanine floors. 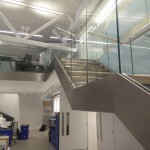 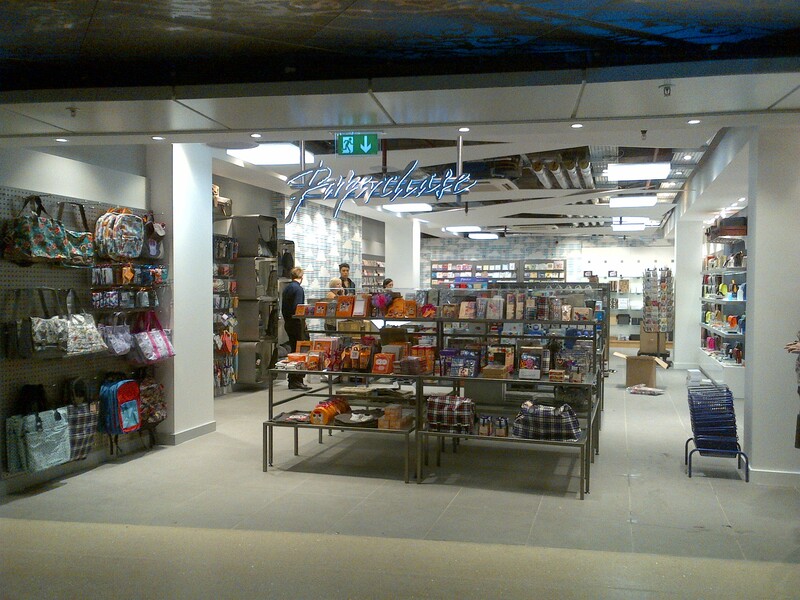 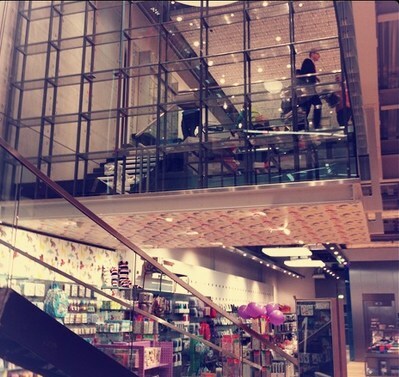 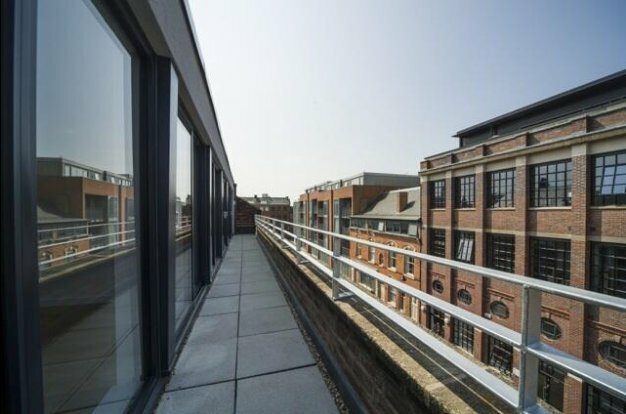 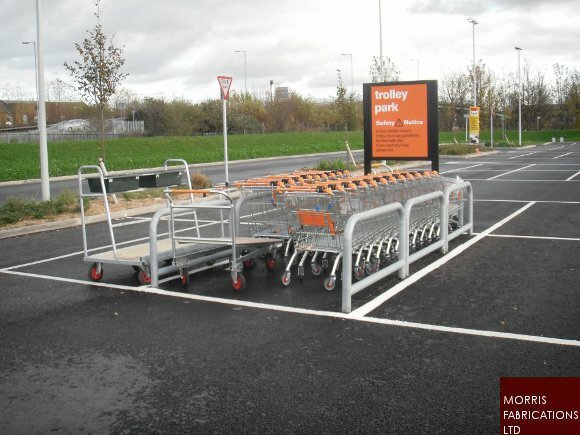 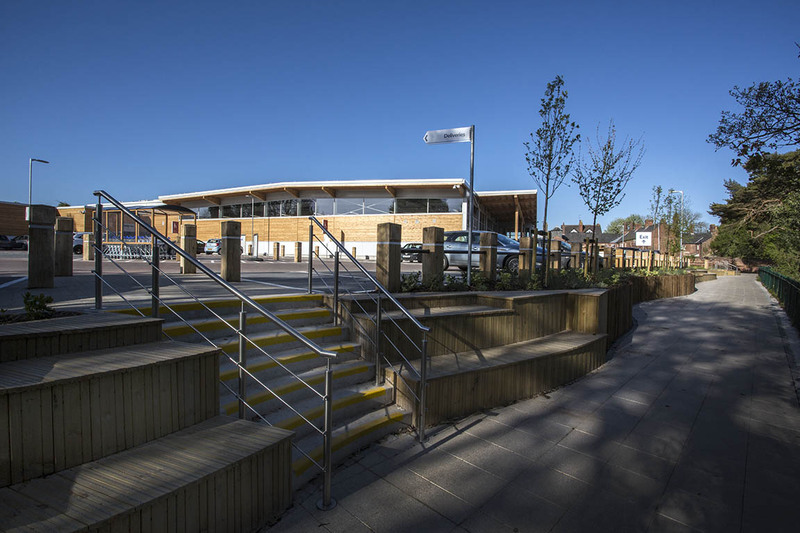 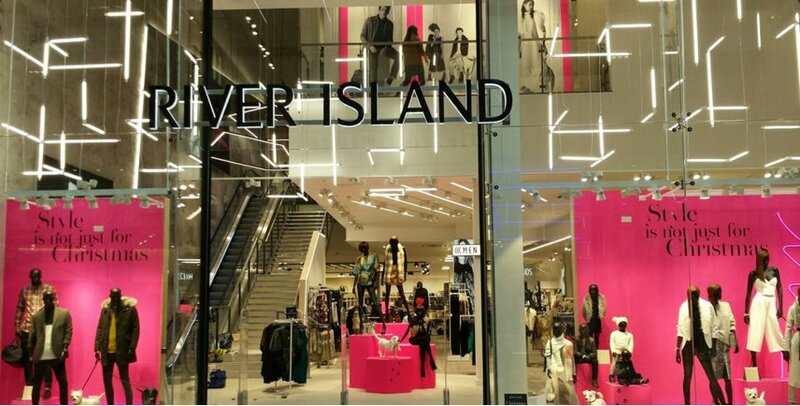 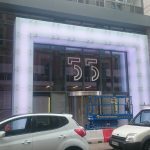 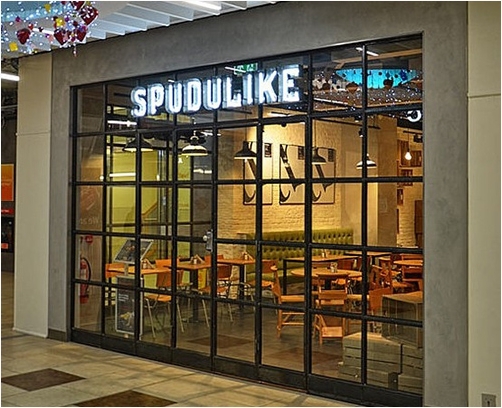 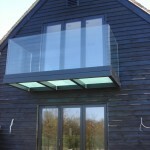 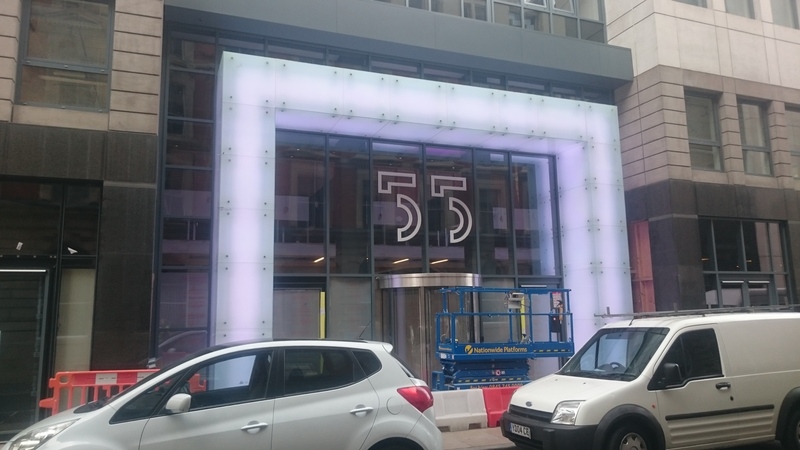 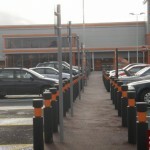 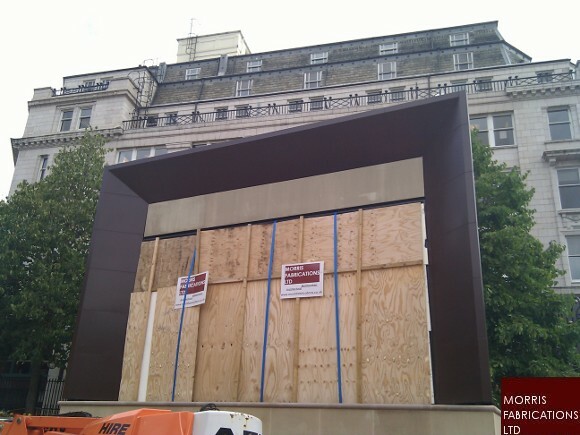 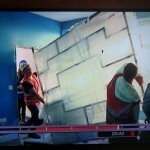 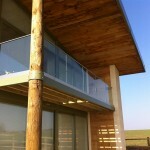 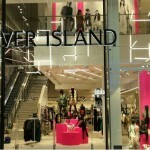 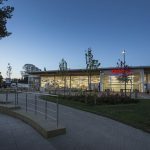 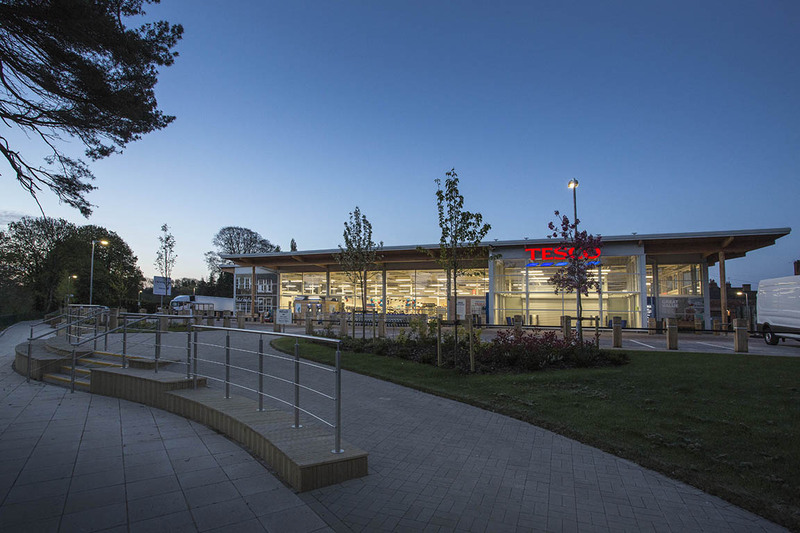 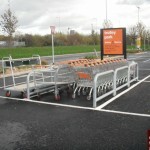 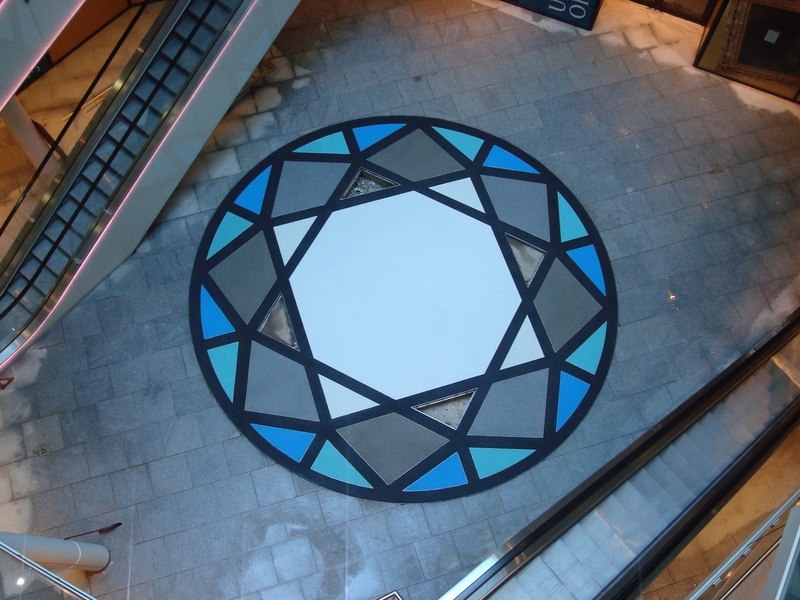 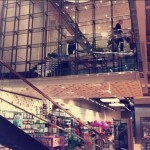 We work closely with designers, structural engineers and consultants to complete the project as was designed. 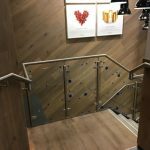 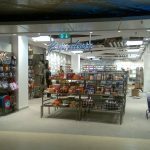 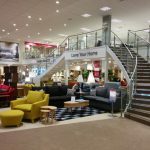 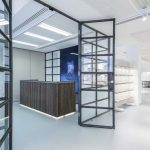 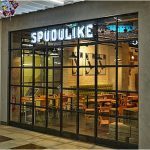 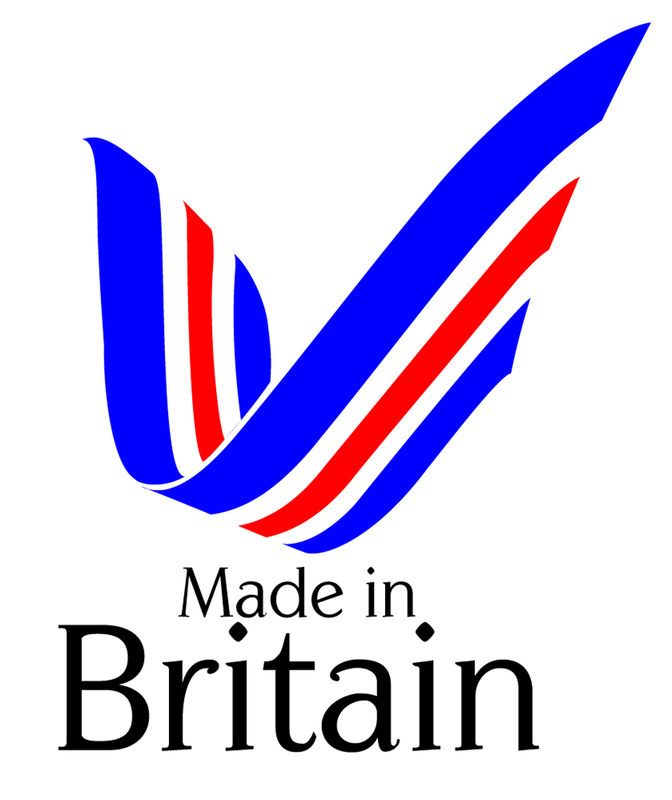 In some cases you may have a specific product in mind and just need a specialist company to manufacture and possible install for you. 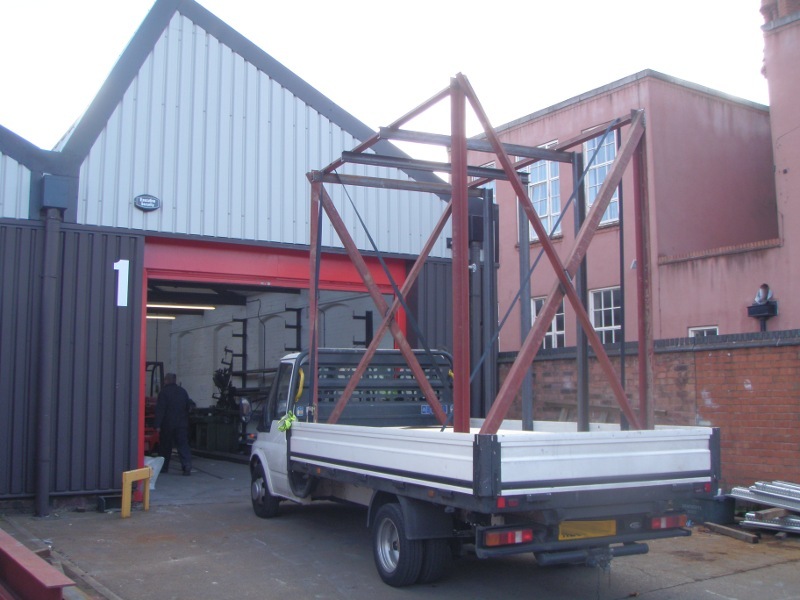 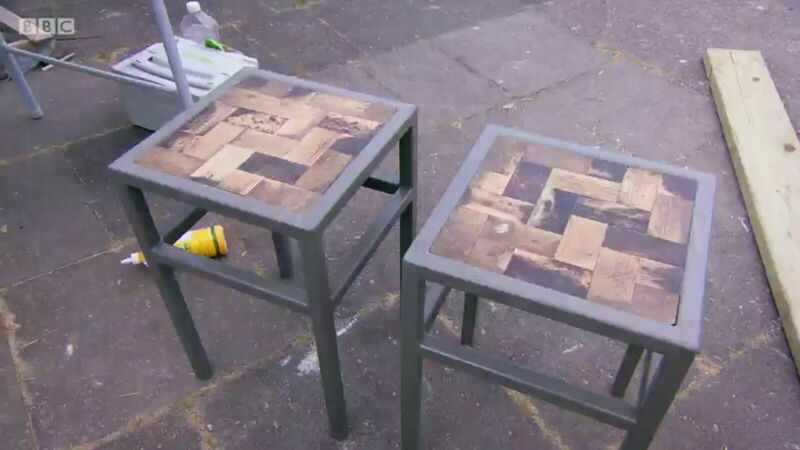 With our factory containing all the machinery and experienced staff we are confident in being able to meet your specific metalwork manufacturing requirements. 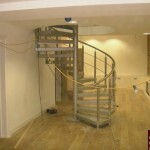 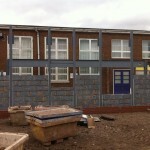 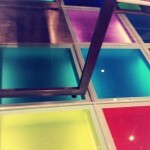 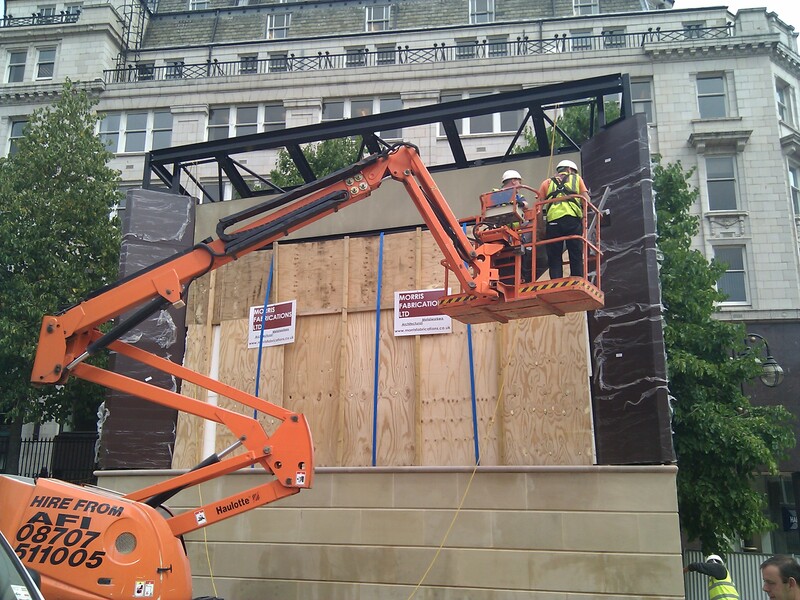 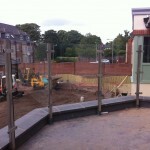 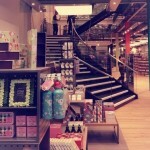 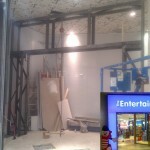 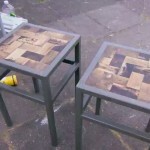 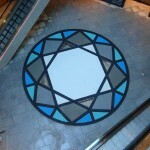 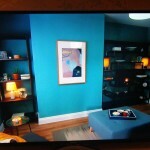 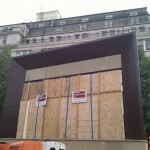 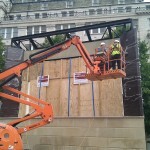 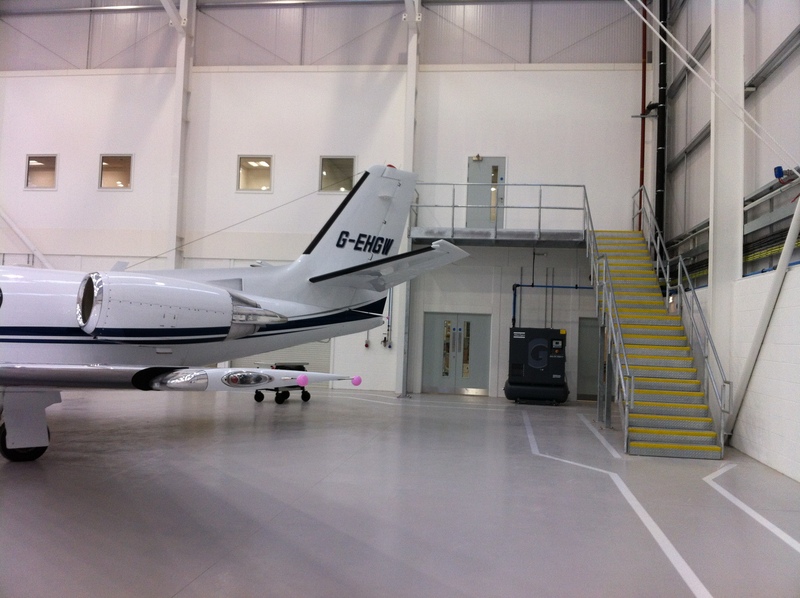 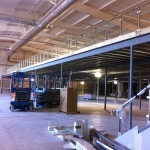 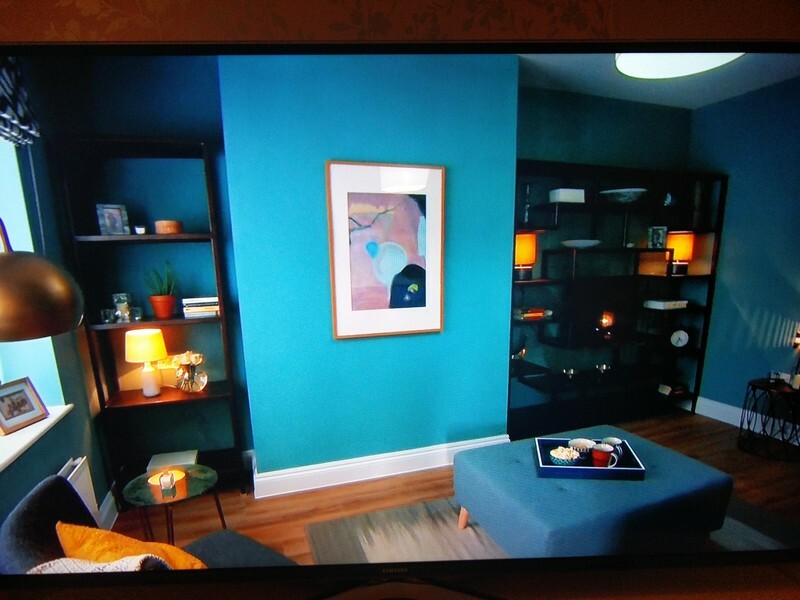 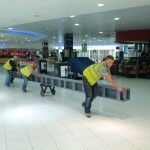 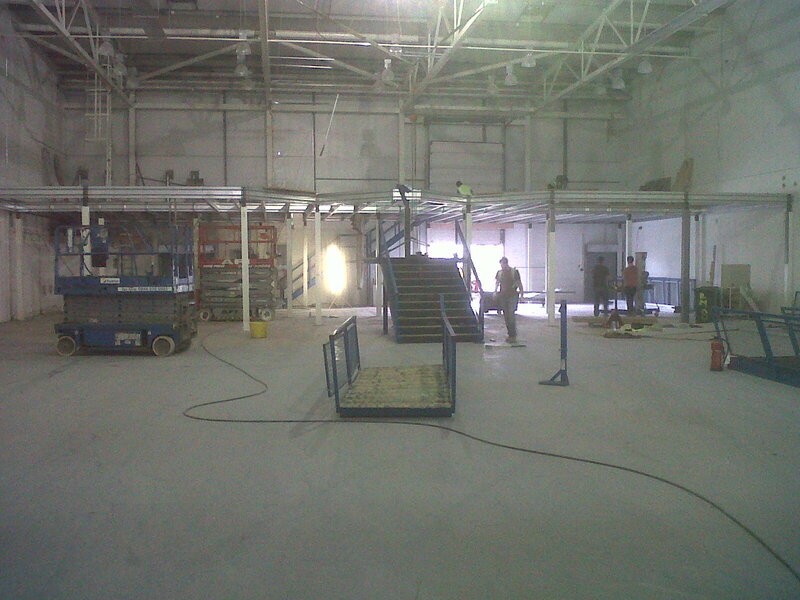 Some examples of work we have been involved in can be seen below.